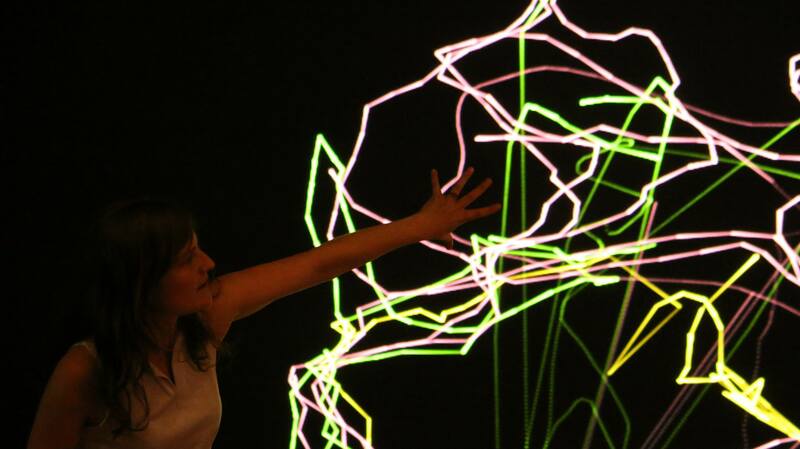 Orbe brings together programmers, designers, artists and scientists around the experimentation and implementation of experiments involving the body and new media. 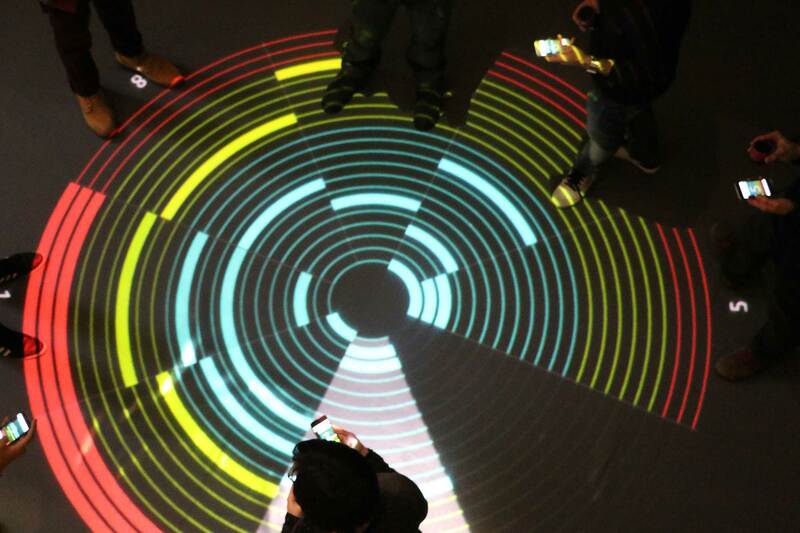 On February 14th, Orbe will present an immersive sound walk on at Cap Digital in the framework of FUTUR.E.S Storytelling. 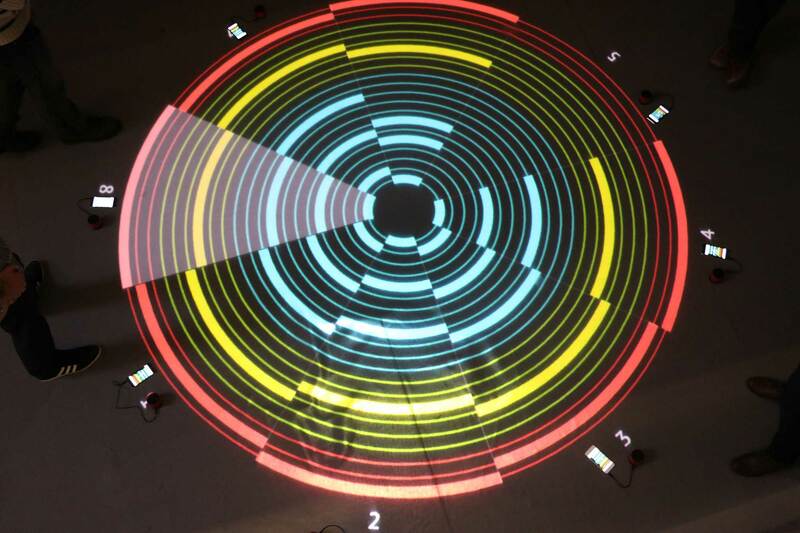 The Orbe team is contest candidate for the Innovation Radar Prize 2018 for our platform Nodal.Studio ! 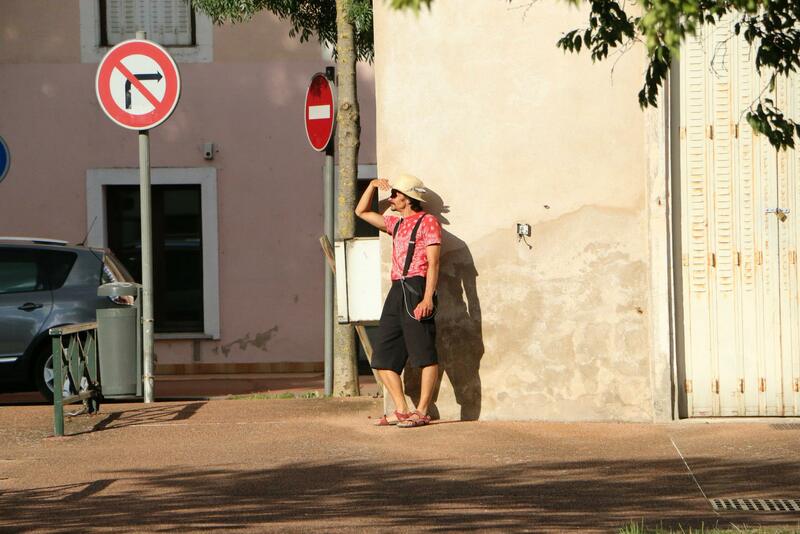 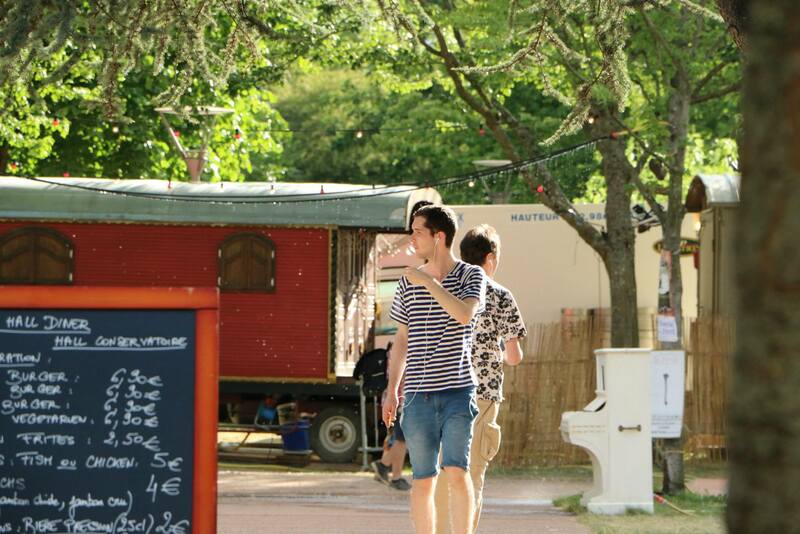 Escape to Mars is an Escape Room specifically made for Keep Cool at The Camp (Aix-en-Provence). 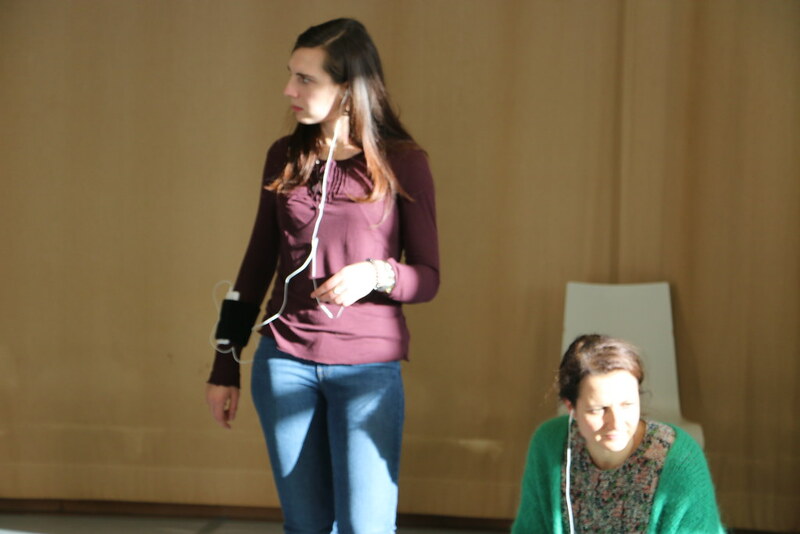 On their spaceship, the participants have to show team spirit and provide physical effort in order to carry their mission to the red planet. 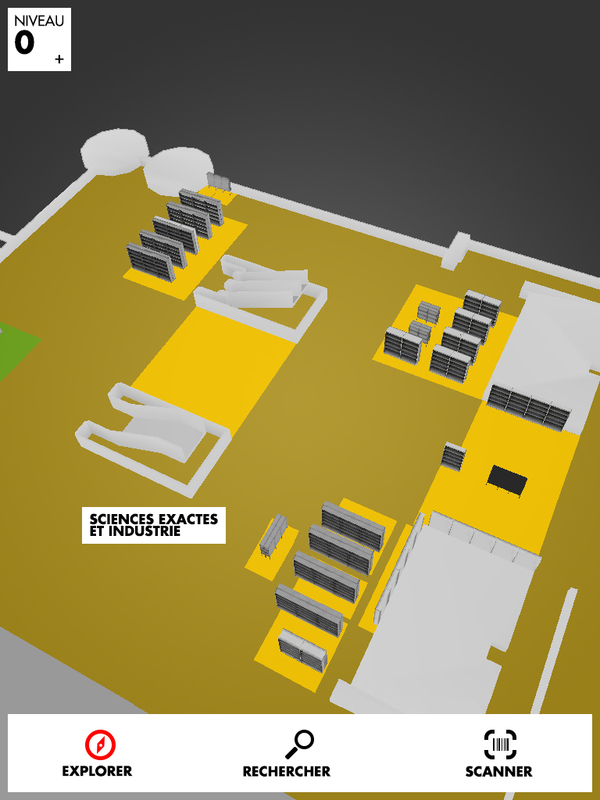 Equipped with sensors and state-of-the-art sports equipment, the astronauts have to overcome the obstacles on their way to arrive safely on Mars. 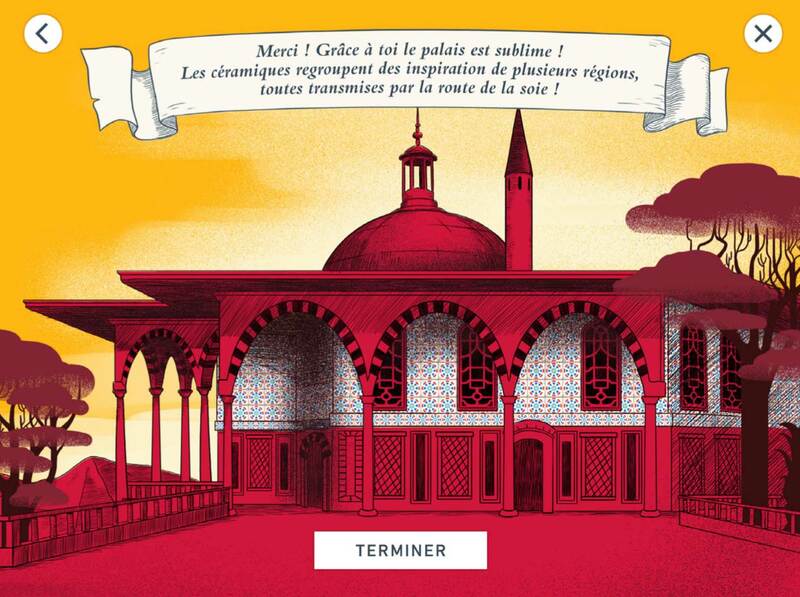 The playful new course of Mucem takes place at the time of Suleyman the Magnificent and Philip of Spain. 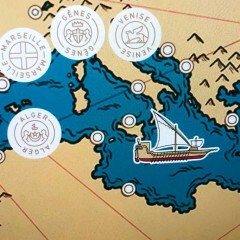 Young visitors explore the Mediterranean from port to port, to collect the wealth. 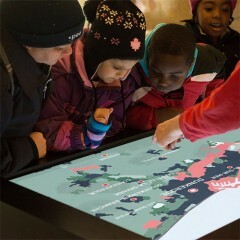 Once again, Orbe collaborates with the museum teams to design and implement the children musem experience. 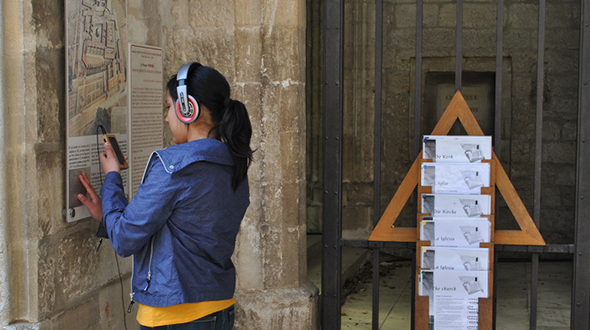 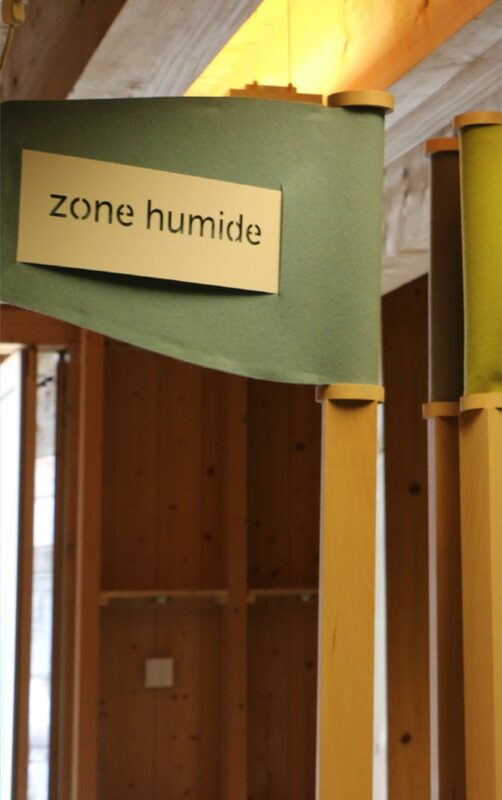 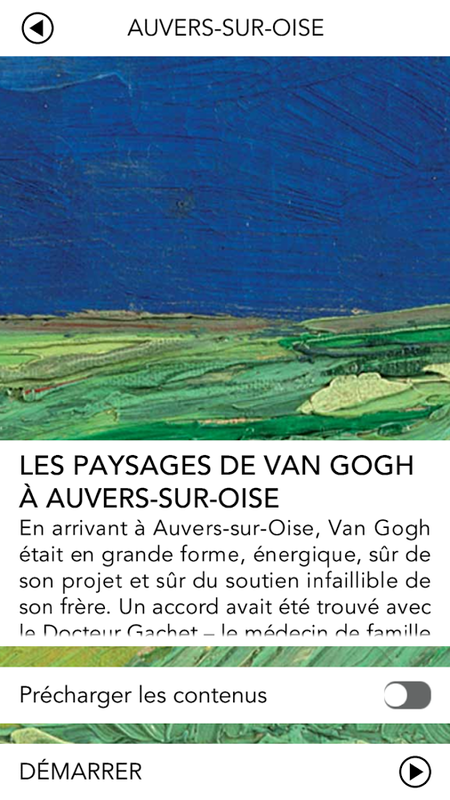 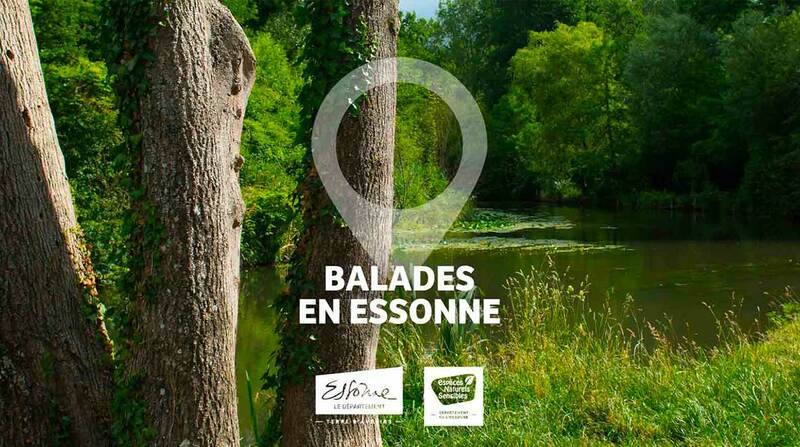 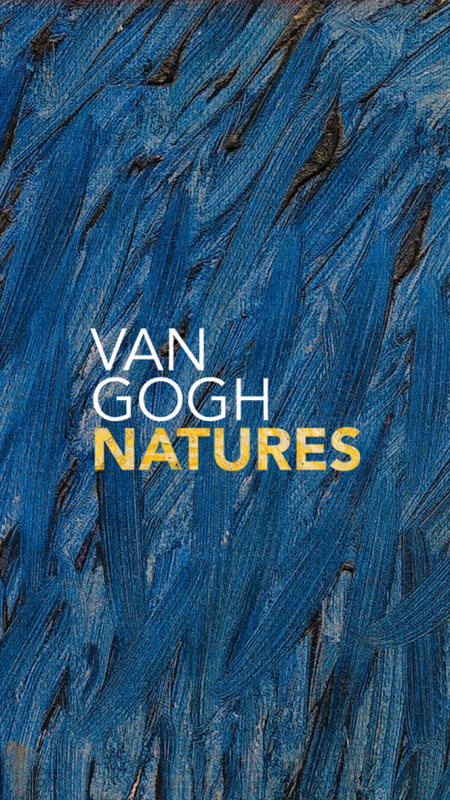 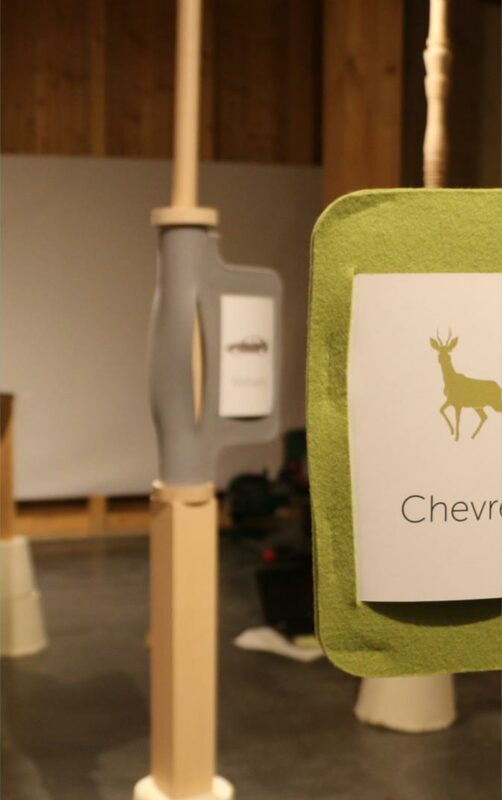 Discover the temporary exhibition on the theme of the soundscape at the Maison du Salève. 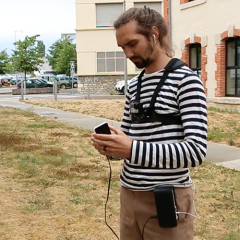 The application makes it possible to become the actor of each of the landscapes thanks to an immersive device which leads to understand the consequences of the sound and the human activities on the natural environment. 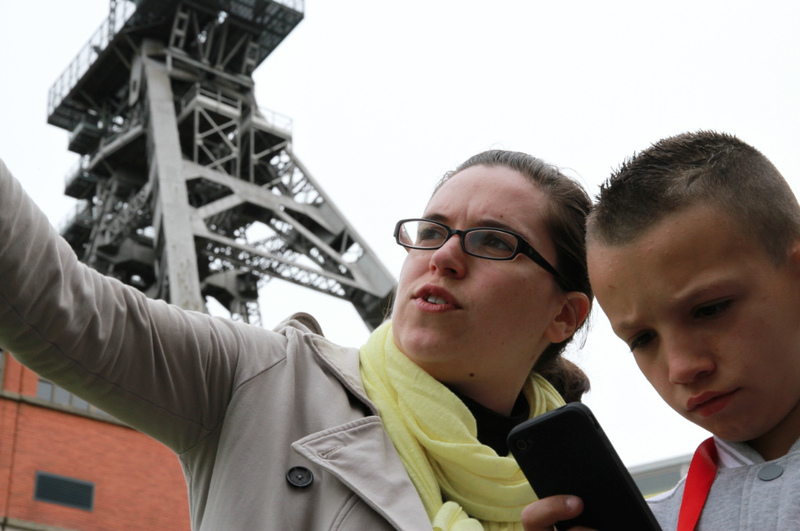 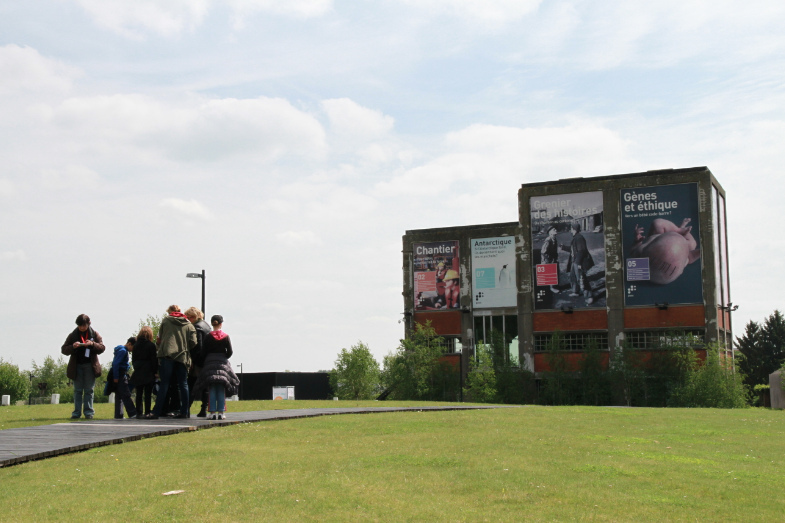 The Learning Center "Sustainable City" is located in Halle aux Sucres of the Dunkirk port area. 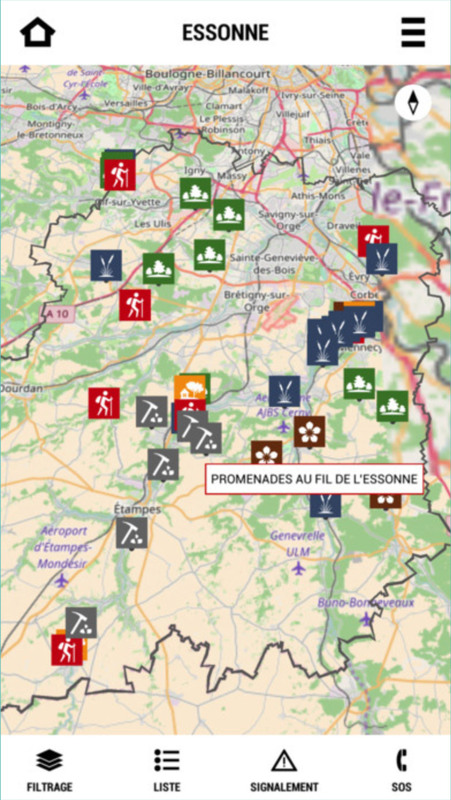 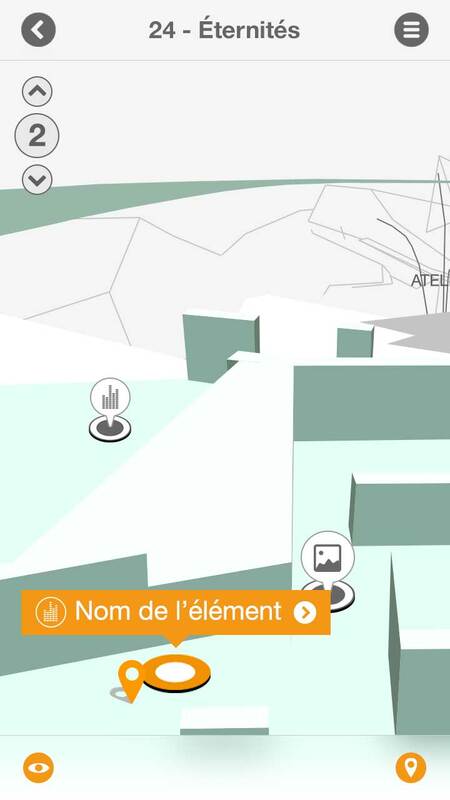 As part of this project, Orbe has realized all the multimedia installations including the participatory device "Tracking of the Inhabitants": an interactive map of the daily travels of the inhabitants, fed by a mobile application. 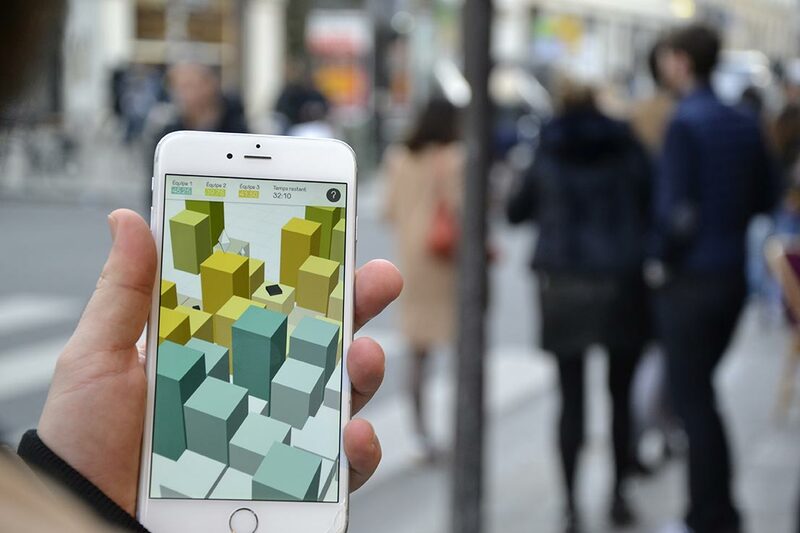 Learning Center – Sustainable City is available for free on the App Store and Google Play. 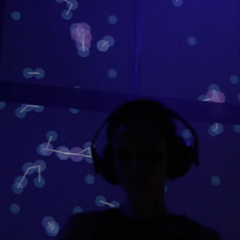 Water Topophony is an augmented reality sound experience that links wandering and listening. 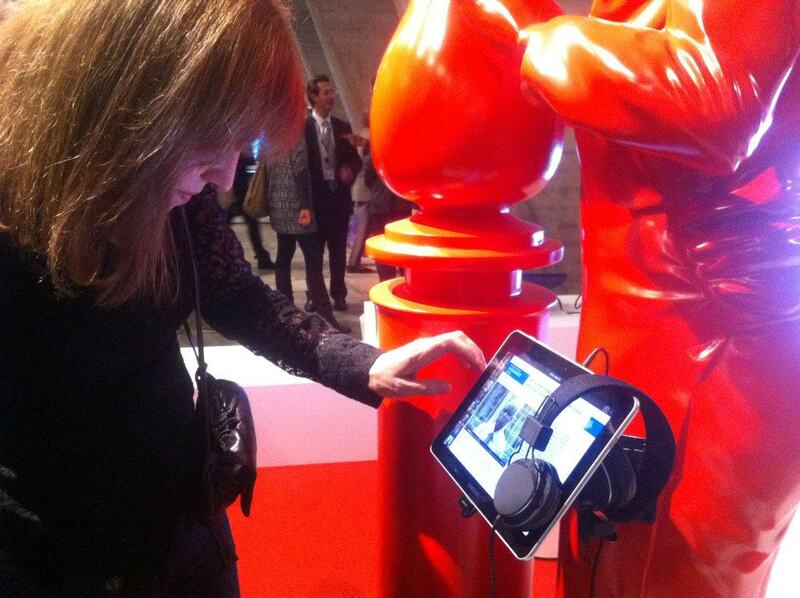 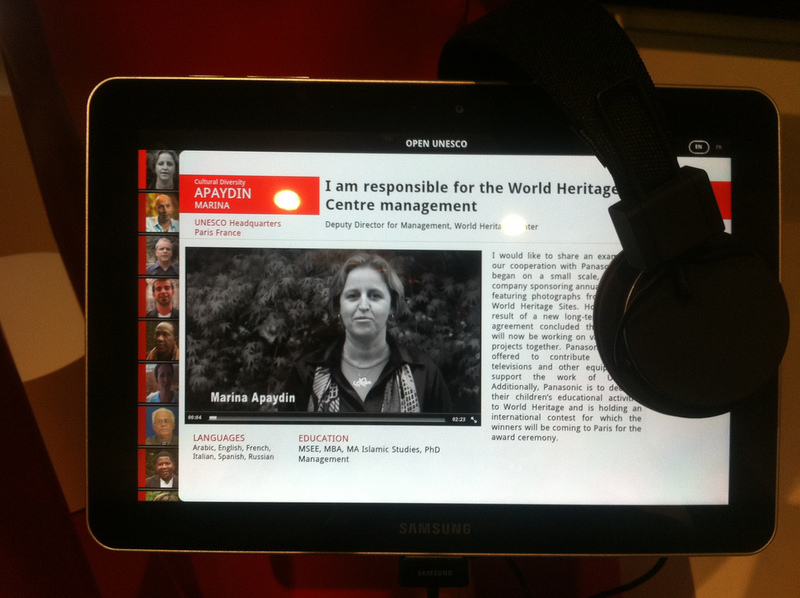 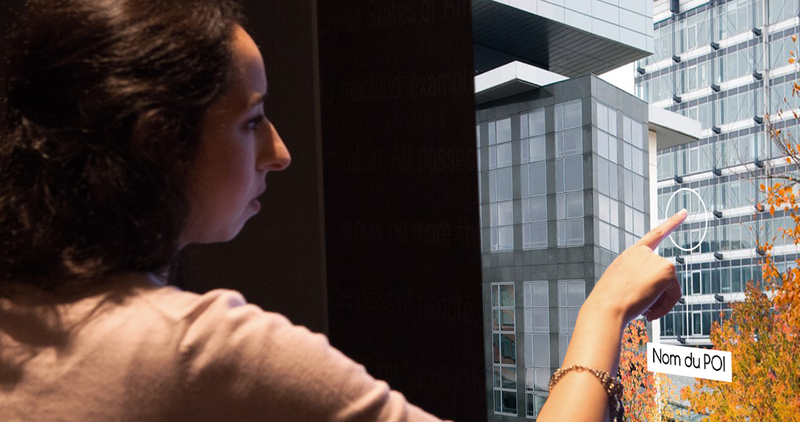 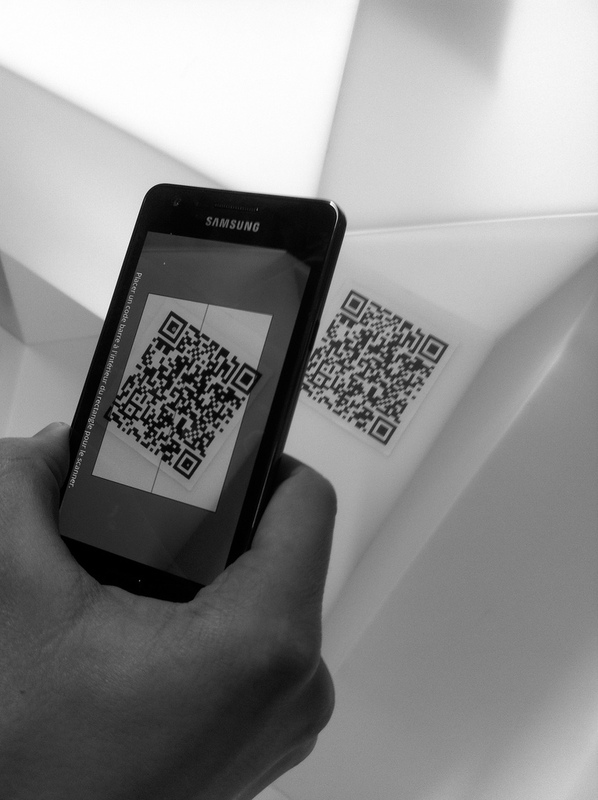 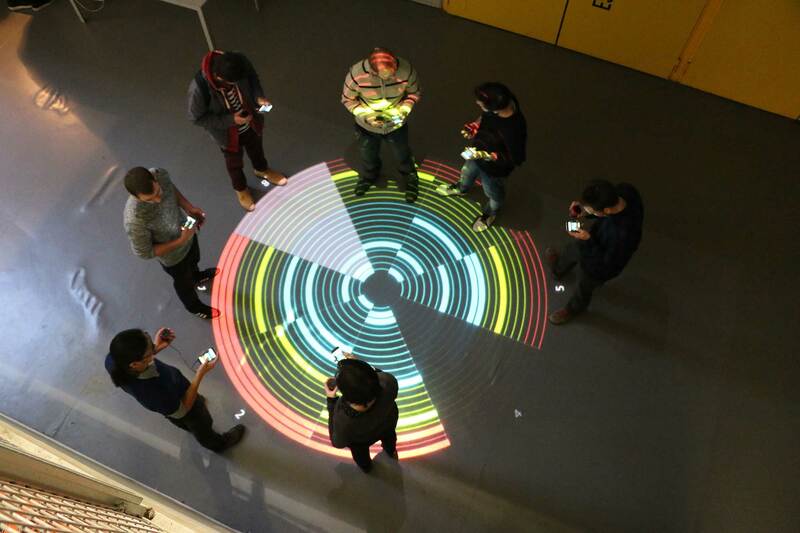 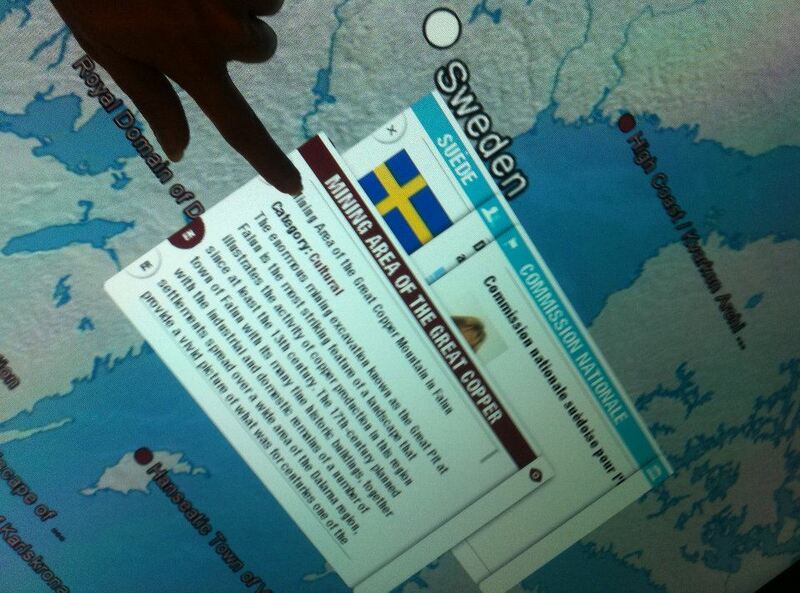 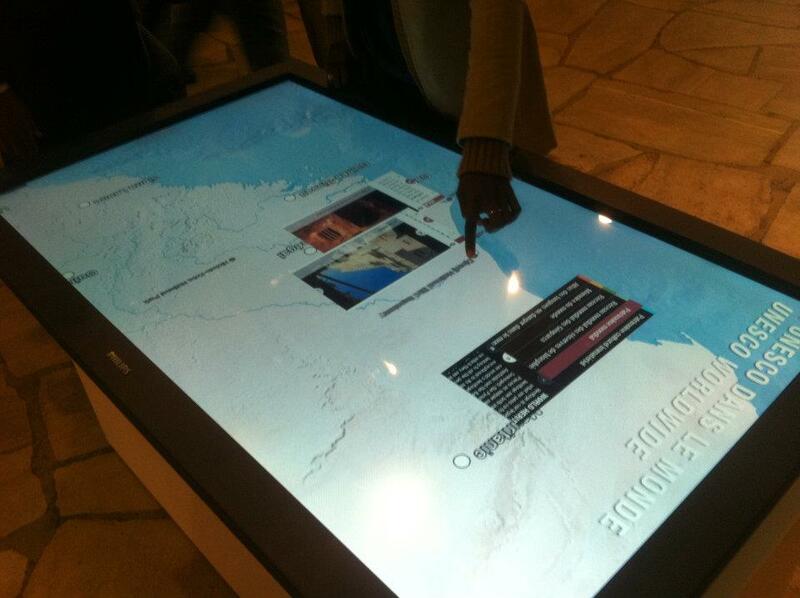 This project is part of the ANR program: CONTINT (Digital Content and Interactions). 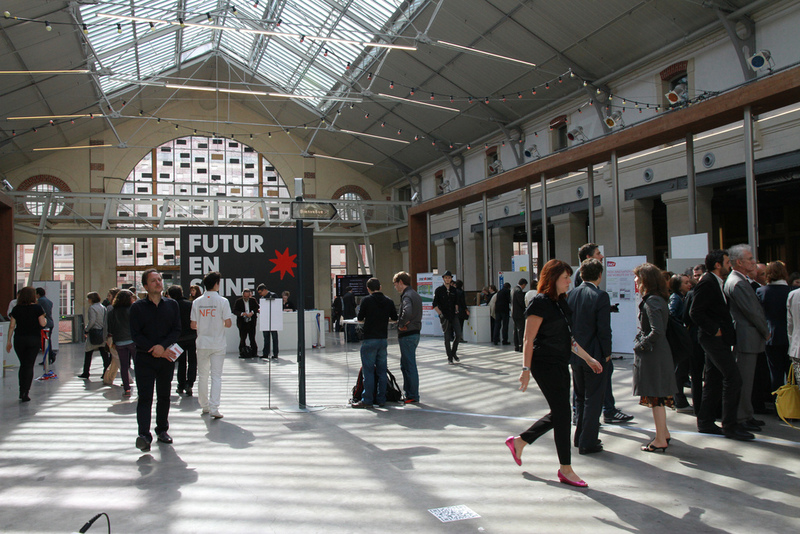 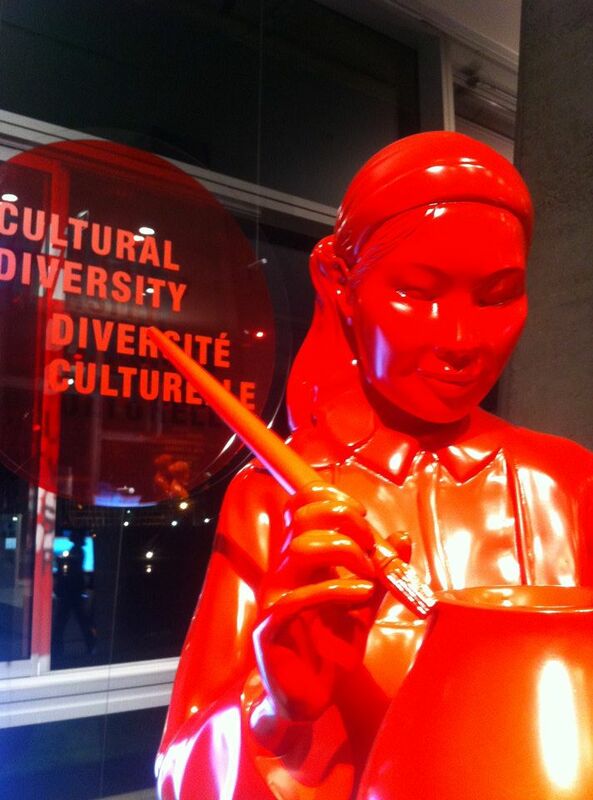 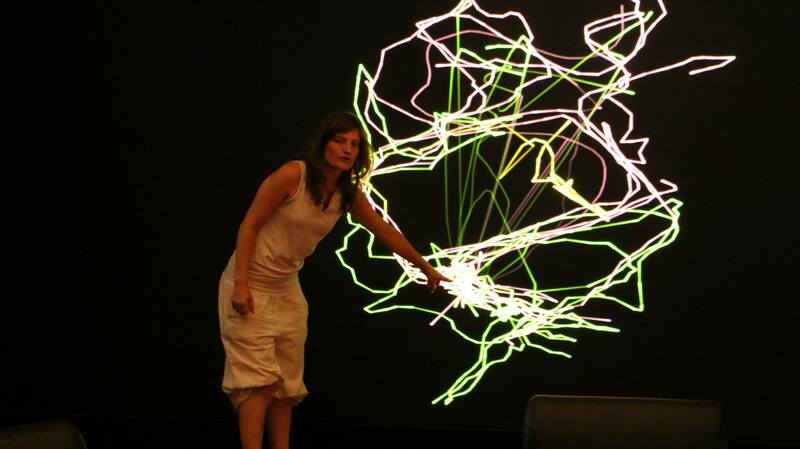 The project was presented at the festival Futur en Seine 2011. 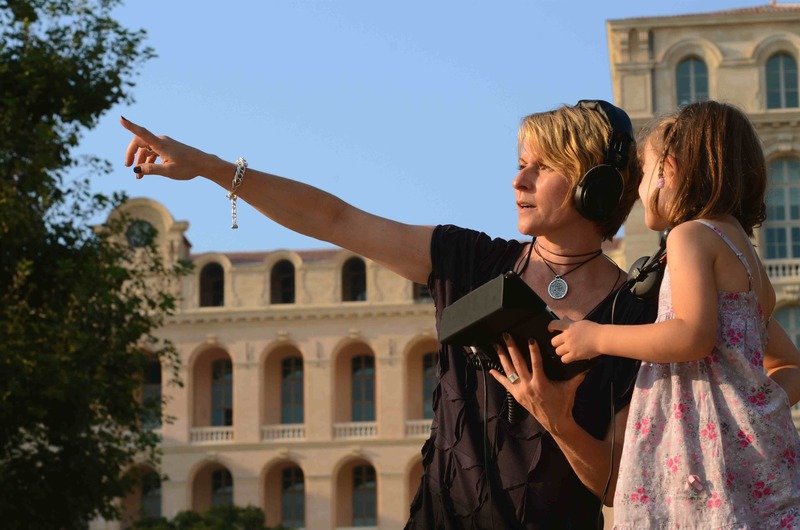 Water Topophony sets up a soundscape composed of water streams in an urban space. 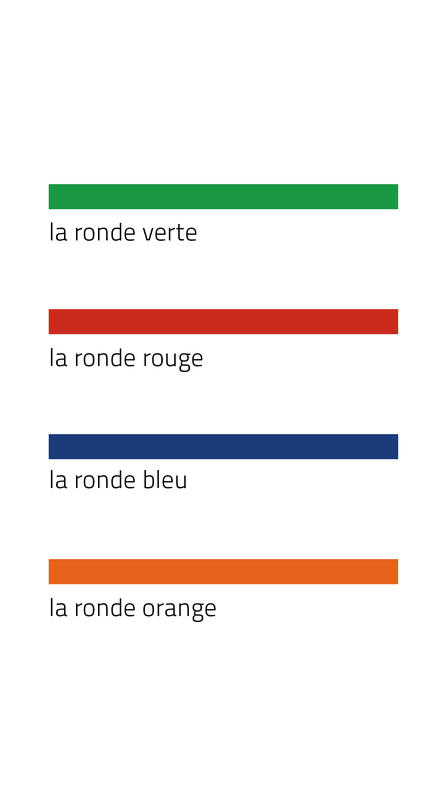 The slopes of Belleville in Paris evoke the winding paths of the water to the names of the streets: rue des Cascades, rue des Rigoles, rue de la Duée. 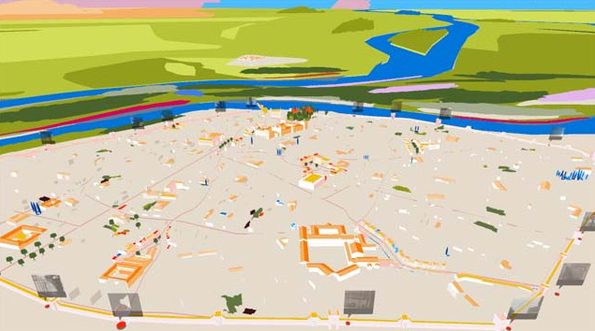 Two realities are superimposed on this territory: a mineral space that is essential on the surface, an invisible liquid space made up of sources and aqueducts in the basement. 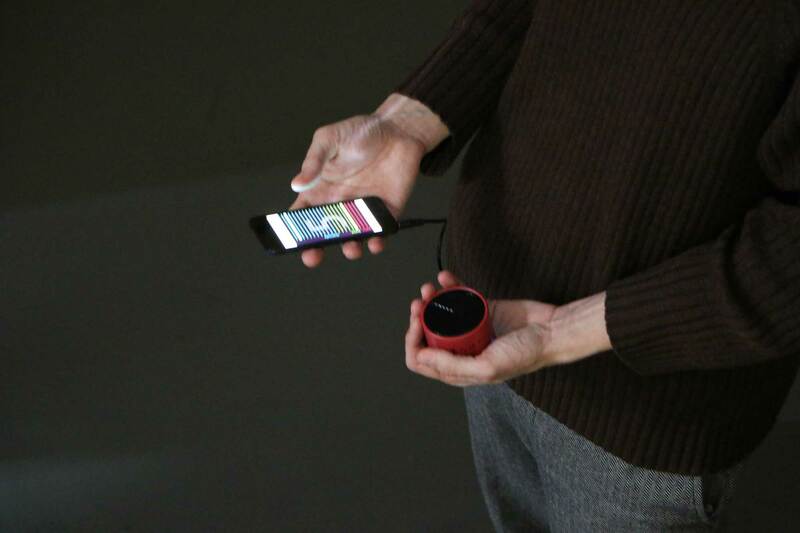 Water Topophony proposes to evoke this liquid space on the surface by staging a navigable soundscape using a smartphone-type mobile phone. 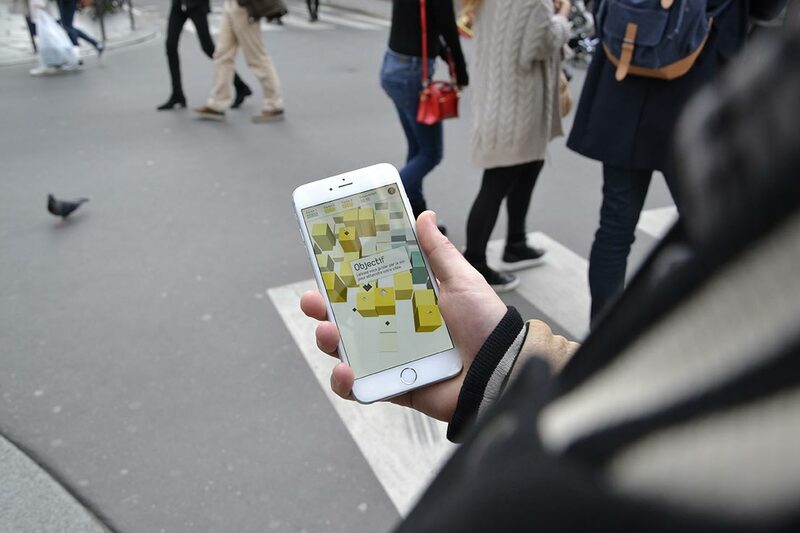 The device thus encourages the user to explore and reveals hidden dimensions of a familiar urban space. 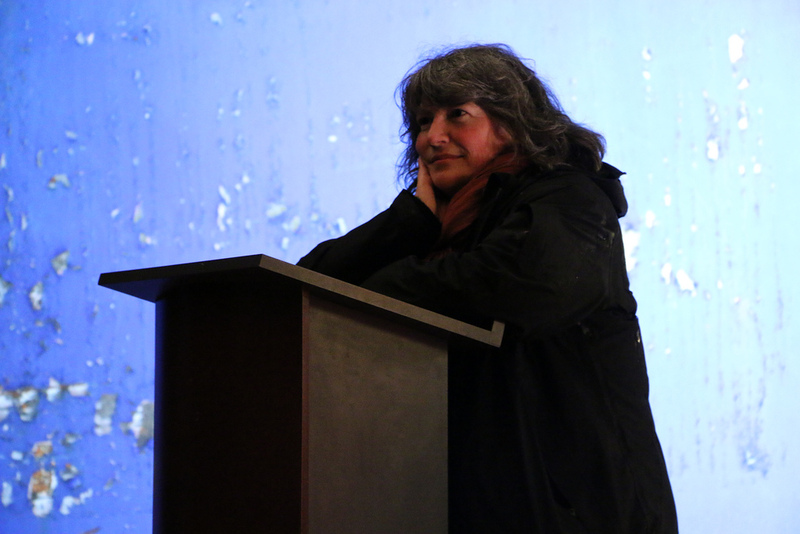 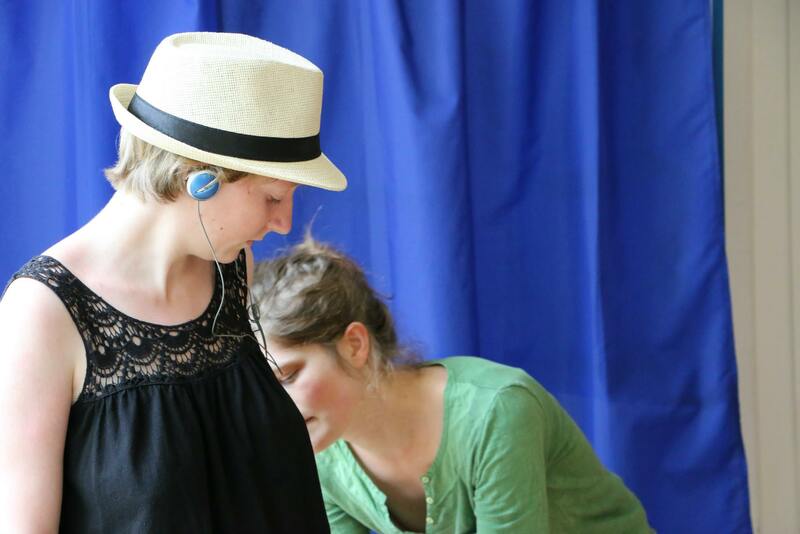 The experimenters of Water Topophony talk about experience. 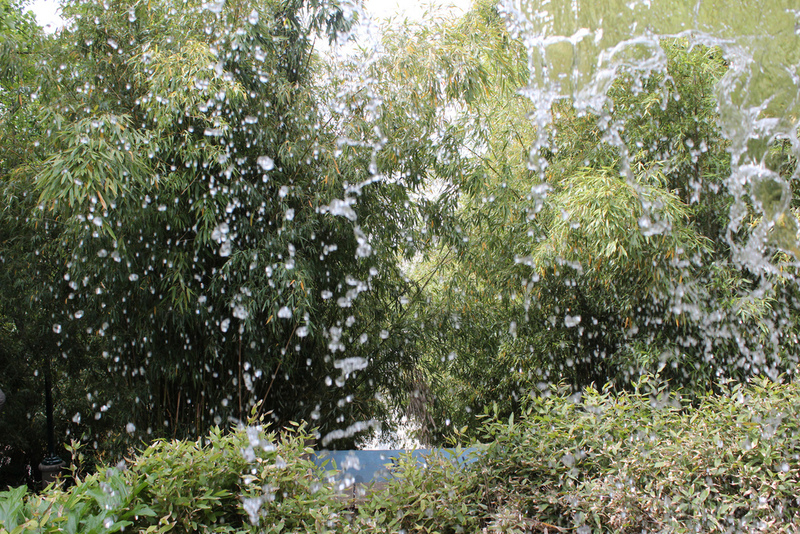 Water Topophony was the subject of a free event in June 2012. 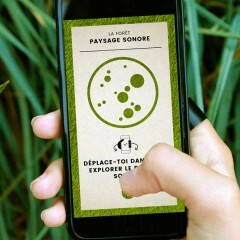 Sonosphère is a contributive and geo-localized sound work. 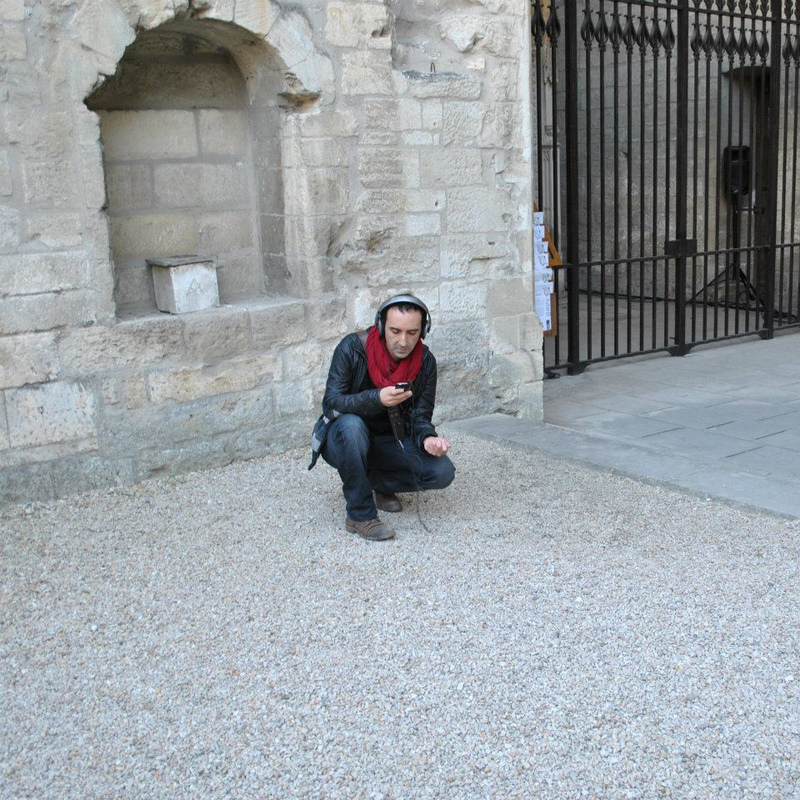 It captures and restores the voices that populated a place through time. 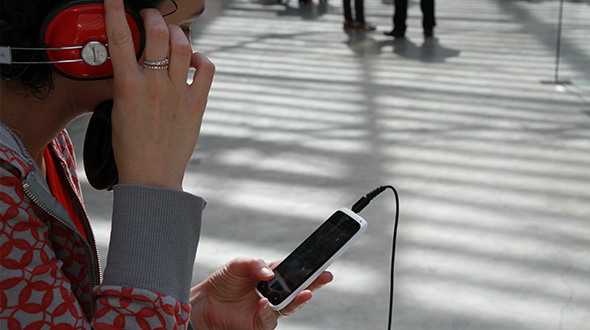 While he moves, the visitor becomes the explorer of this sound cartography. 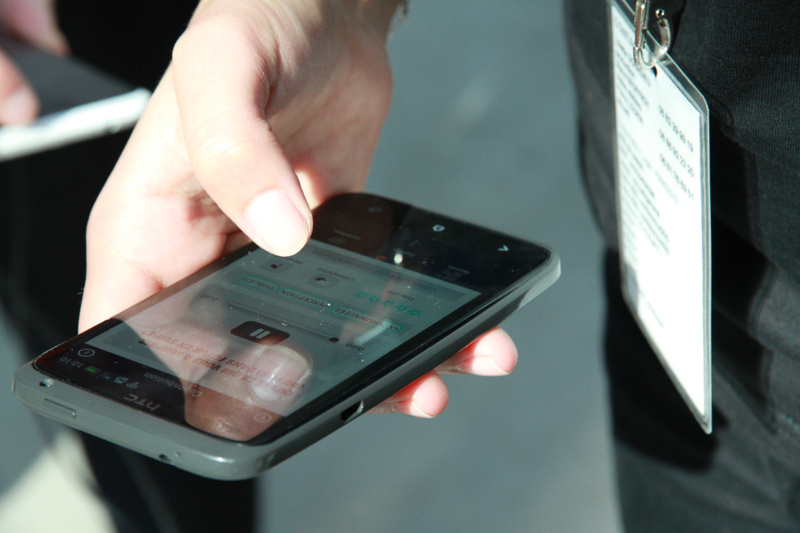 Equipped with a smartphone, he wanders in space and listens to different voices, real, fictional, past... 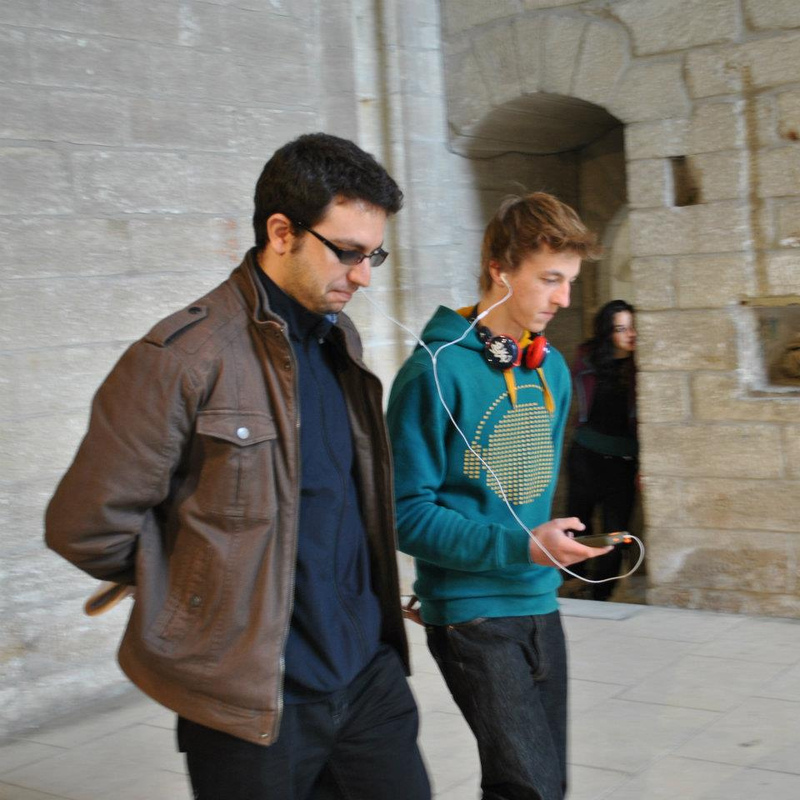 He has the opportunity throughout his sound walk to react and enrich the device with his comments and contributions. 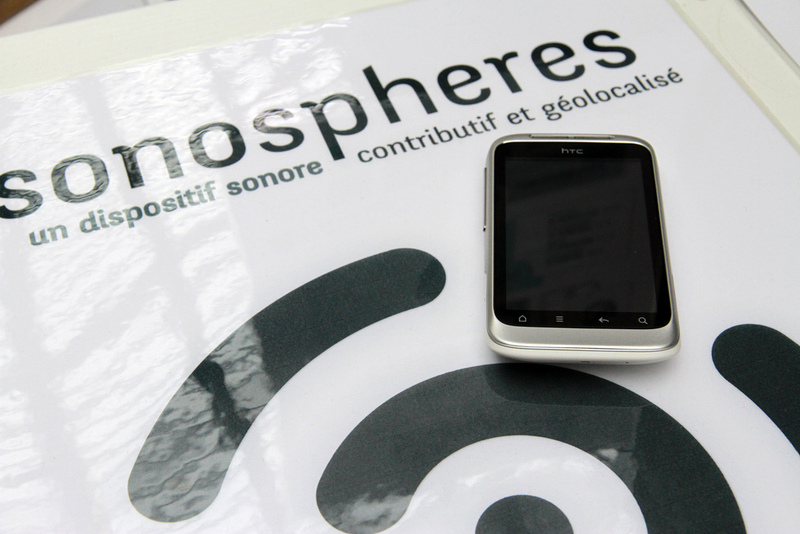 The Sonosphere evolves over time, constituting a sound memory of the place. 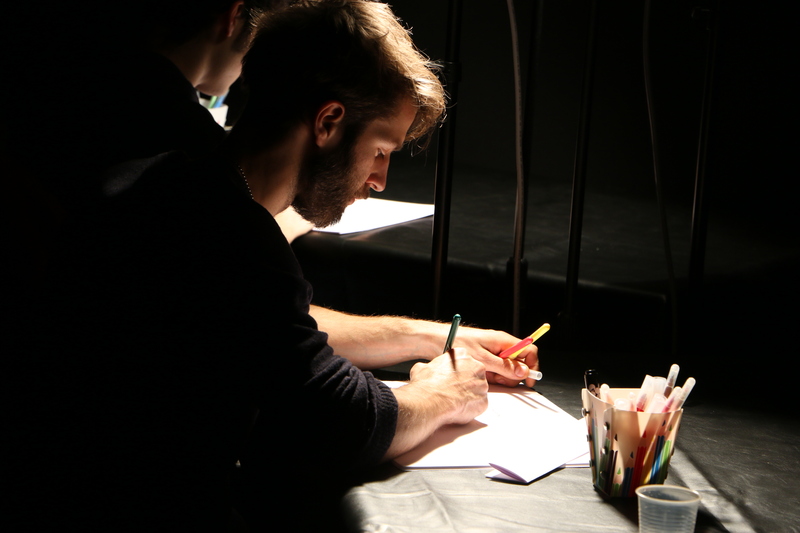 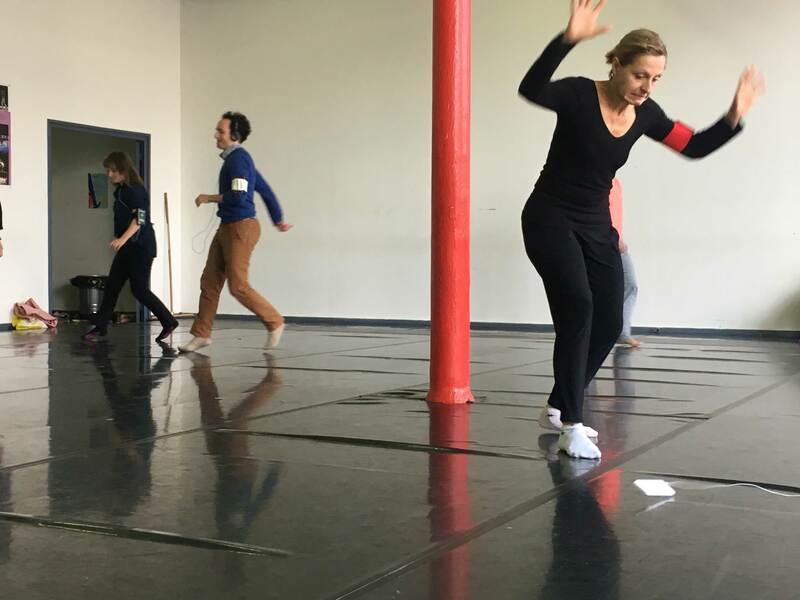 Within the framework of the 6th edition of «Si Loin, Si Proche» des Sondes de la Chartreuse (Centre National des Écritures du Spectacle), Orbe deployed the Laboratory of Drifting. 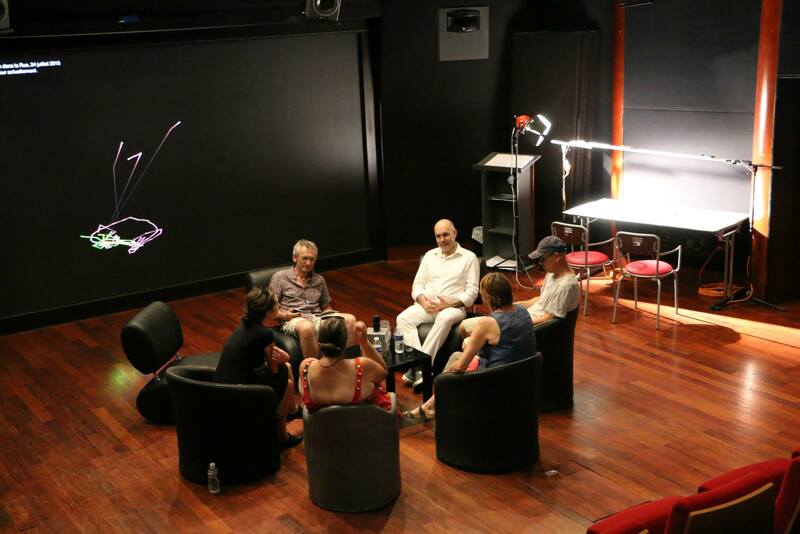 The Probes of La Chartreuse are experimental periods around theater, digital arts and the network. 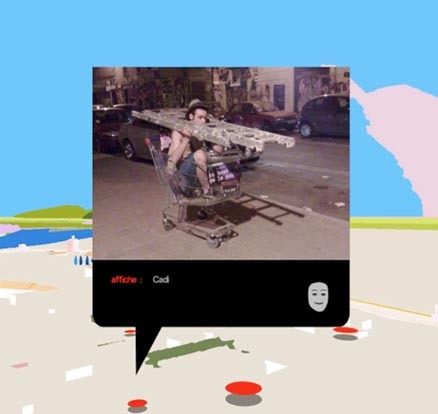 The object of the 6th edition "Si Loin, Si Proche" intends to explore the articulations between video-game, stage and street. 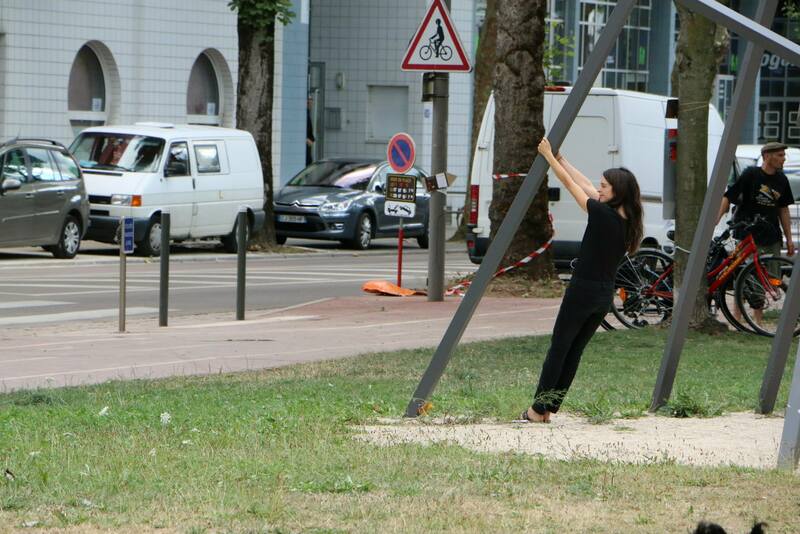 In this context, Orbe and four trainees of the FAIAR (Advanced Training and Itinerant Urban Arts) proposes the experimentation of protocols and rules, supported by the device Médias Situés. 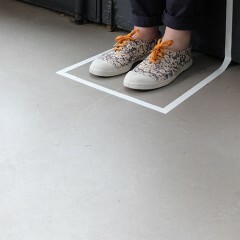 Or how to turn any space into a gaming experience. 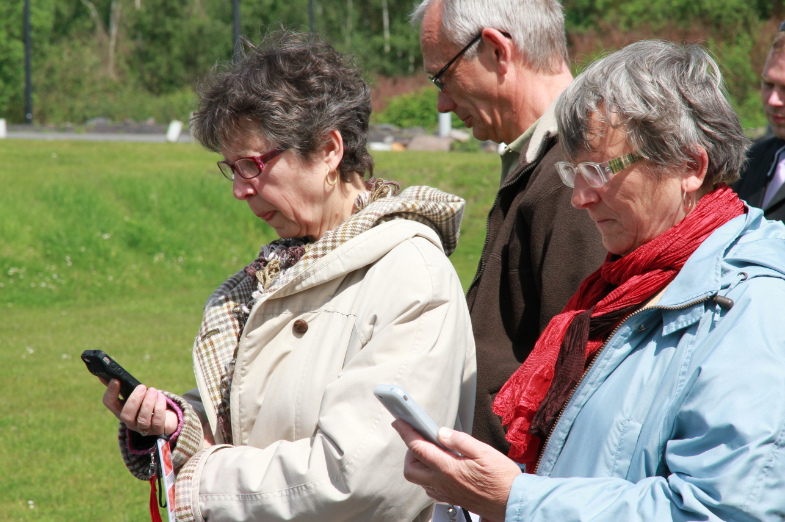 Testimonies and reflections about the experience. 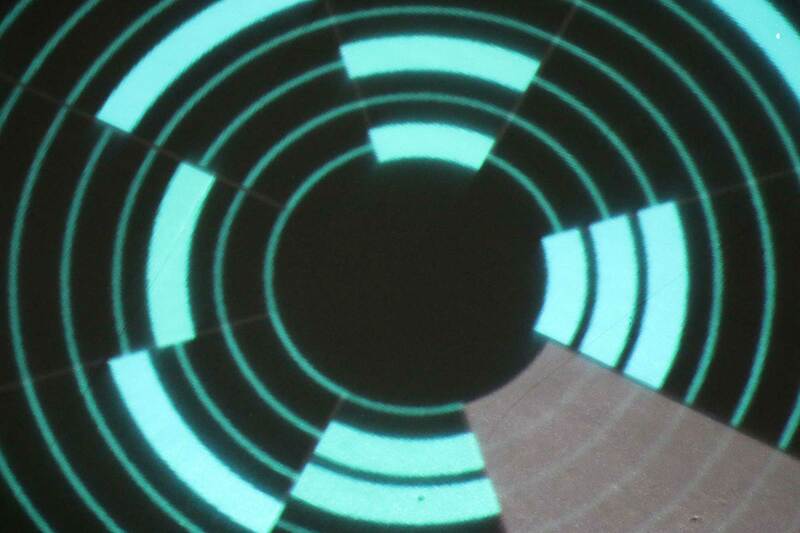 Discontrol Party is a festive interactive device initiated by Samuel Bianchini. 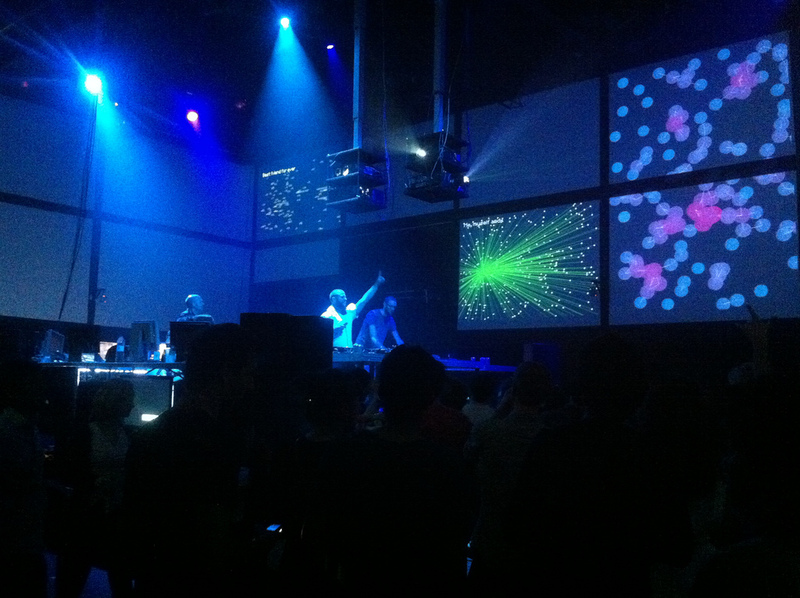 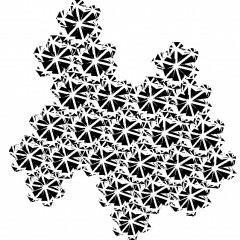 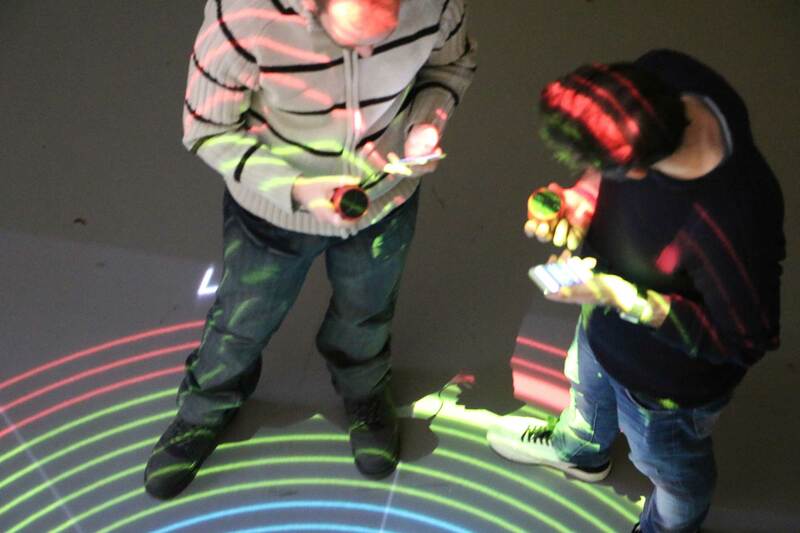 Discontrol Party is a research program on the theme of « Large Group Interaction». 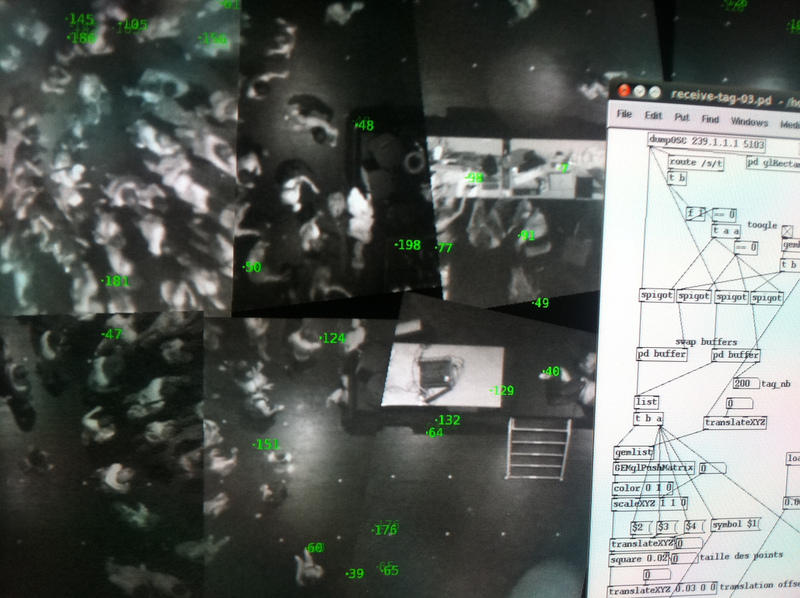 This project led by the laboratory DRII by ENSADLAB questions the efficiency of surveillance devices in front of a chaotic crowd. 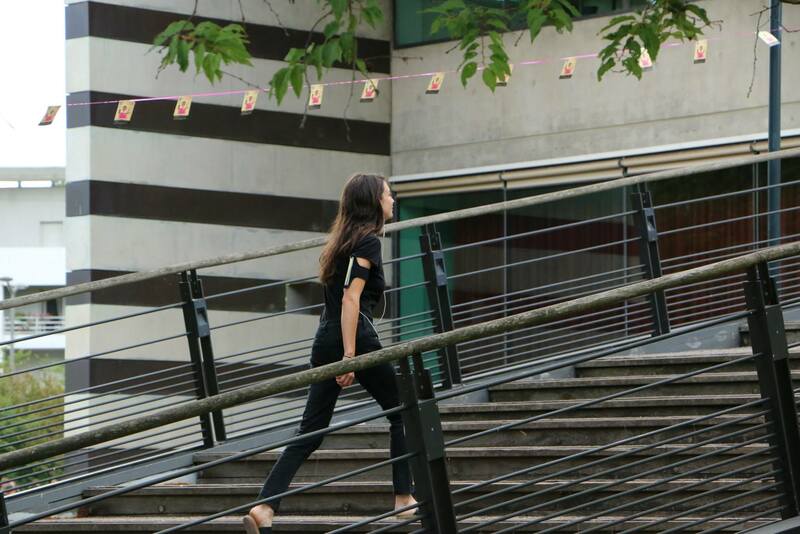 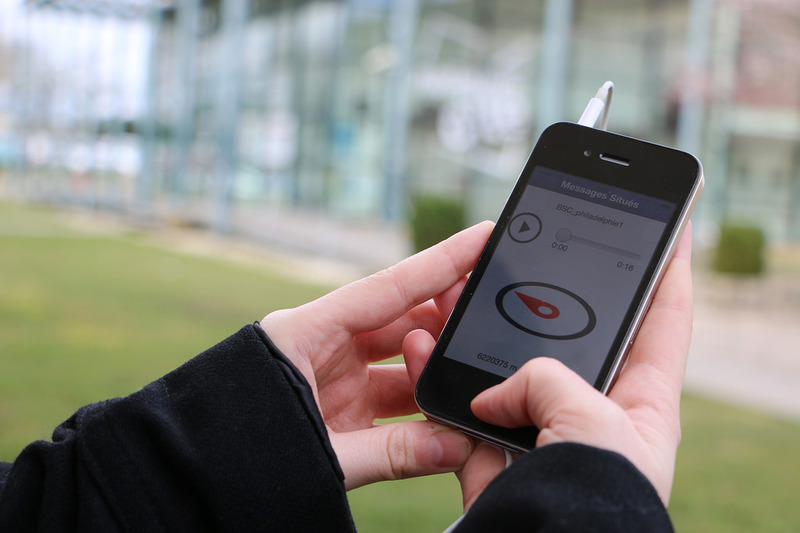 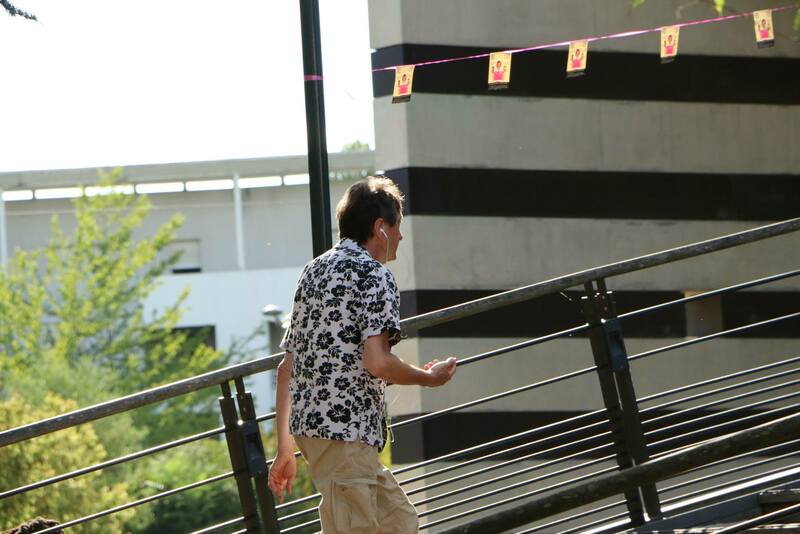 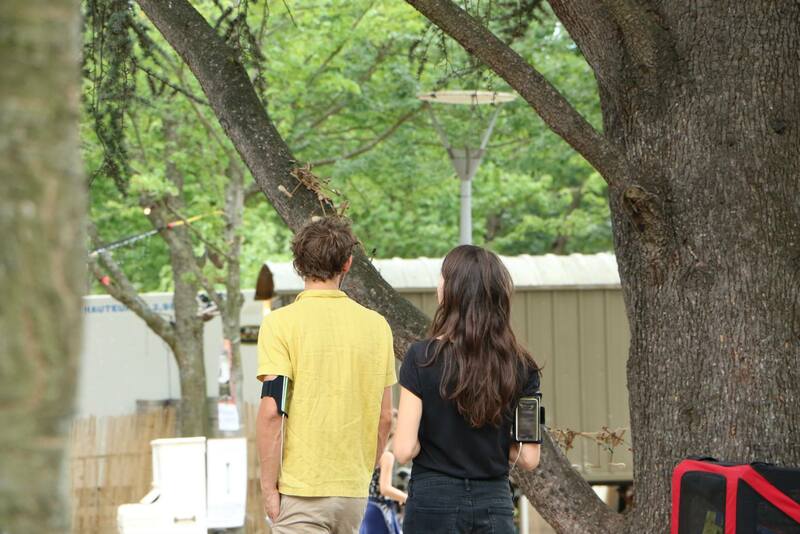 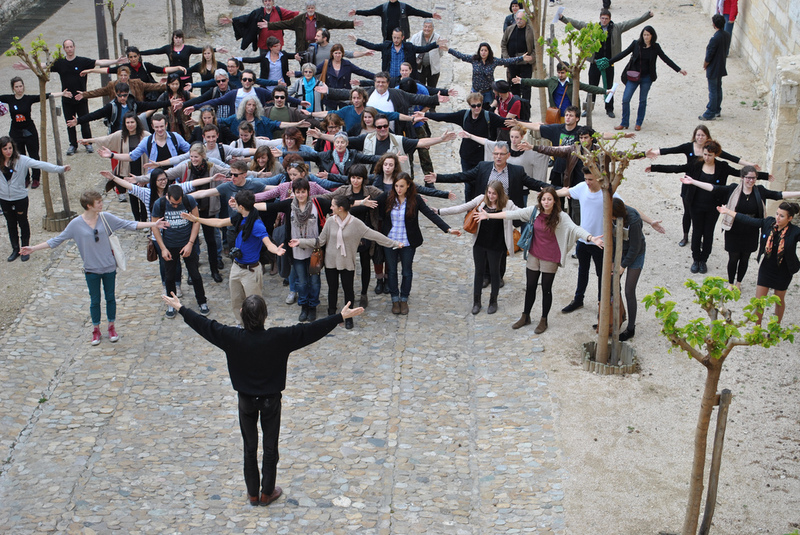 As part of the project, Orbe implemented a real-time tracking device for the 200 participants of the event. 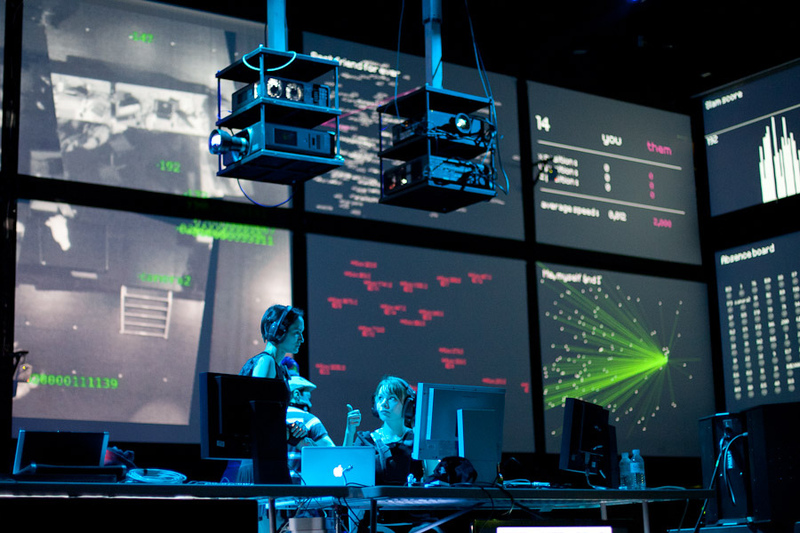 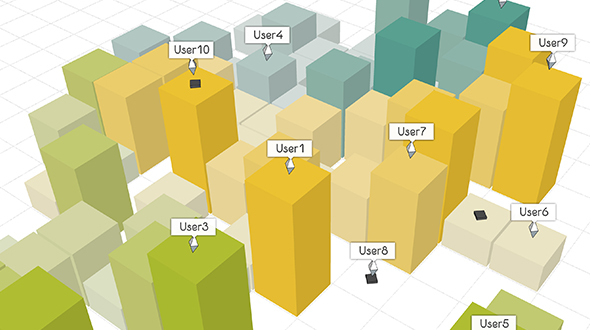 It includes a real-time data analysis and the feedback taking of visualization systems. 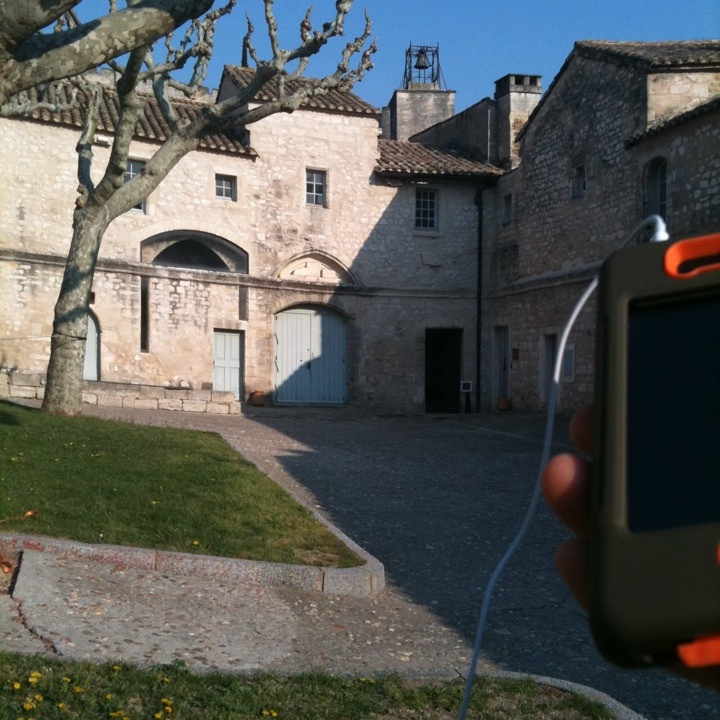 Orb uses Ubisense UWB technology: an indoor geolocation solution by emitting electromagnetic pulses. 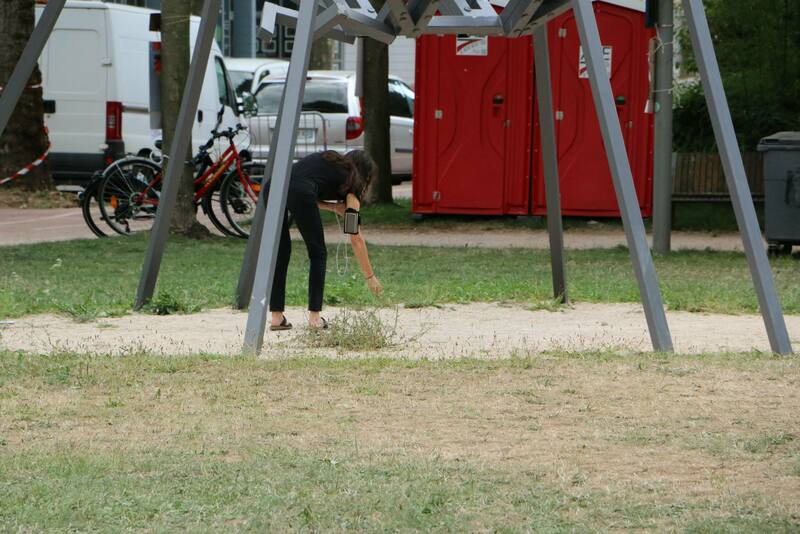 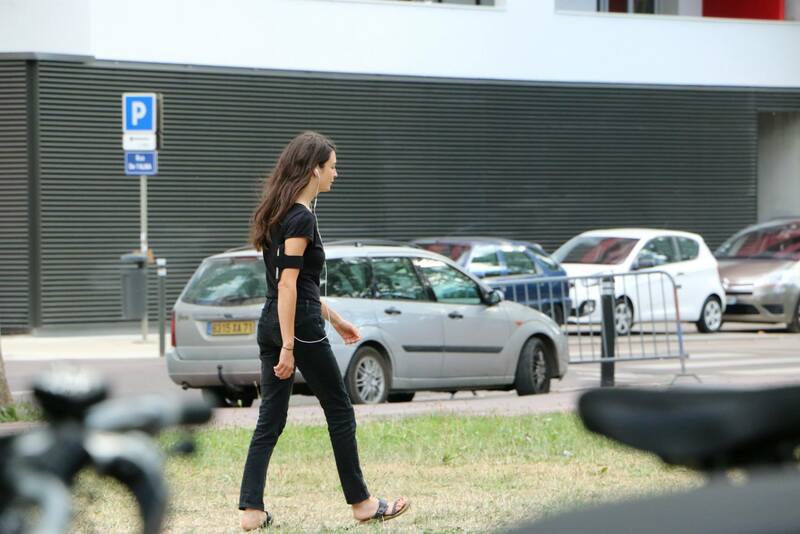 The device was tested for the first time at the Gaité Lyrique in the context of the festival Futur en Seine 2011. 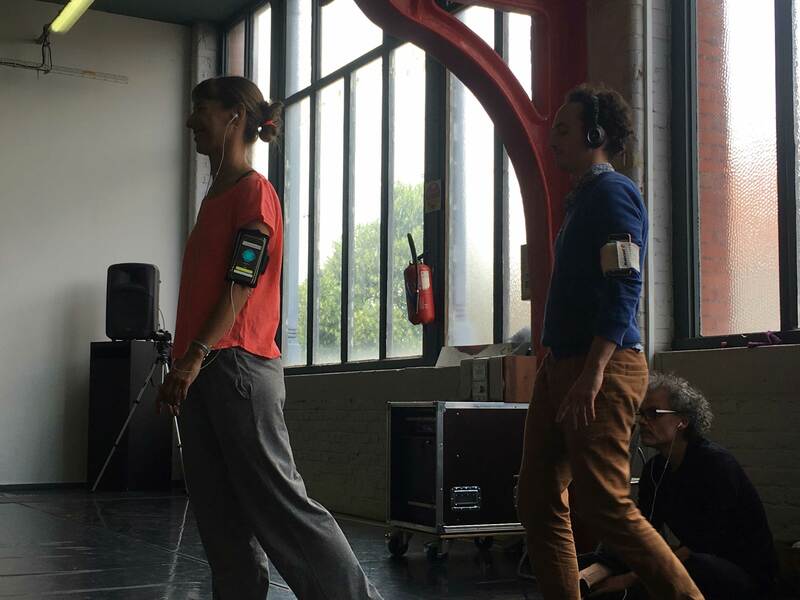 The device was first experimented at la Gaîté Lyrique on June 24th and 25th with the framework of Futur en Seine festival. 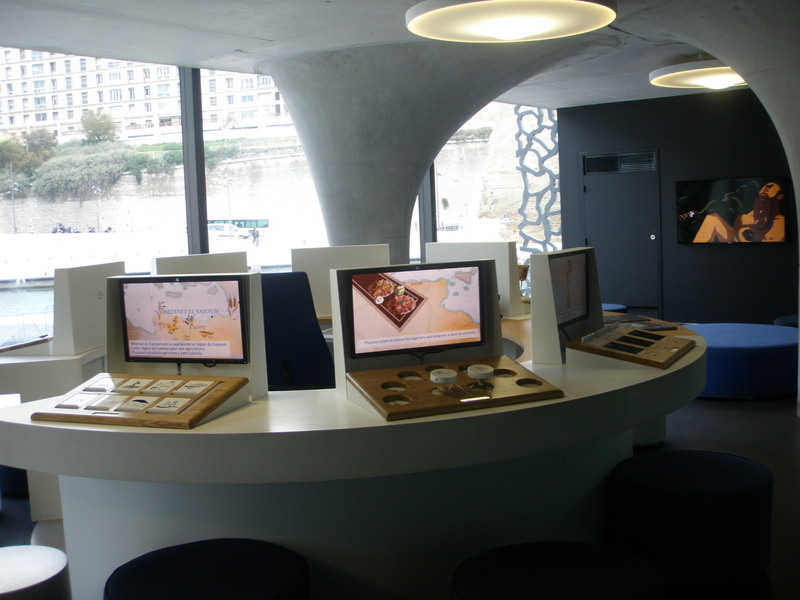 View of the exhibition at the Mucem. 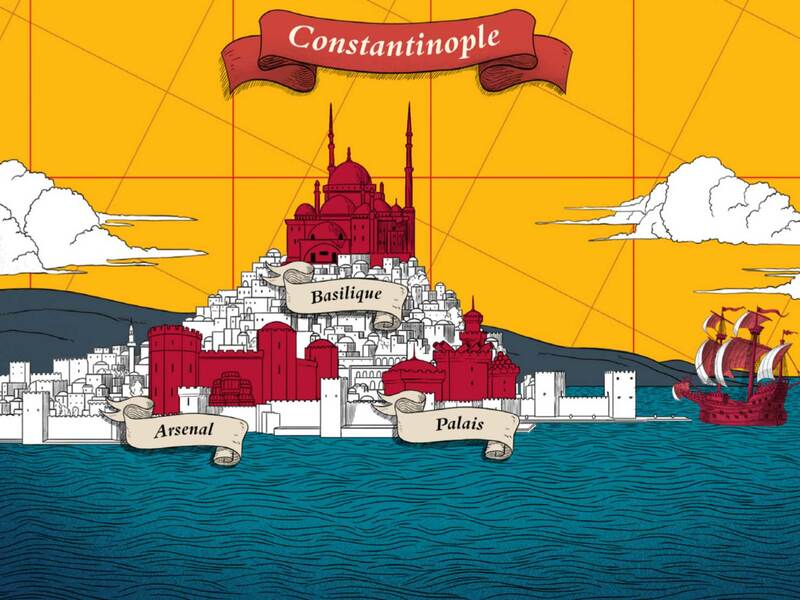 The new playful course of the museum takes place at the time of Suleyman the Magnificent and Philip II of Spain. 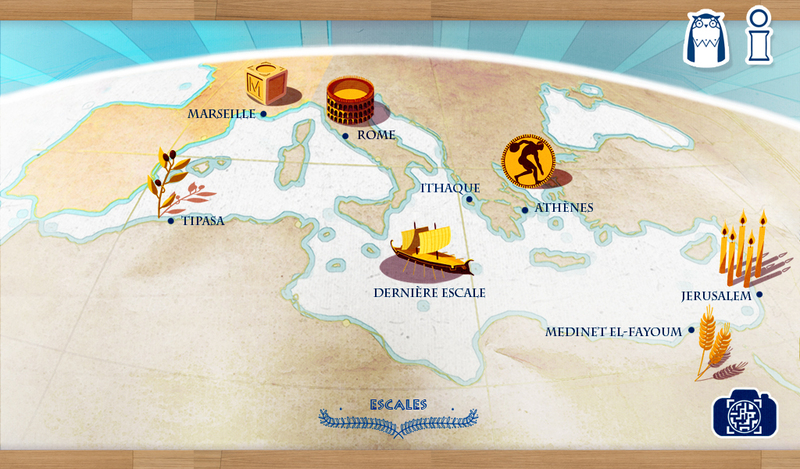 Young visitors explore the Mediterranean from port to port, to collect the wealth. 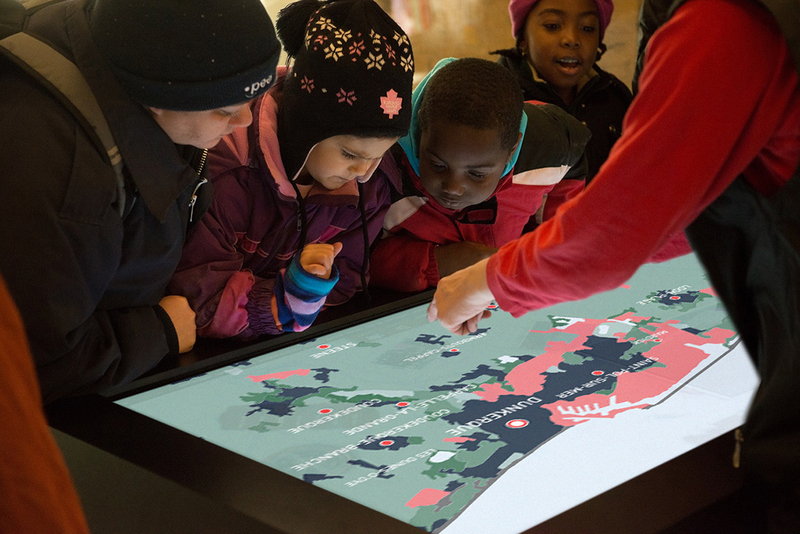 Orbe collaborates once again with the Mucem teams to design and implement the children's experience. 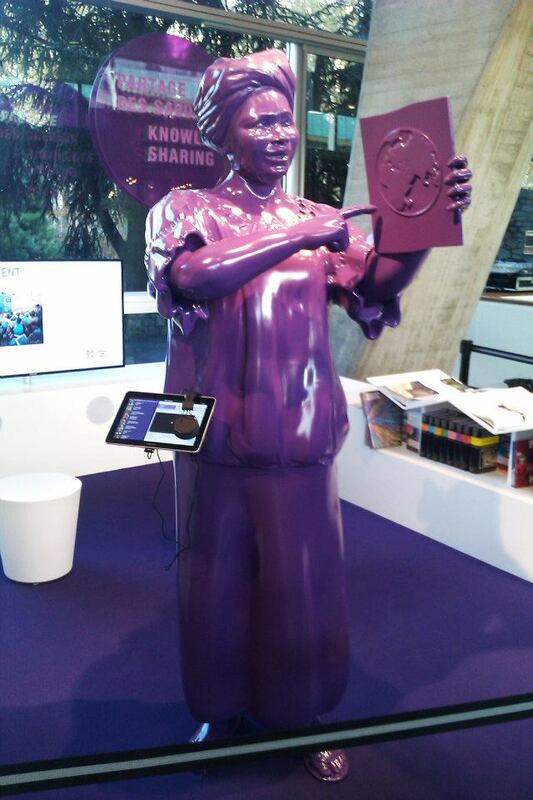 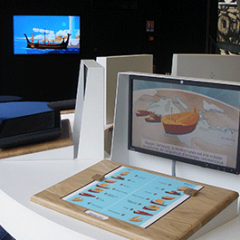 Children Odyssey is a project for the Museum of Civilizations of Europe and the Mediterranean (Mucem) of Marseille. 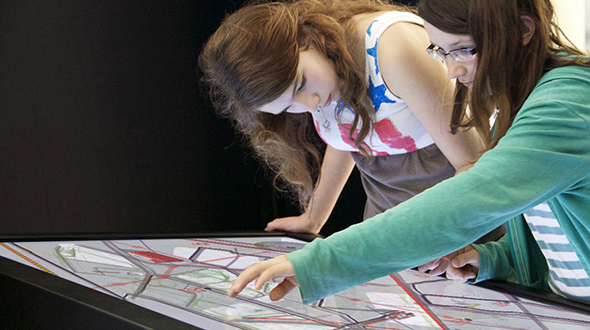 Children Odyssey is a space for children between 7 and 12 years. 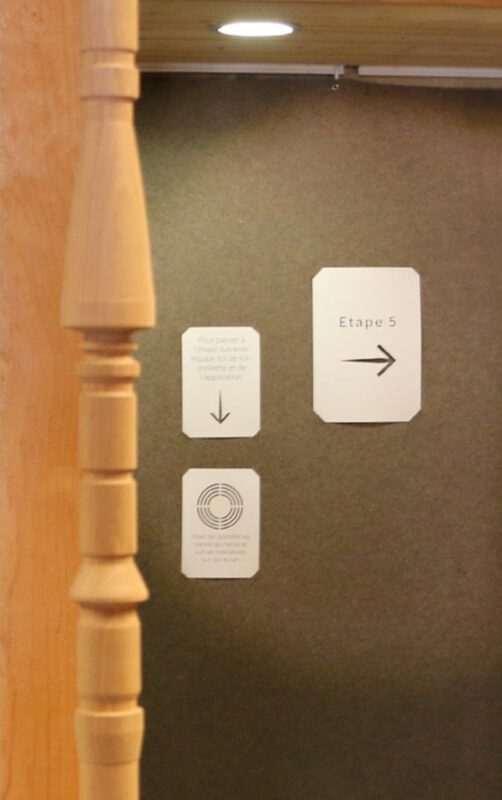 An interactive and playful route is offered to young visitors allowing them to acquire knowledge about the museum's collections and to discover the permanent exhibition of the Mediterranean gallery. 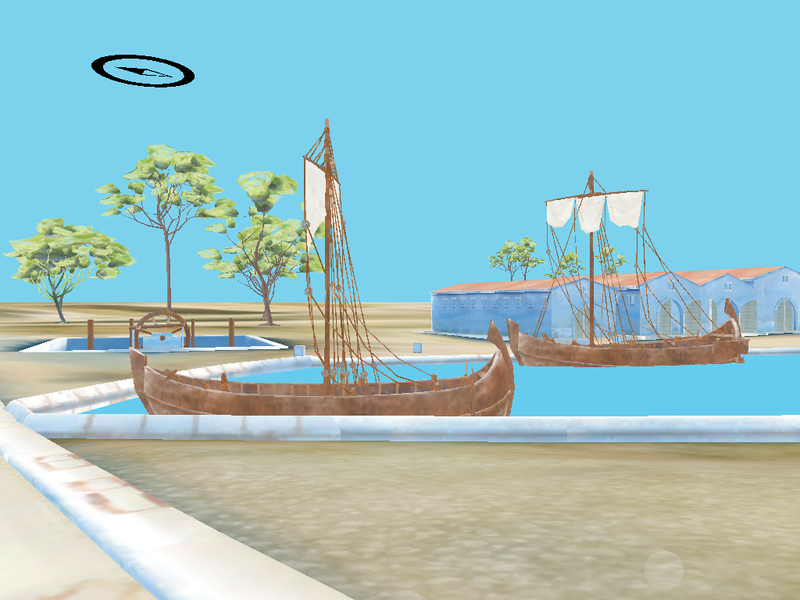 This experience features the Greek Hero Ulysses held by the nymph Calypso. 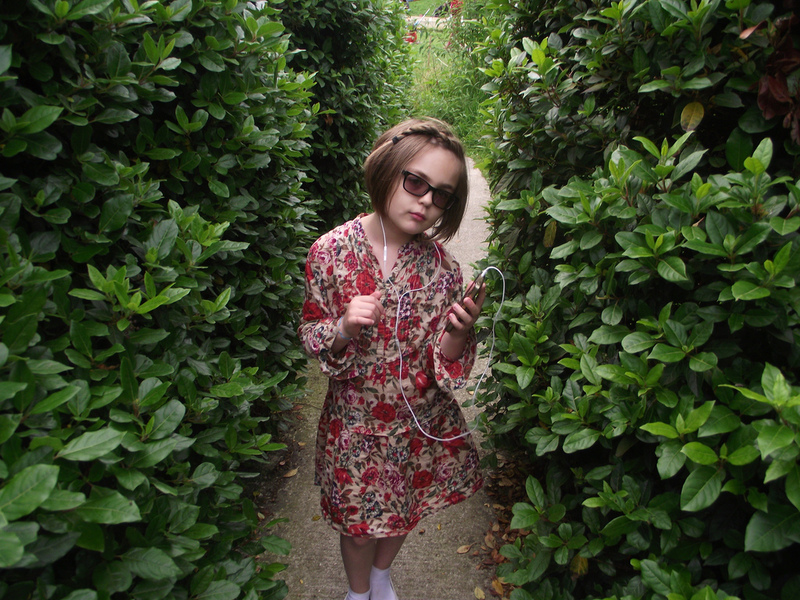 The children's mission is to free him by collecting clues and answering riddles. 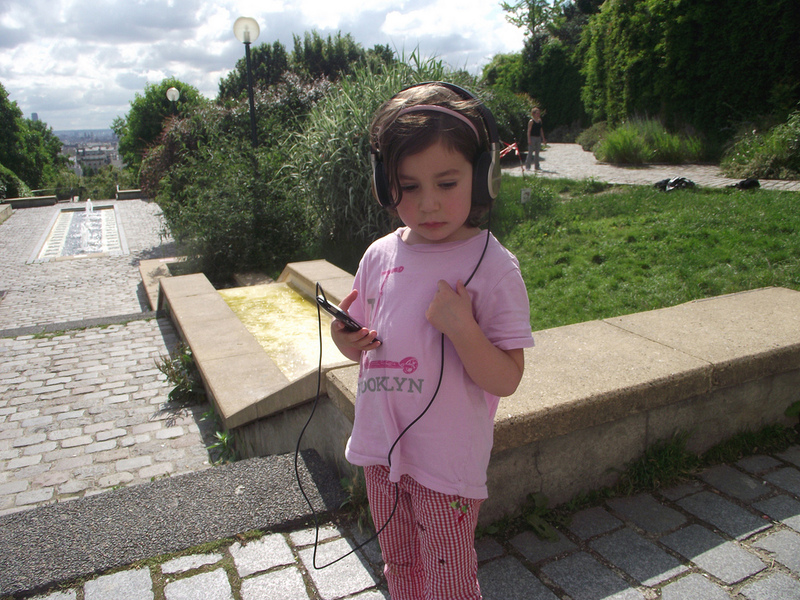 The route contains a 3 minute long film, a series of 7 manipulations and a touch app for tablet that accompanies the children while they are visiting the permanent collections. 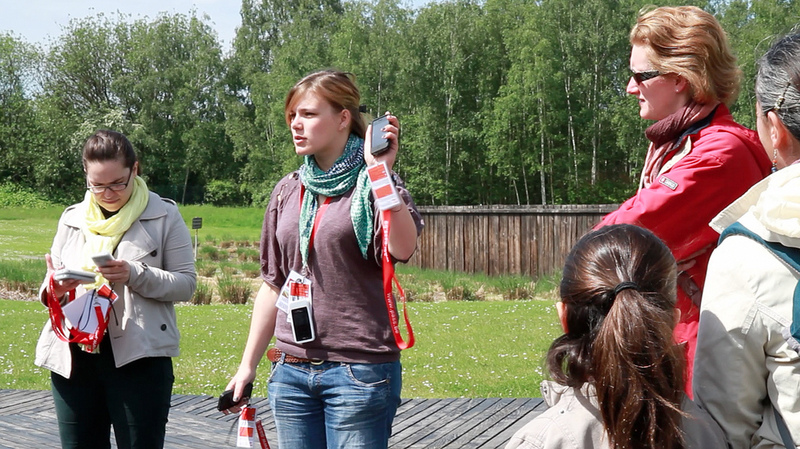 Opening and presentation of the first step of the children experience. 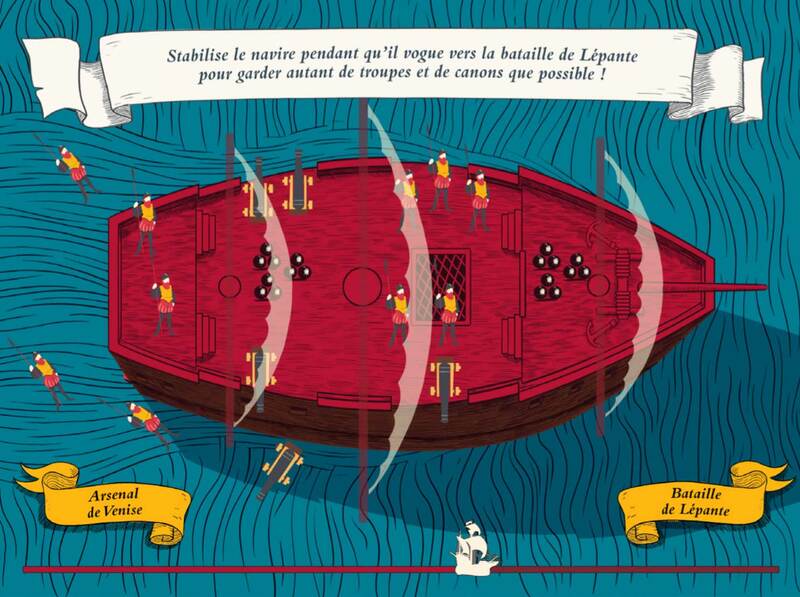 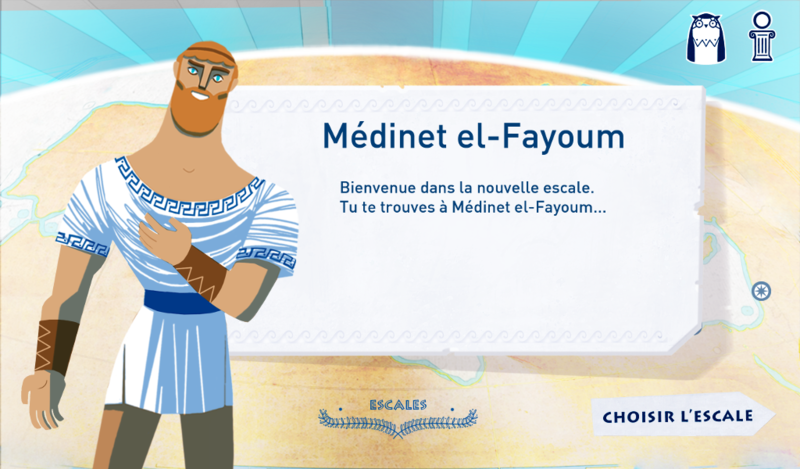 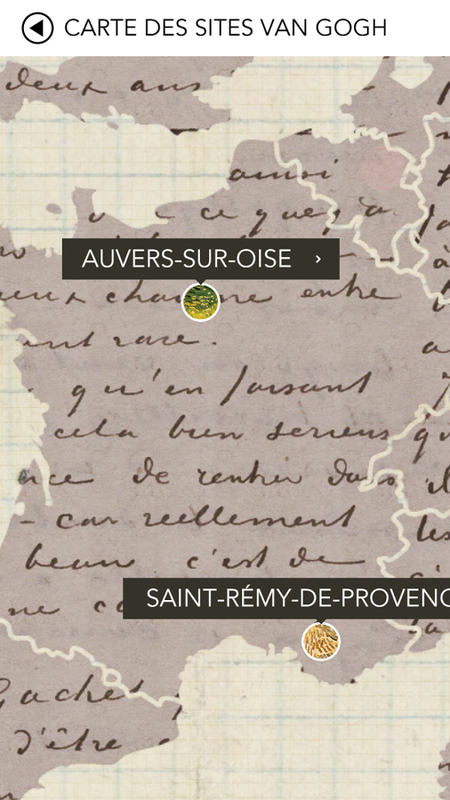 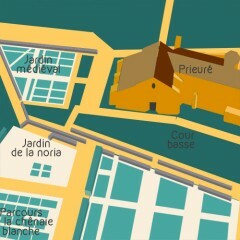 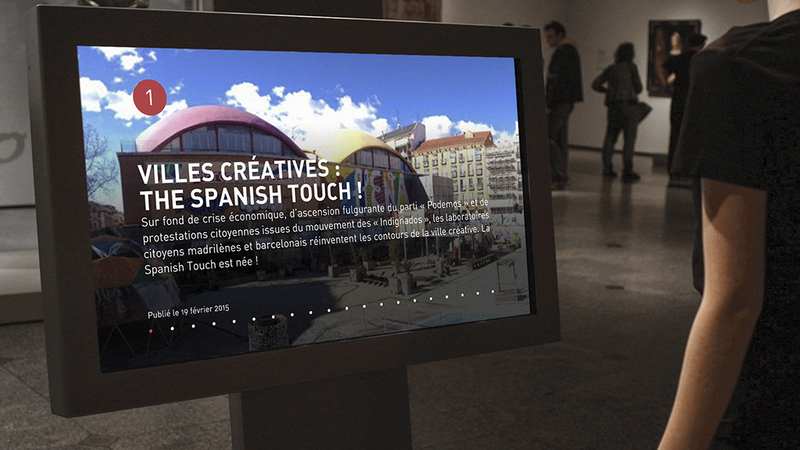 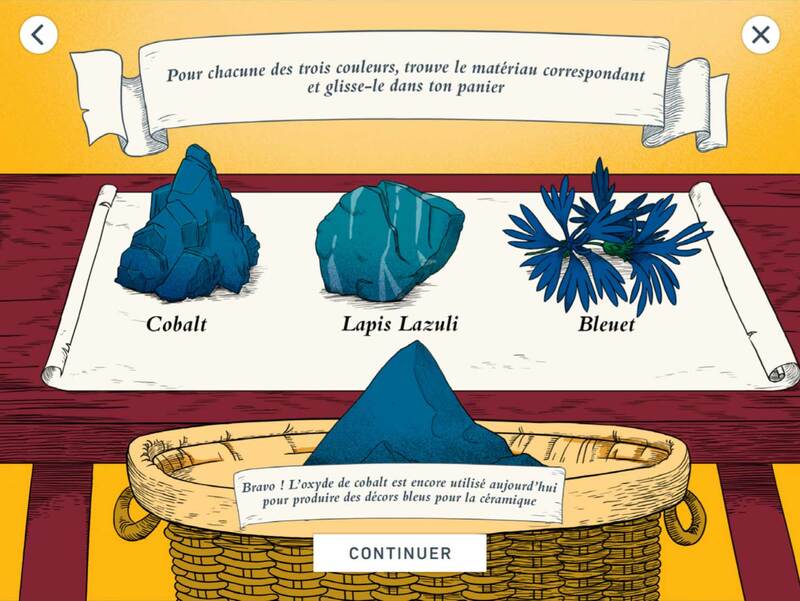 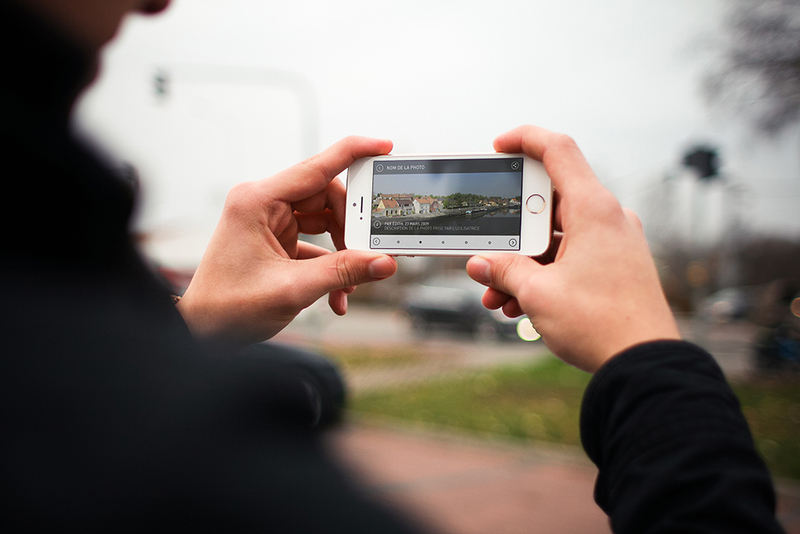 Video realized by les Films du Soleil for the mobile app of Marseille History Museum. 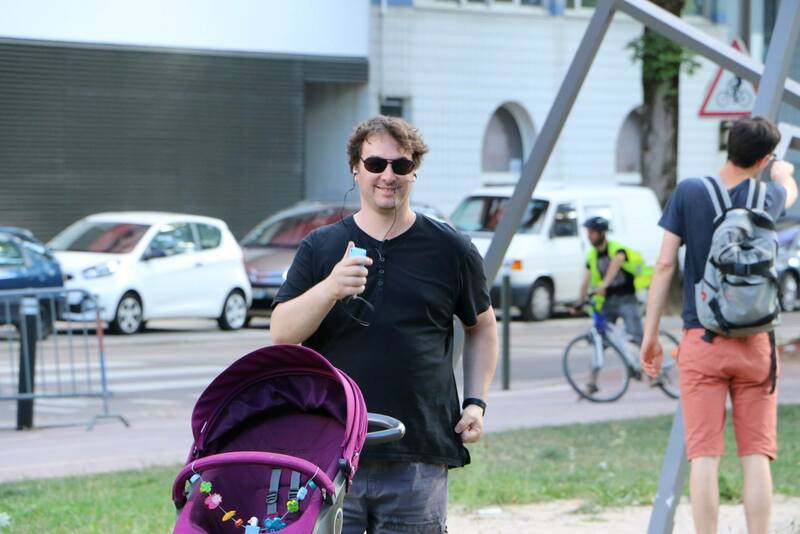 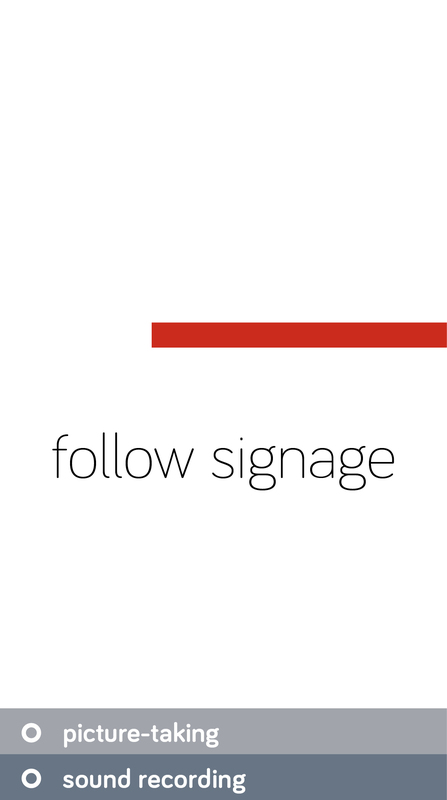 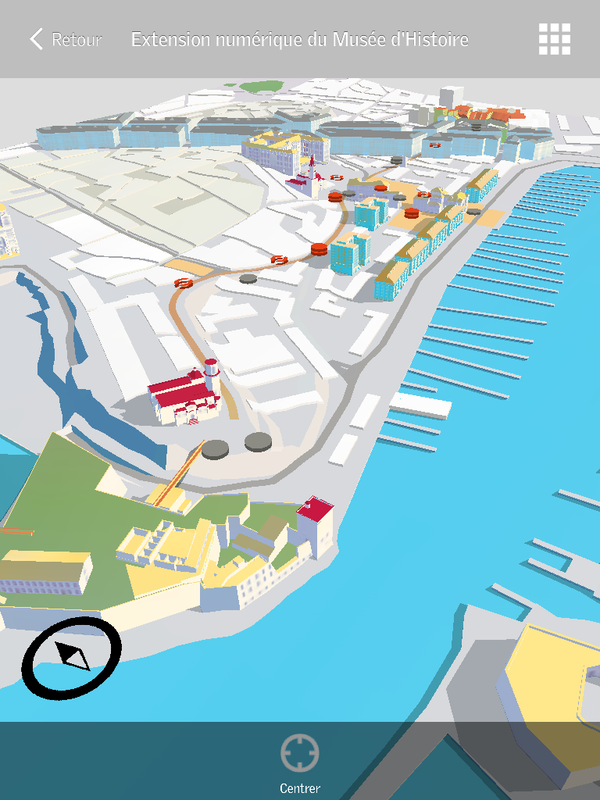 • The design and implementation of an augmented reality mobile and tablet app proposing a course entitled "The augmented walk" and retracing the maritime and port history of Marseille from its origins to the present day. 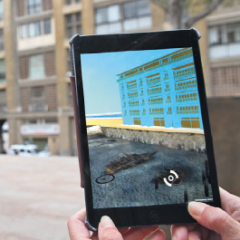 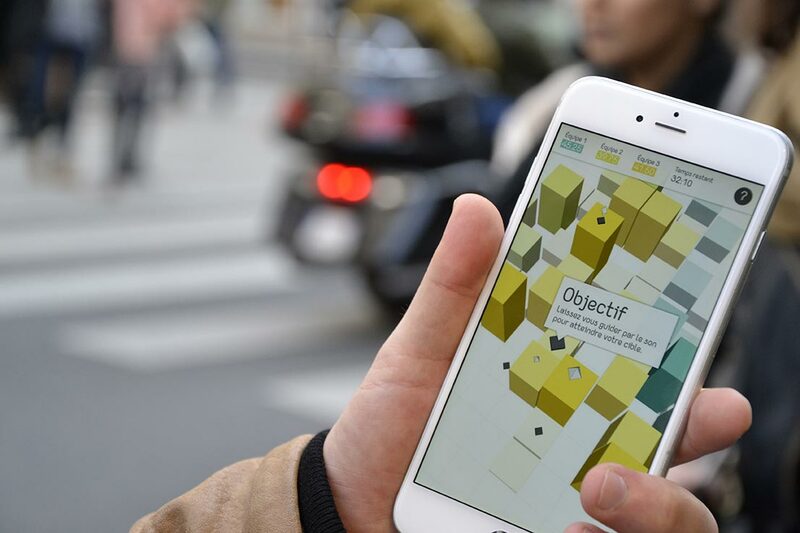 • The development and launch of an internet platform dedicated to the history and heritage of the city of Marseille, to prepare the visit of the museum and the augmented walk. 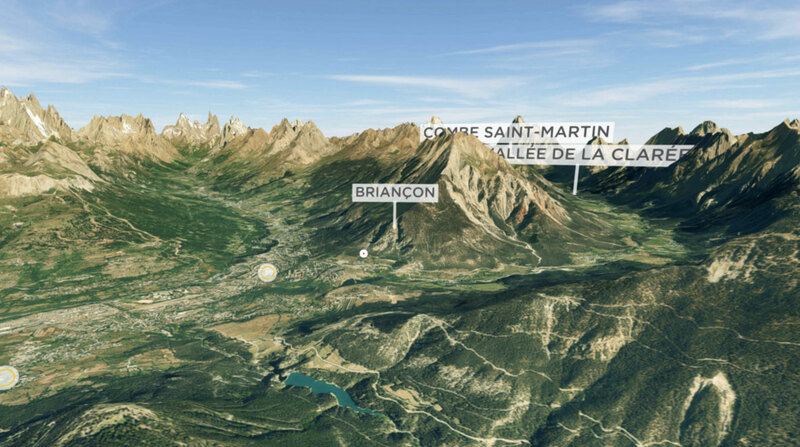 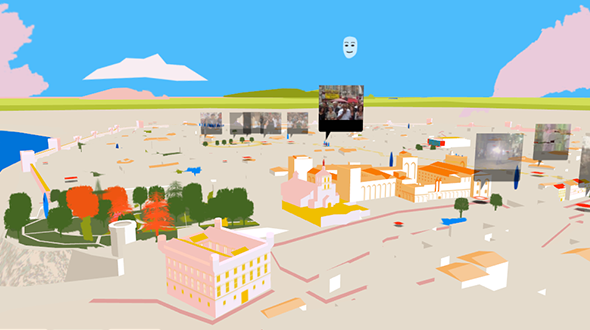 This platform has an interactive map to navigate within a modeled representation of the Historic Way of Marseille and its immediate surroundings. 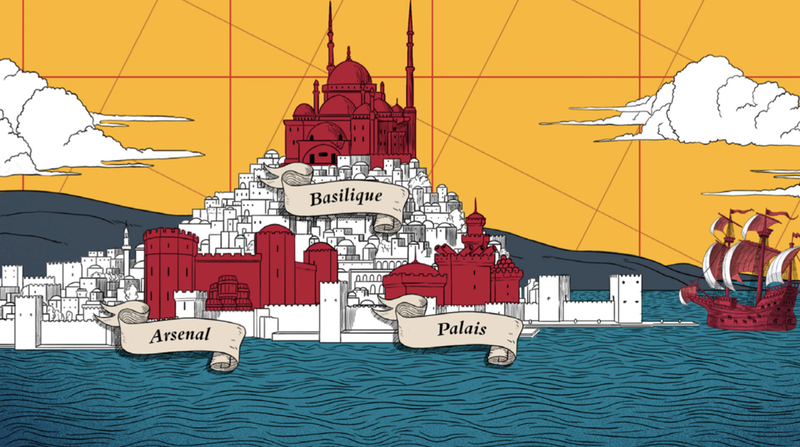 Historians and archaeologists talk about Marseille. 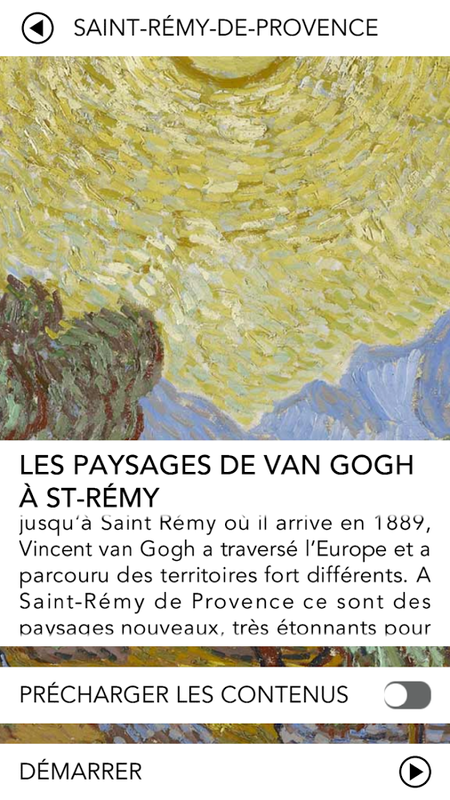 Extracts taken from the mobile app. 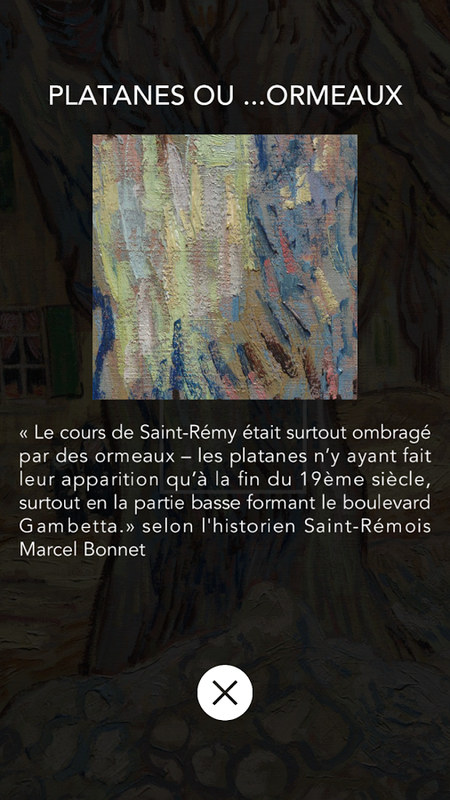 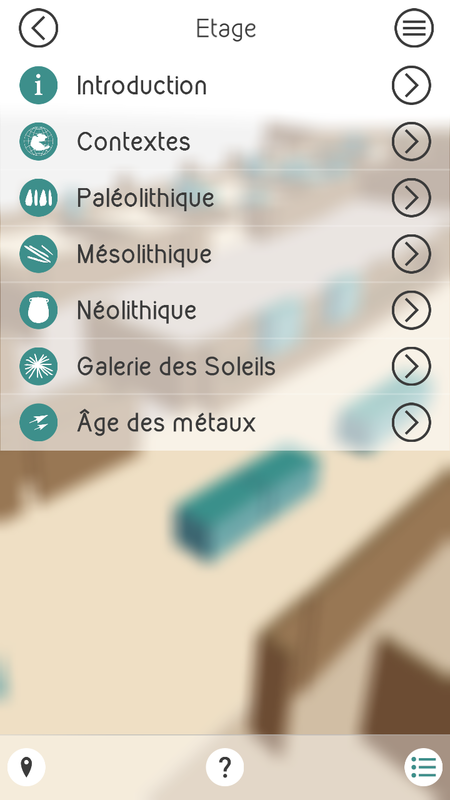 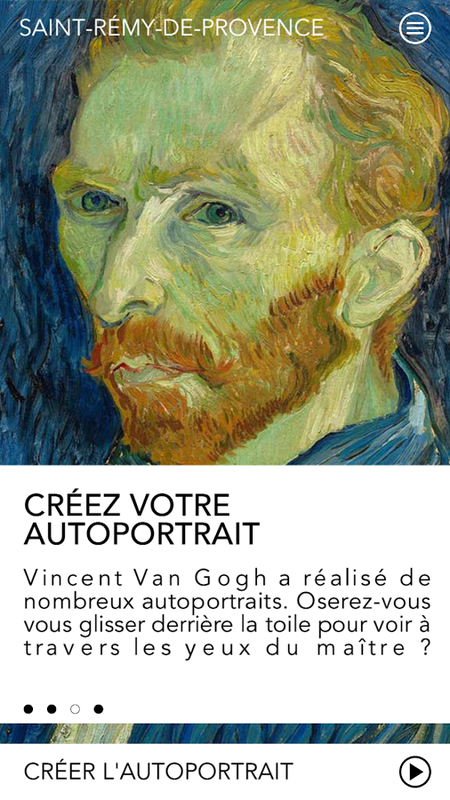 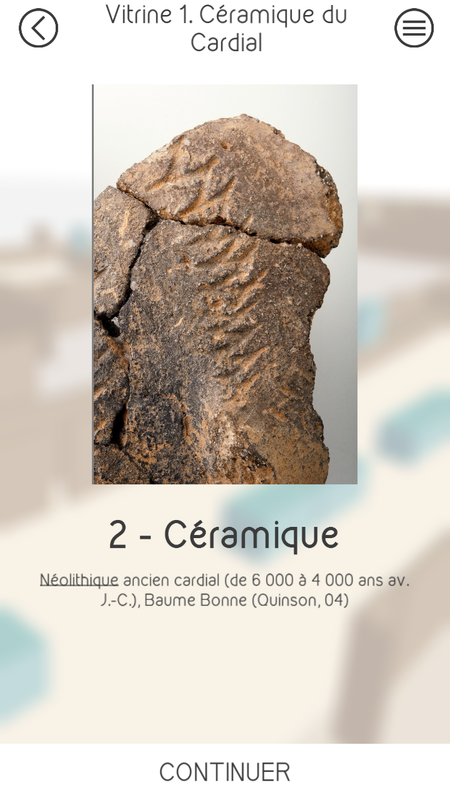 Marseille History Museum is available for free on the App Store and Google Play. 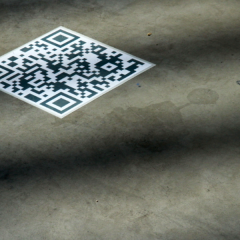 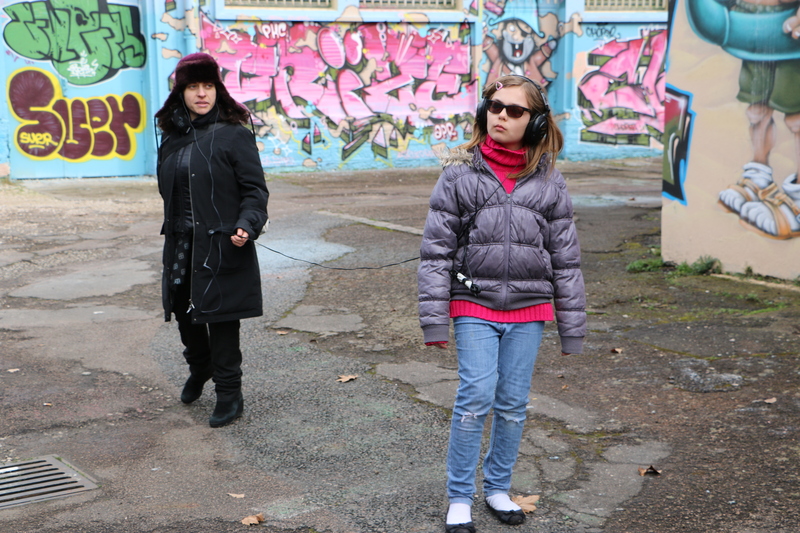 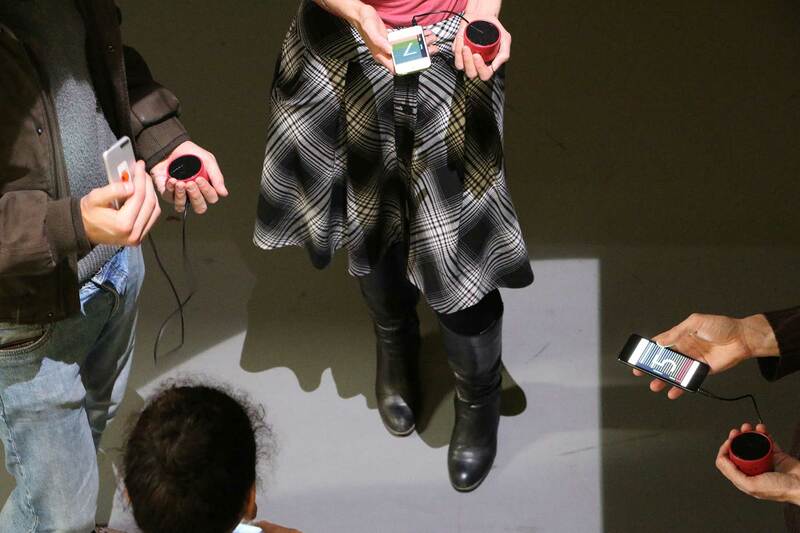 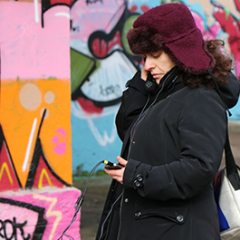 From February 10-28 2014, FAIAR students experiment with the device Médias Situés and give birth to Urban Whispers. 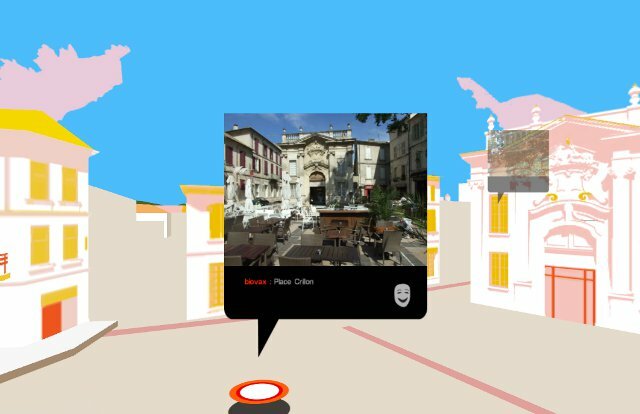 Urban Whispers is composed by a series of situated experiences, moments and singular situations, supported by the creation platform Medias situés developed by Orbe. 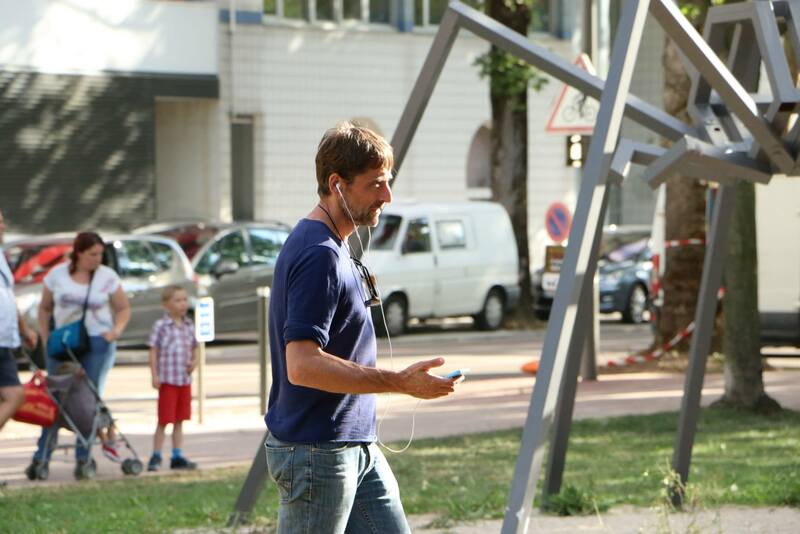 While walking smartphone in hand, the spectator hears a voice that offers him experiences he can choose to live or not. 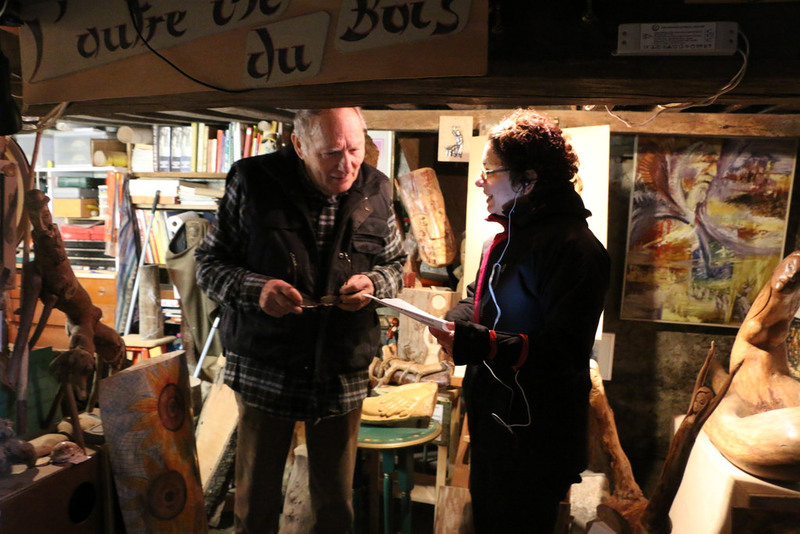 His experience is then filmed, mapped, recorded, documented, as many ways to write the play of which he was the real actor and finally the co-author. 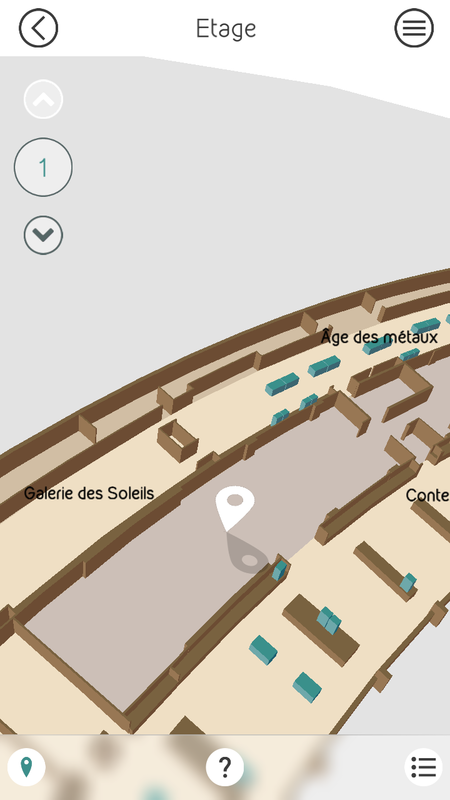 Interactive 3D navigation map in the library. 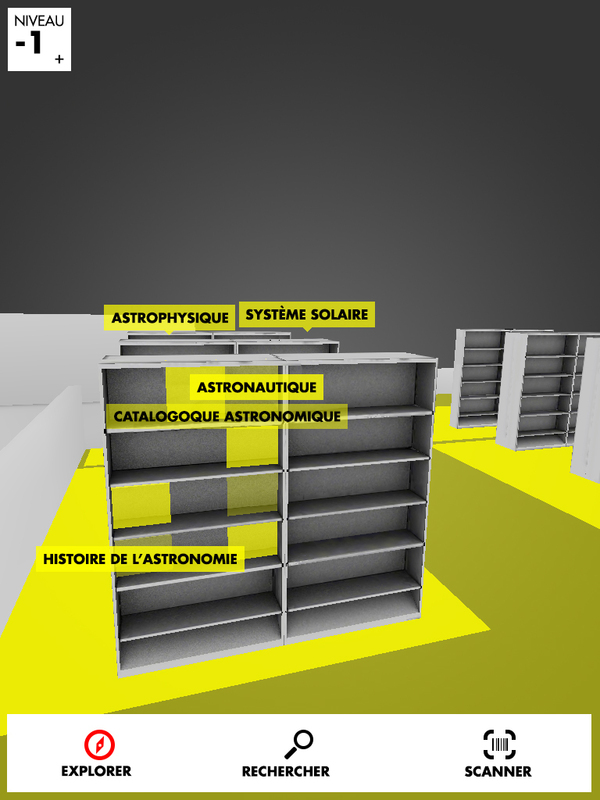 The BSI Guide is a mobile device for the support of informal learning in libraries for UNIVERSCIENCES. 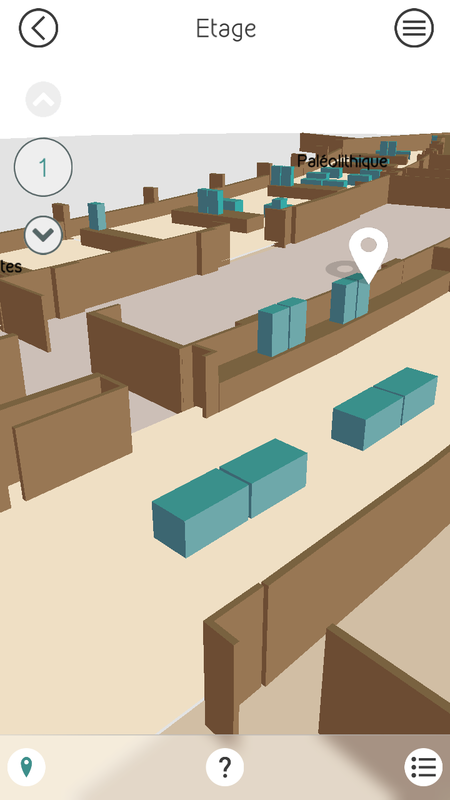 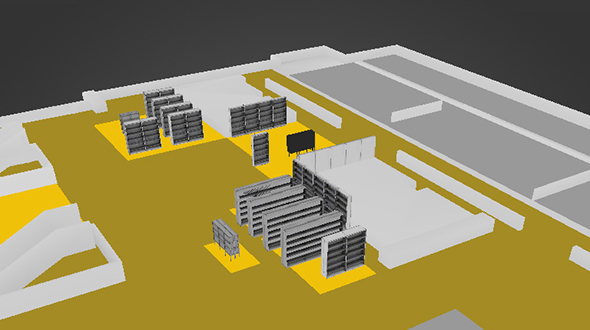 The visitor is geolocated on a 3D map, where he can launch a search, view the results on the map and access the presentation sheets for each document. 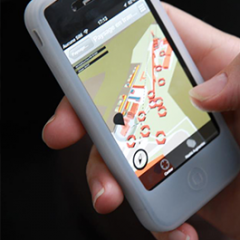 BSI Guide is available for free on the App Store and Google Play. 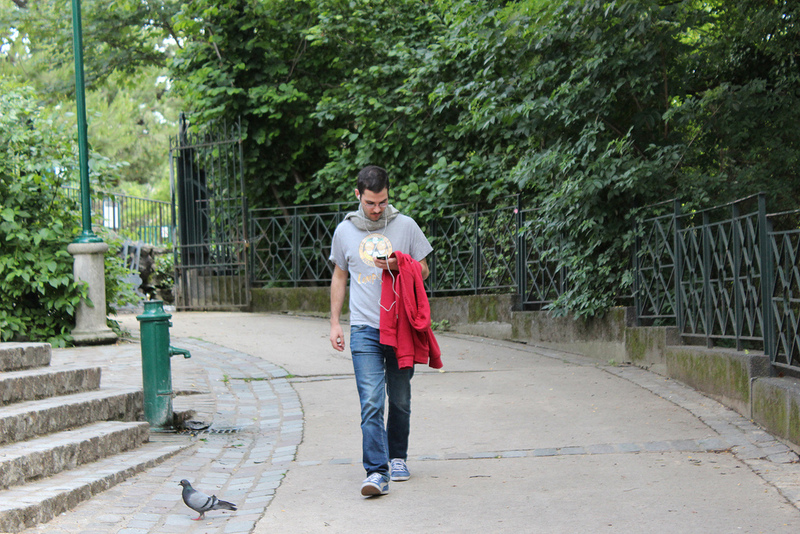 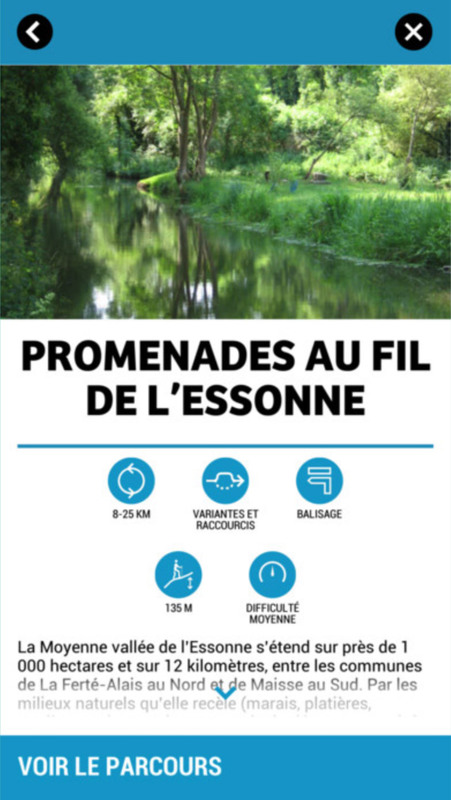 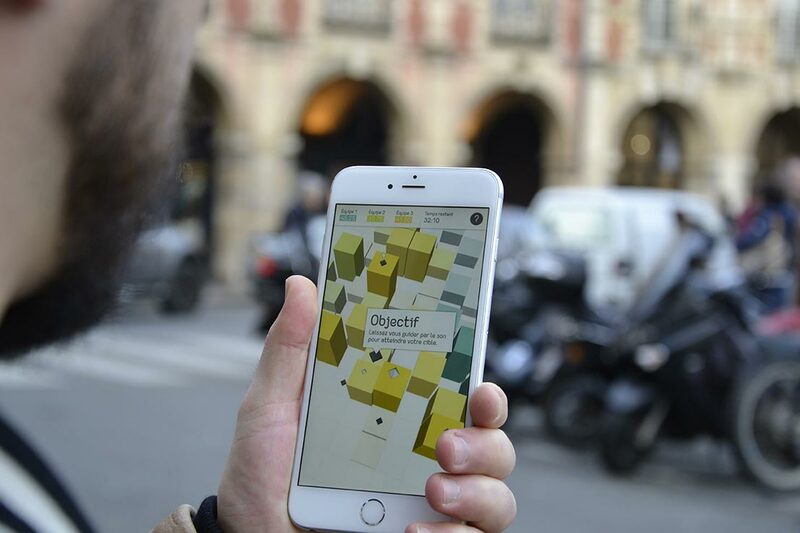 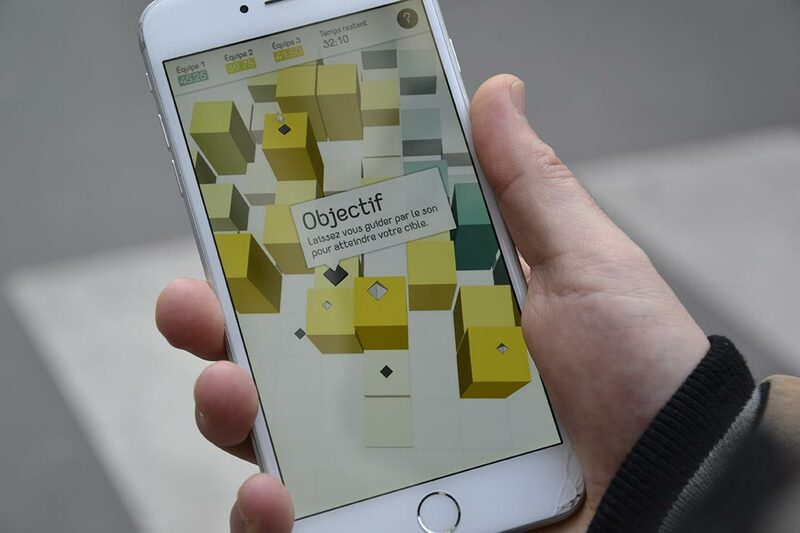 Designed as an outdoor course in the immediate neighbourhood of MAIF Social Club, the game allows to rediscover of the exceptional heritage of the Marais - an urban environment both peaceful because of its low motorized and mysterious traffic with its many courses and uncrowded gardens. 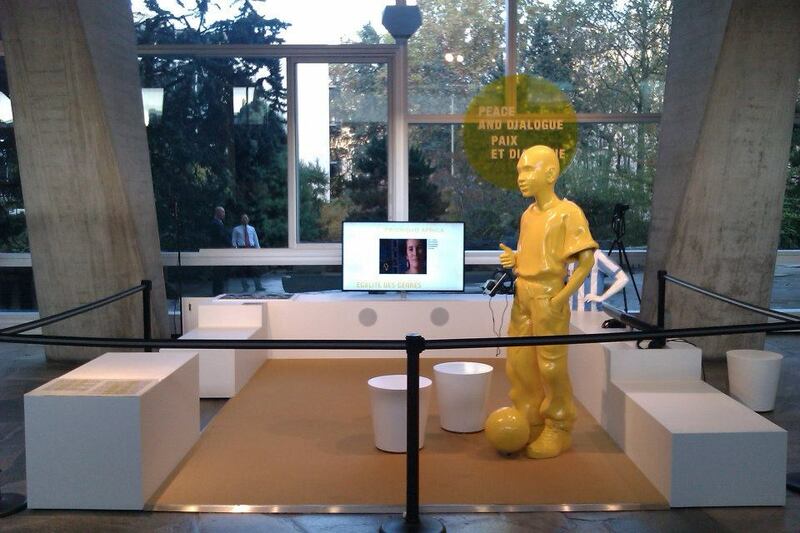 Playground unveils several playful scenarios where players are invited to participate outside and inside..
Playground is played in teams, within a session of 40 minutes. 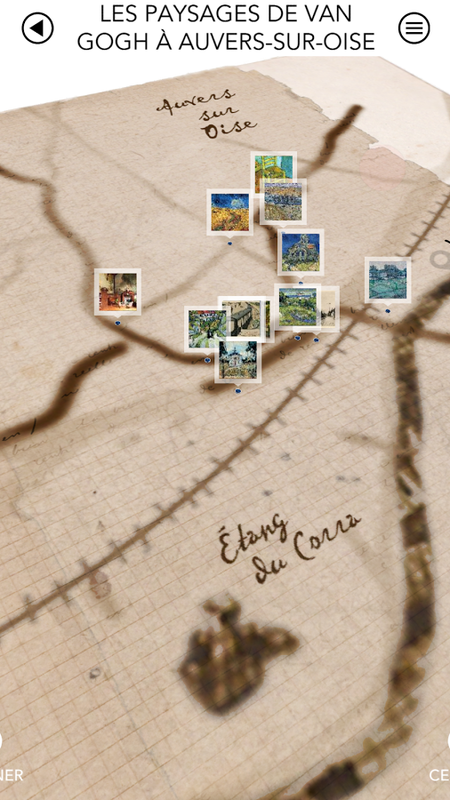 The team with the widest occupied territory wins. 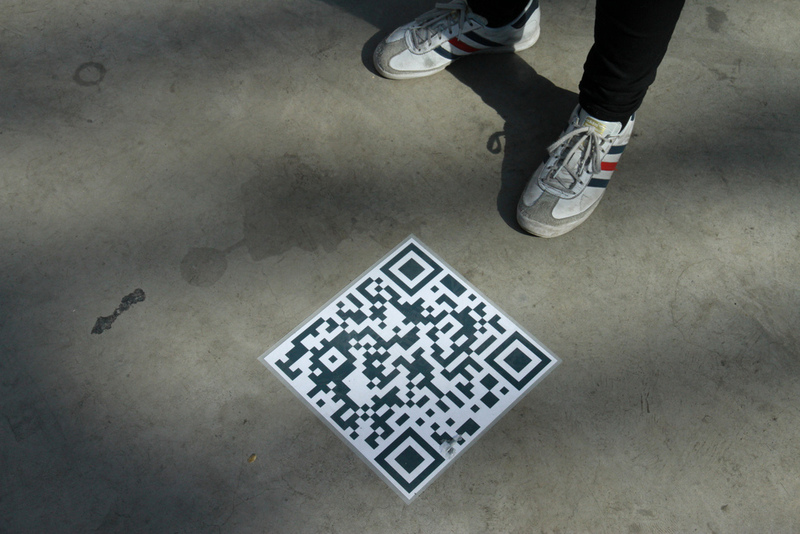 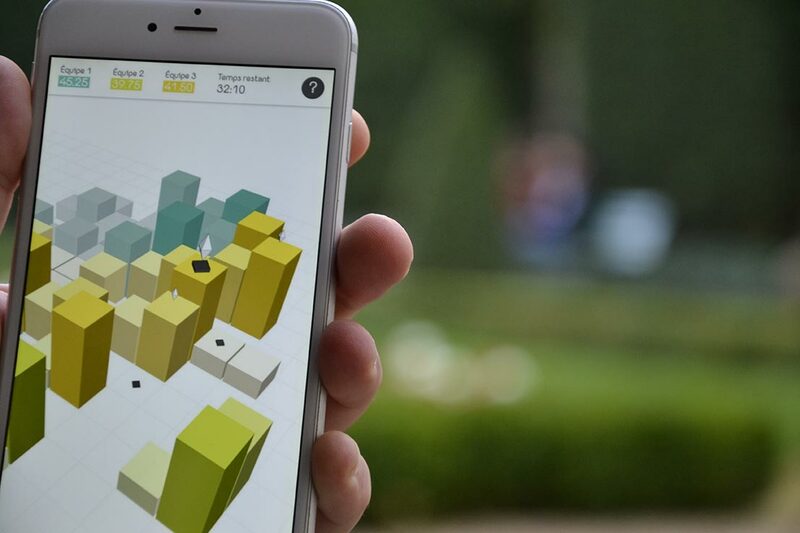 A virtual checkerboard centered on the MAIF SOCIAL CLUB consisting of 30 meters by 30 meters boxes is placed on the neighborhood. 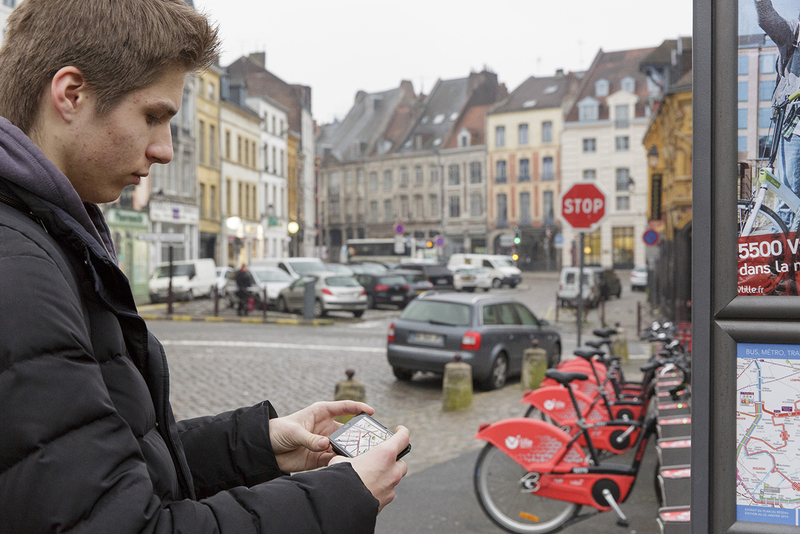 To conquer a square, it must be occupied for 10 to 30 seconds, depending on the quality of the GPS signal. 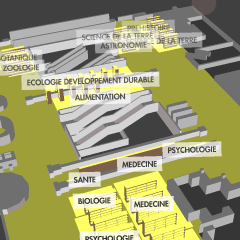 The participants invest the public spaces, the courtyards of opened building during the day, the balconies and accessible roofs. 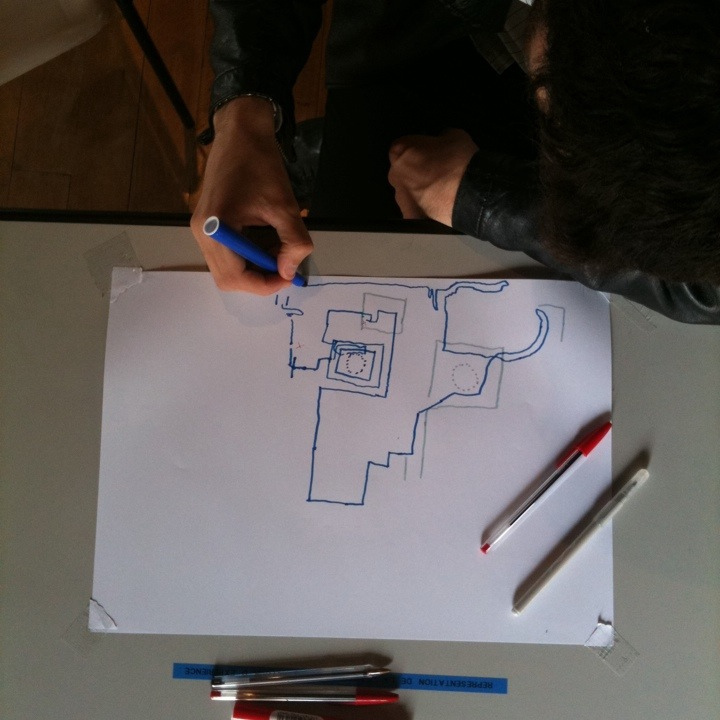 At the end of the session, the players gather around the most difficult spaces to access. 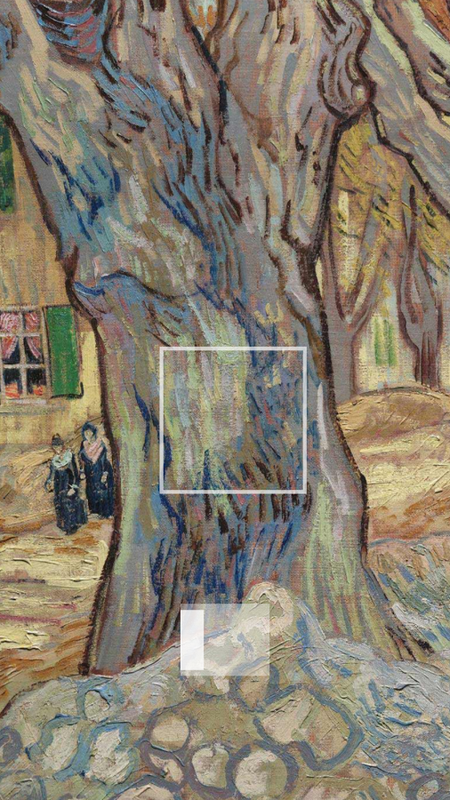 They must play against the clock and use invention to investigate each available parcels. 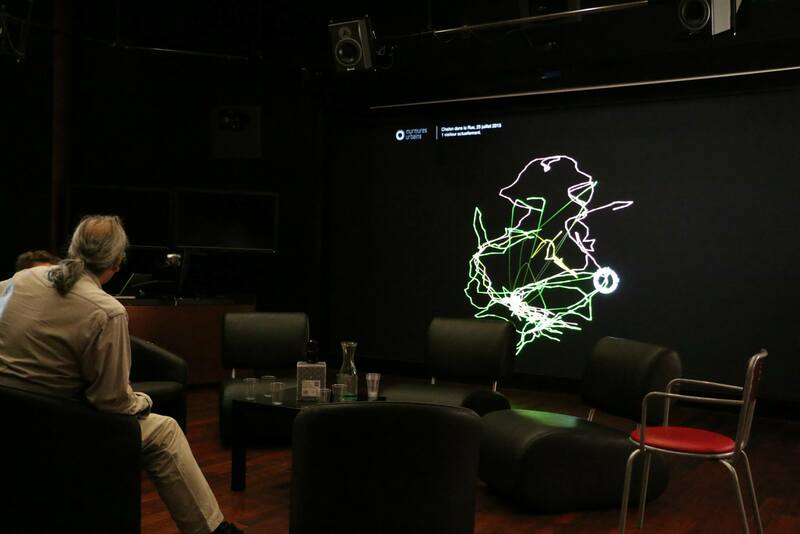 At the end of the session, a visual and audible countdown announces the end. 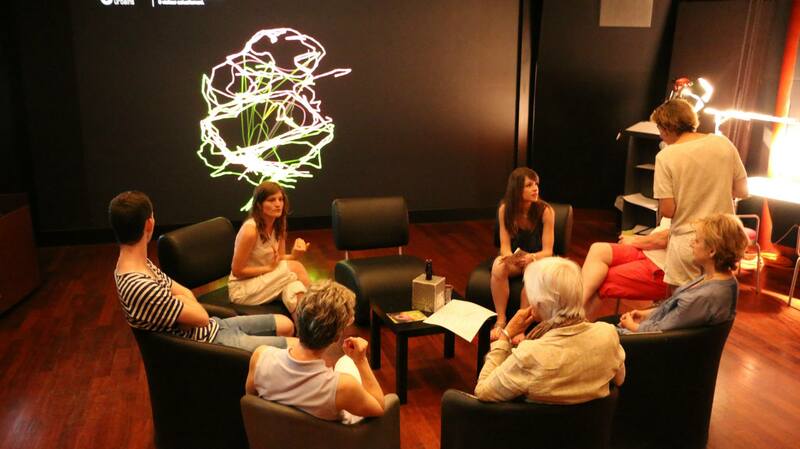 Participants are invited to return to MAIF SOCIAL CLUB. 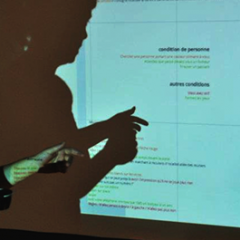 A screen presents the final ranking and allows to replay the session during a debrief with the participants. 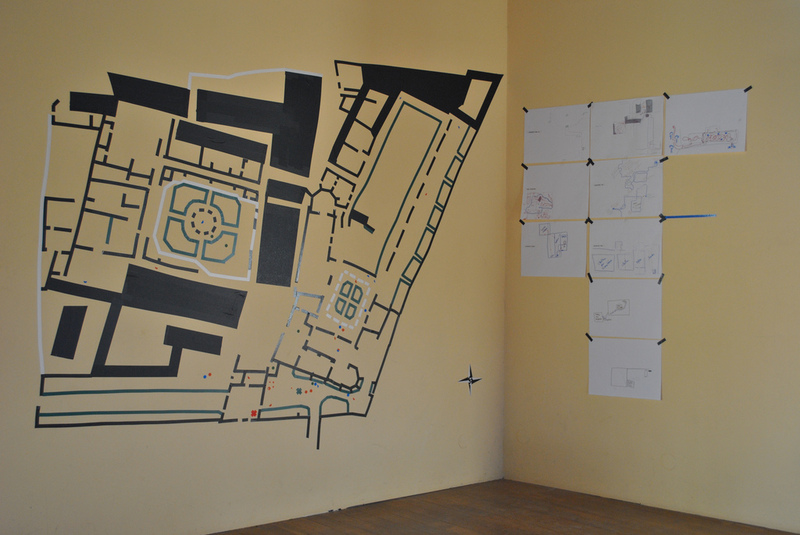 Le project was experimented within the framework of the exhibition « Sportmania » at MAIF Social Club. 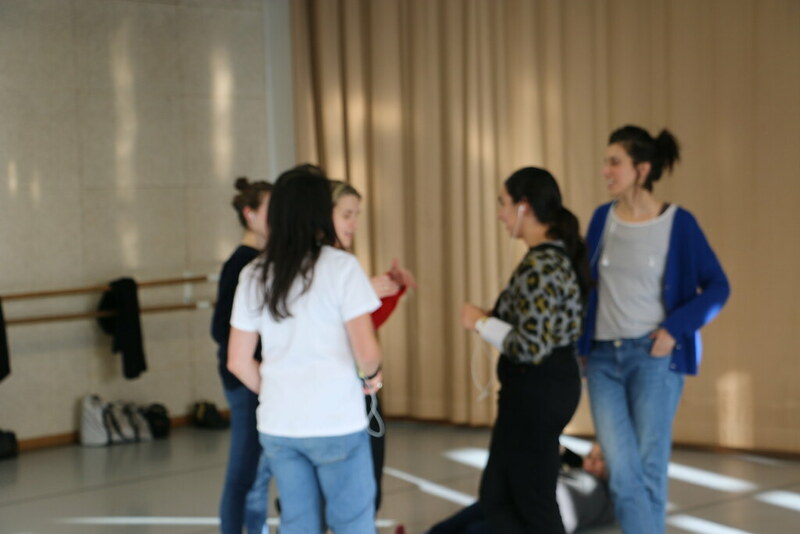 Other sessions were programmed on may 6th and may 20th 2017, Playground is available for free. 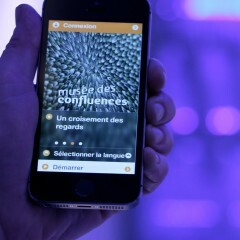 Video presentation of the app. 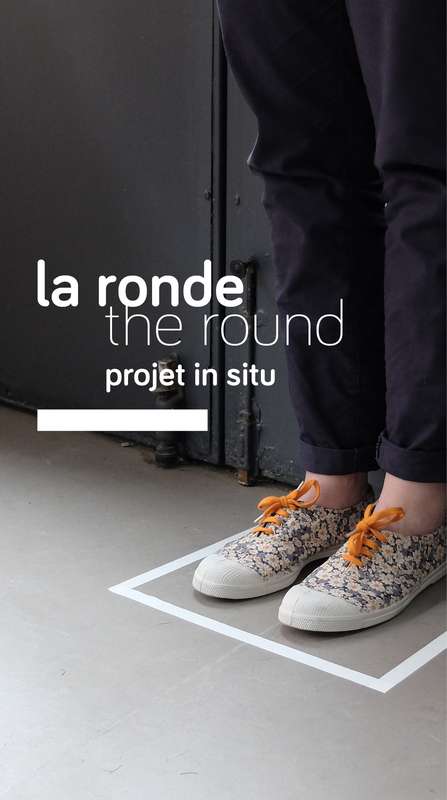 The show La Ronde is created by Company Projet In Situ in 2015. 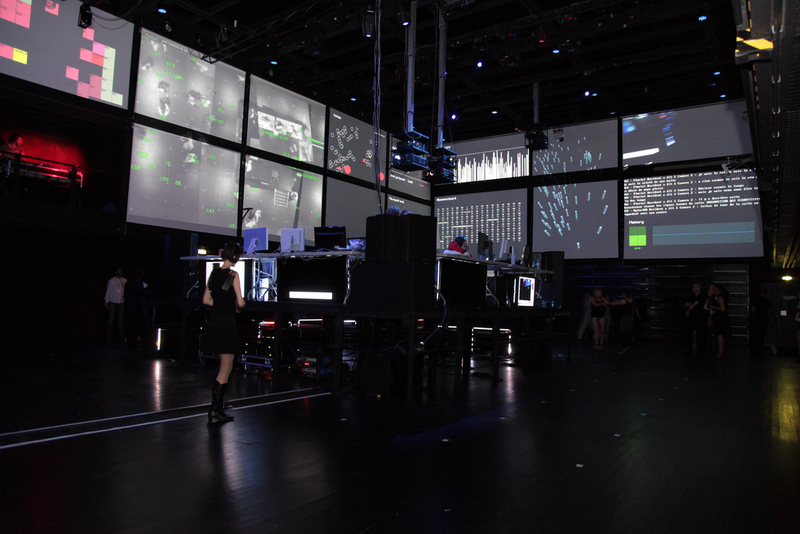 The time of a round, the spectator is invited in an immersive experience in a building and will meet his own imagination. 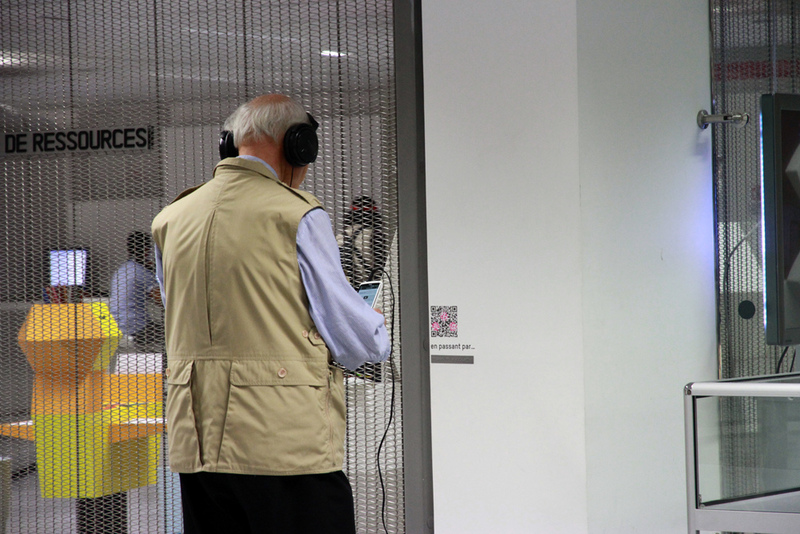 Alone, he is guided by sound recordings in different places that invite him to interact with space. 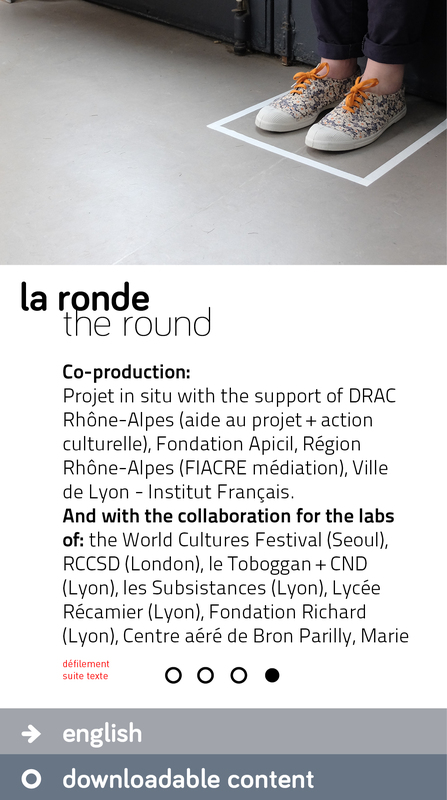 In preparation for this creation, Martin Chaput and Martial Chazallon, directors of the Company Projet In Situ, offer research laboratories in several cities to develop the full potential of The Round's interaction. 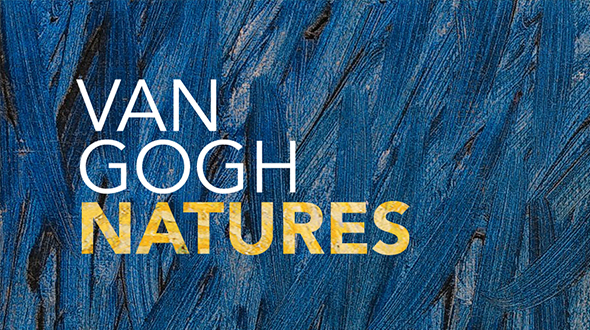 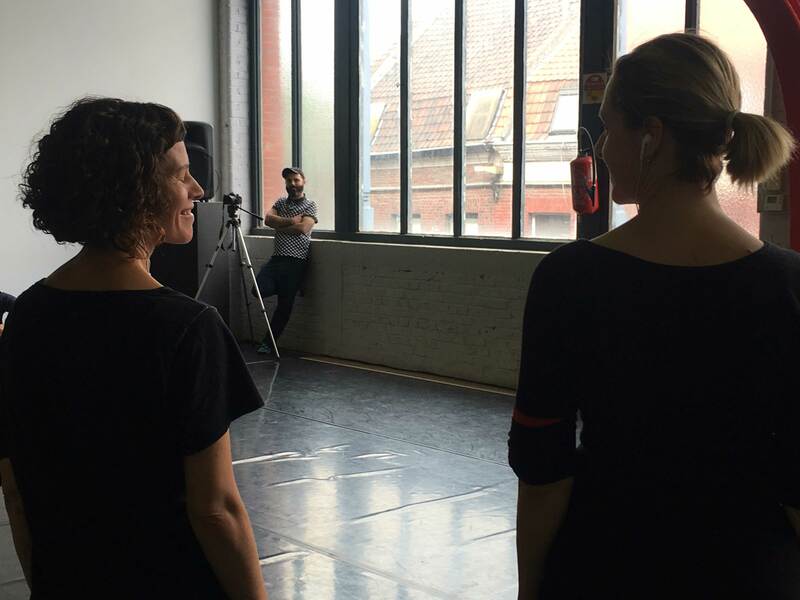 This exploratory work will allow the creation of first recordings, as many points of view for the project. 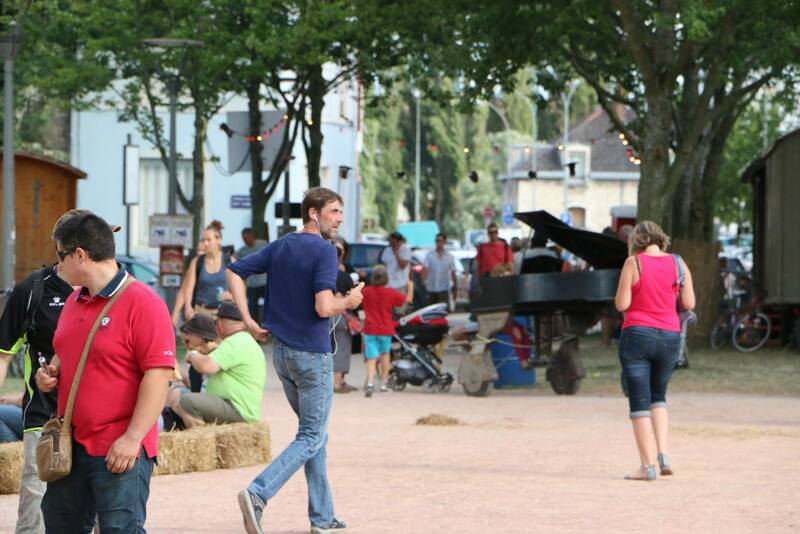 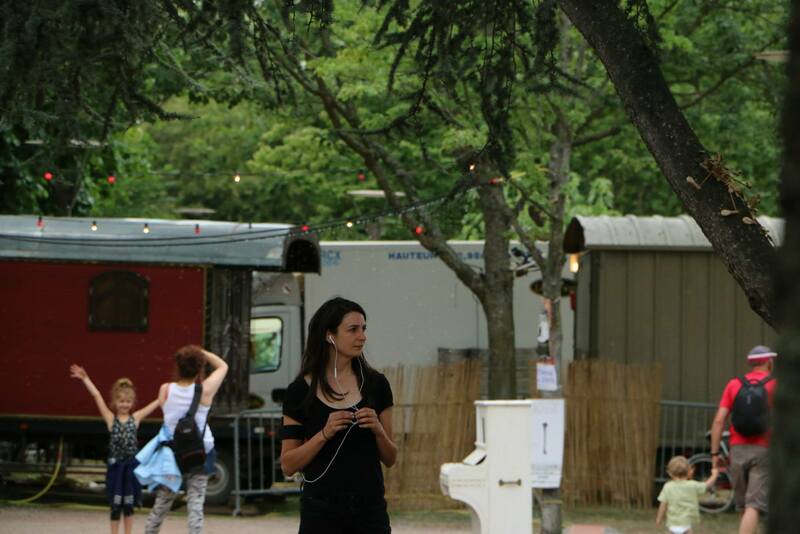 Presentation of Popup Fest within the framework of Festival Chalon Dans la Rue festival in July 2015. 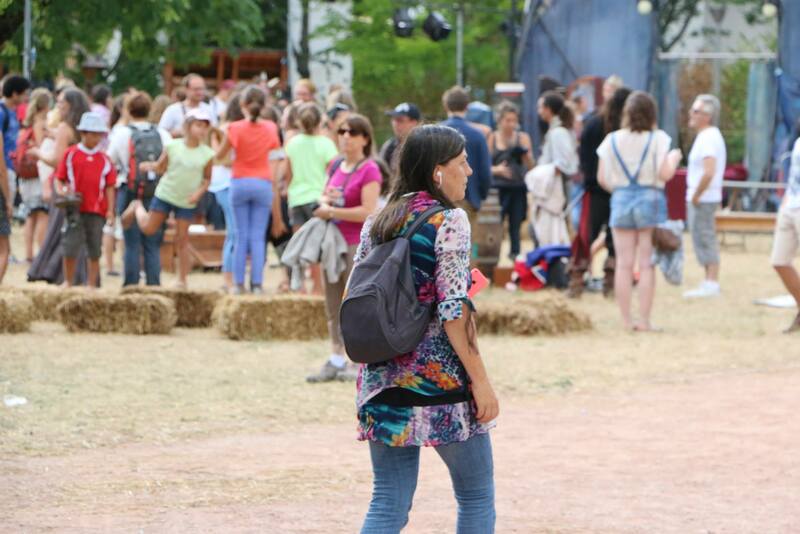 Popup Fest sets the Urban Whispers platform on an open-air space funfair. 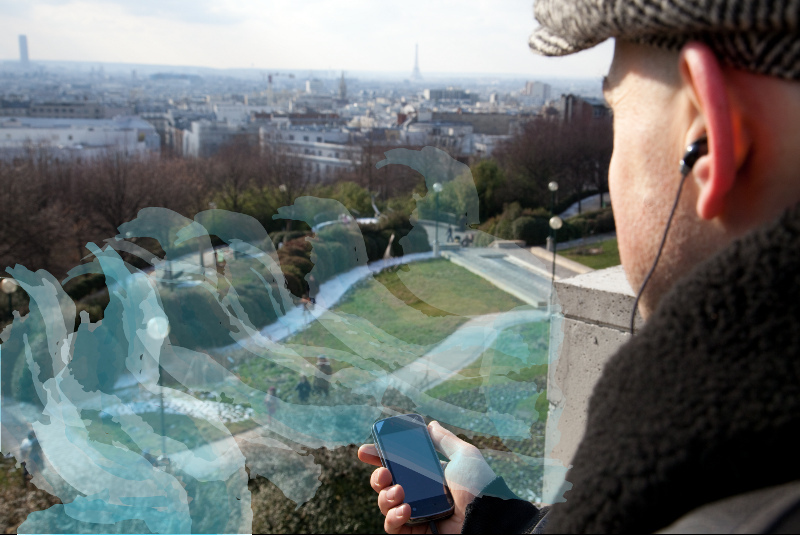 Equipped with a smartphone and headsets, the visitor enters this universe to freely wander. 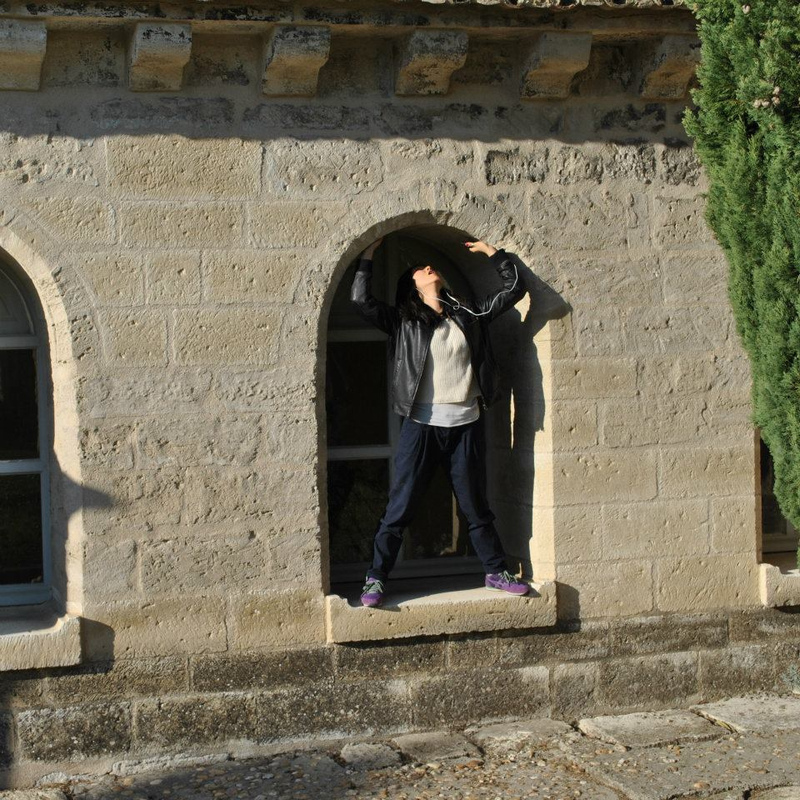 Carols' voices solicit him in a profusion of attractions. 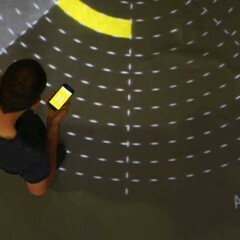 Through his actions, the visitor interacts with a world taking shape. 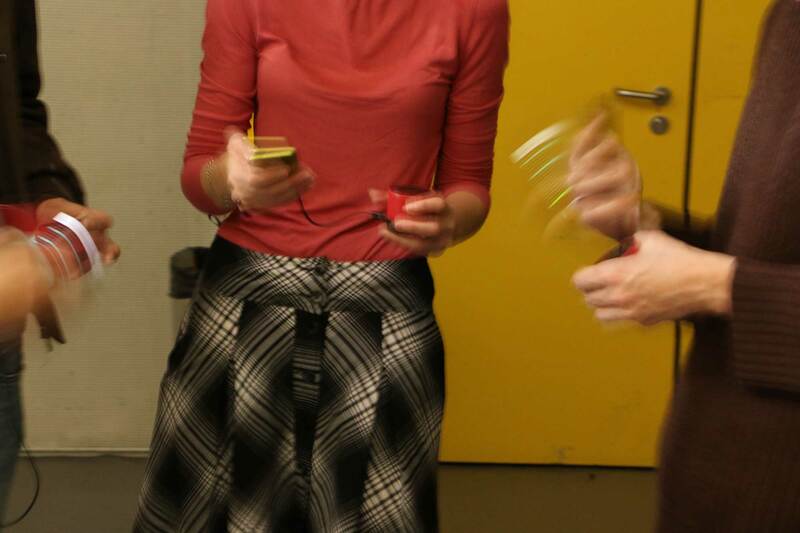 Each proposal is an opportunity for a game between his gestures, sounds and his imagination. 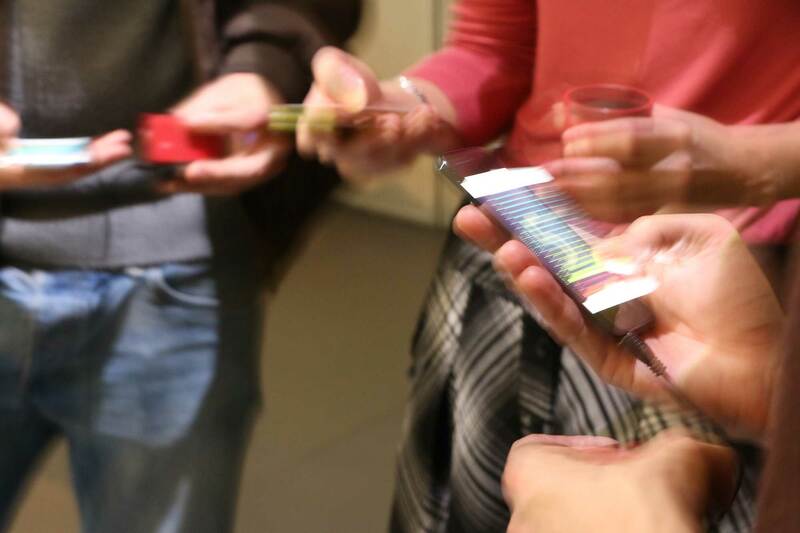 The visitor discovers that he shares the same universe with other visitors, the party favors meetings and the collective game. 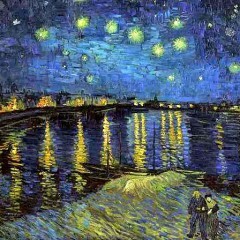 In a vertigo, the illusion takes precedence over the real. 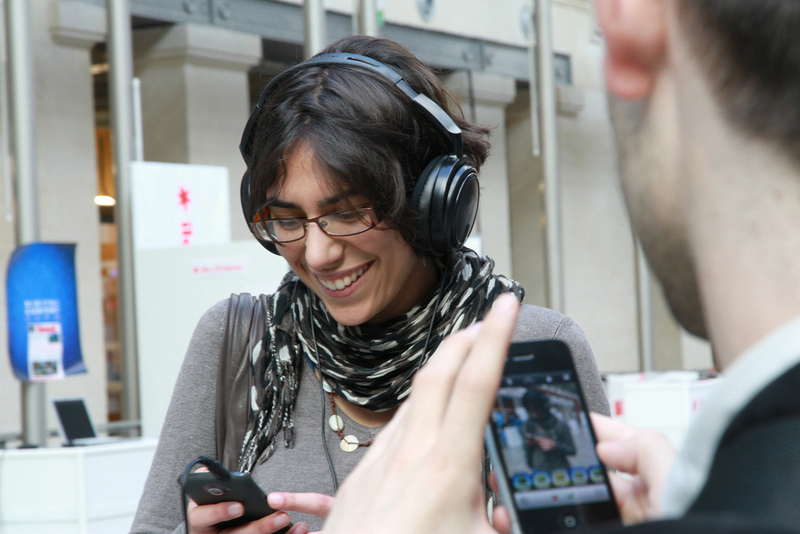 The project is based on the Média Situé web service to deliver sound media via a smartphone according to multiple combinable constraints. 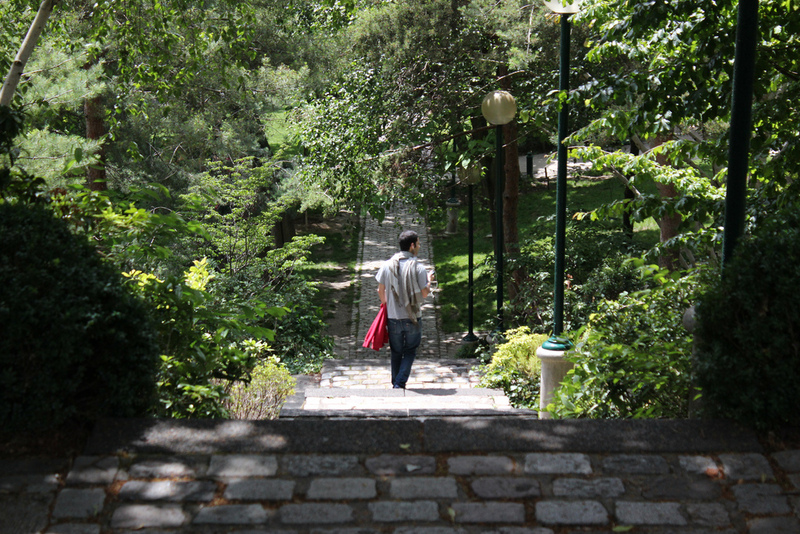 In a second step, the paths and testimonies resulting from these experiences are collected in a scenic space. 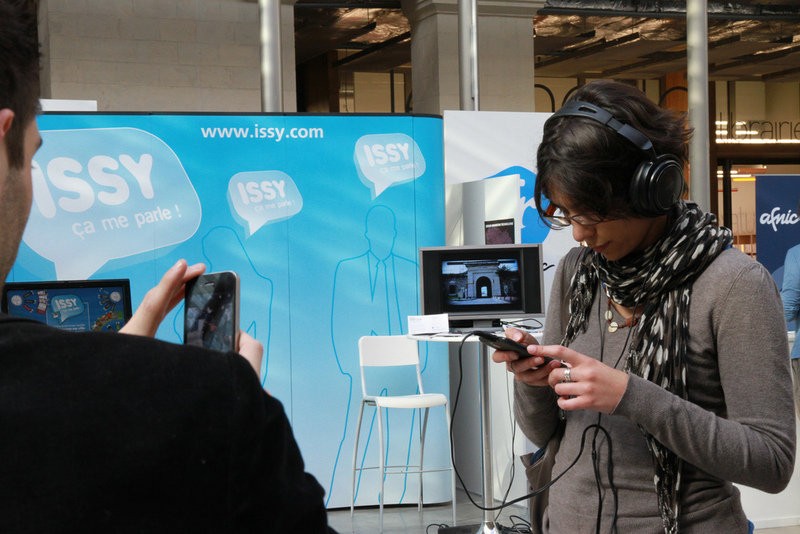 The visitor is invited backstage to deliver his testimony and discover how the device works. 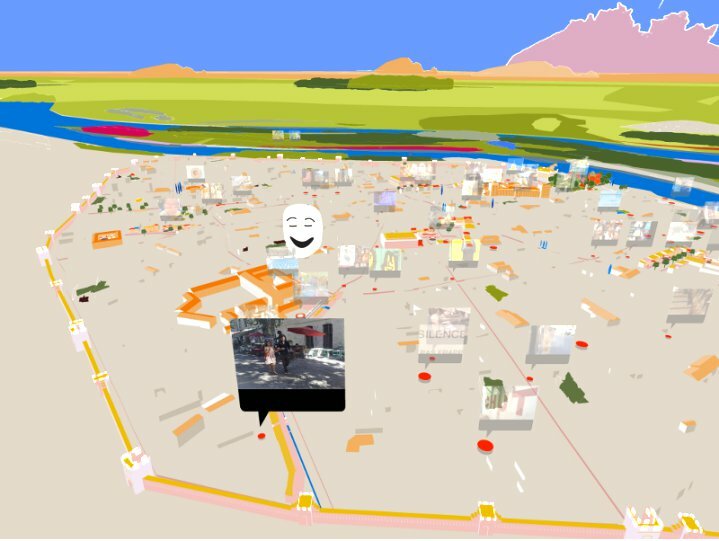 In front of a real-time visualization of the mechanics of the simulacrum, a space of speech allows a setting in words and in perspective. 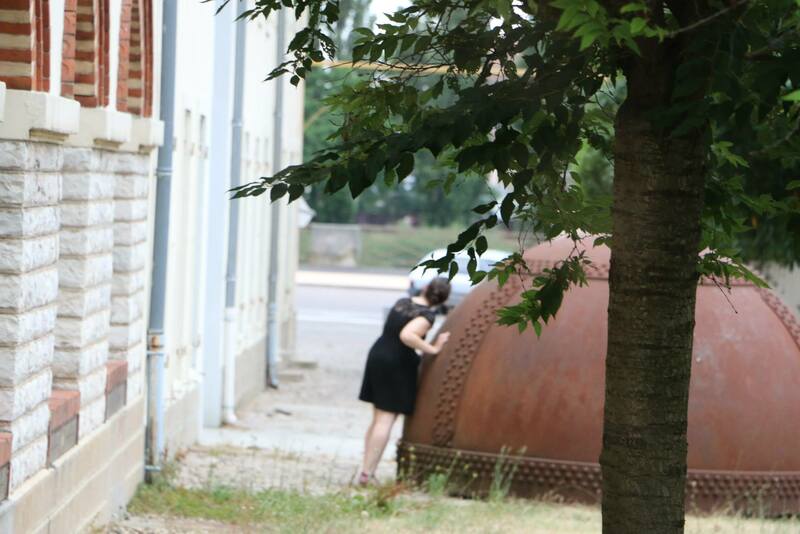 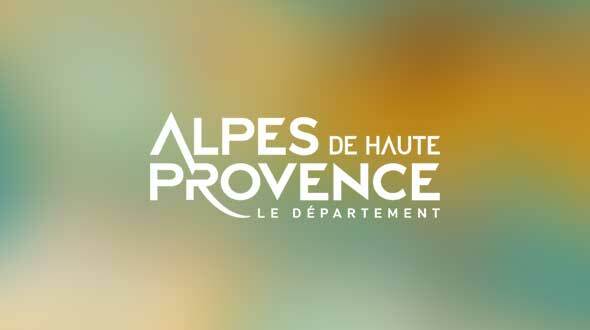 The device has been experimented on July 24th, 25th, 26th 2015 within the framework of Chalon dans la Rue festival. 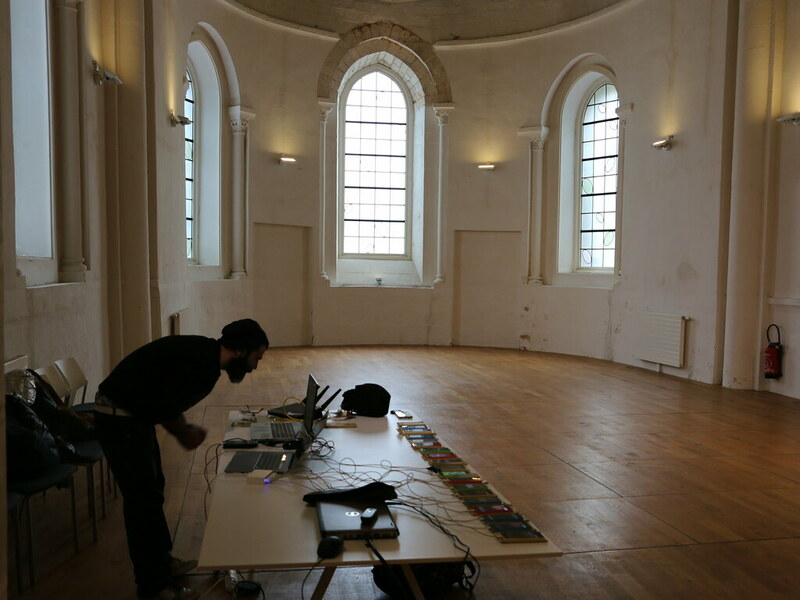 Presentation of Collective Loops, an experience realized within the framework of Collective Sound Checks. 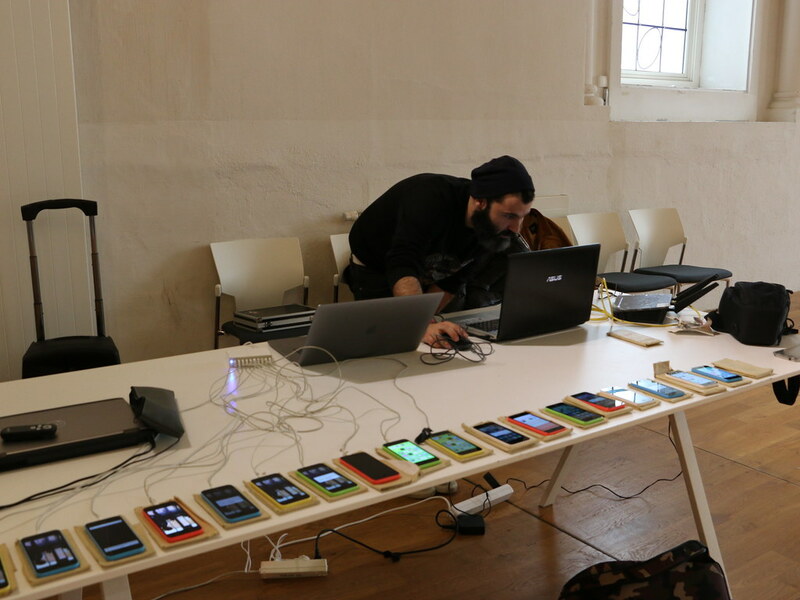 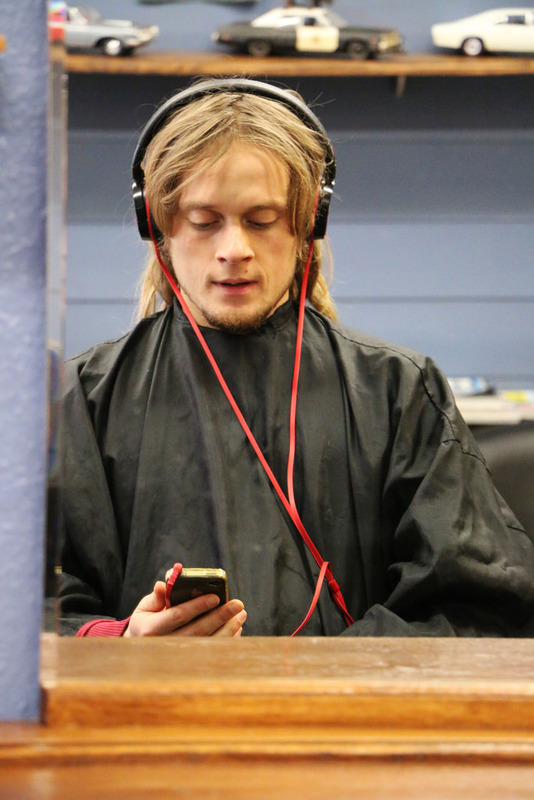 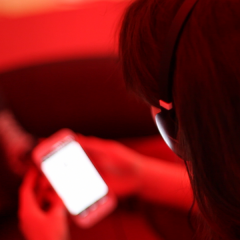 Collective Sound Checks is a collective music experience with smartphones. 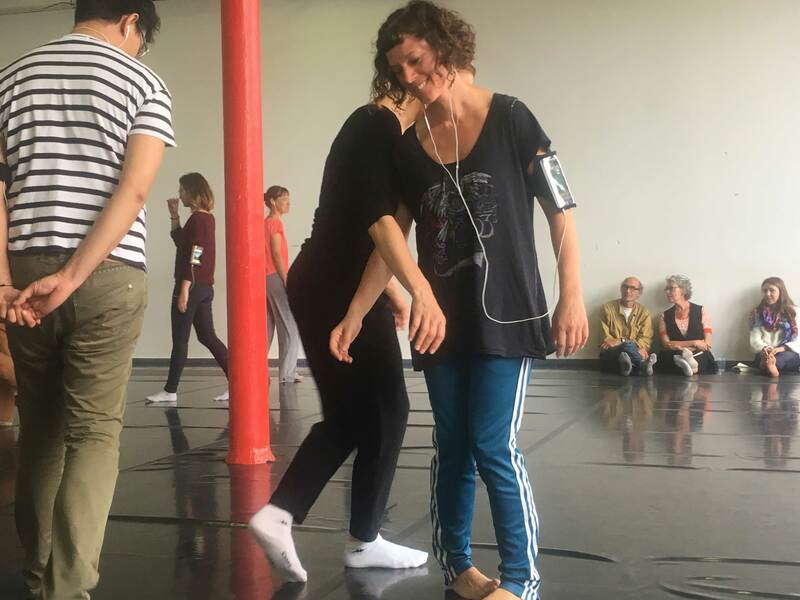 Each event offers the participants to play together as part of musical and playful proposals, in groups or in interaction with a performer (group, DJ, ...). 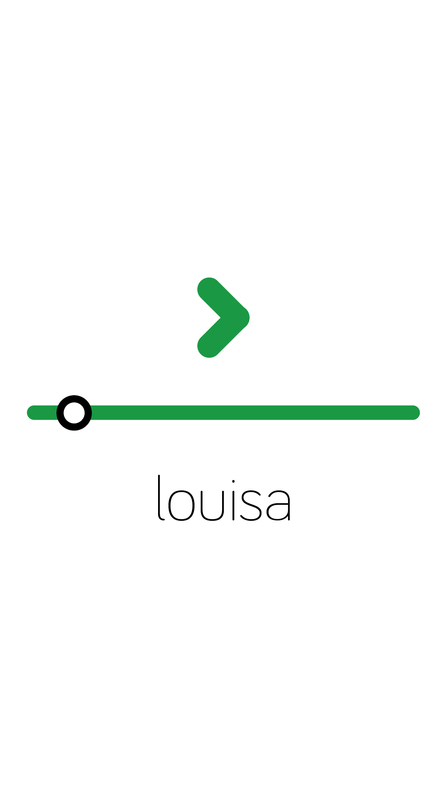 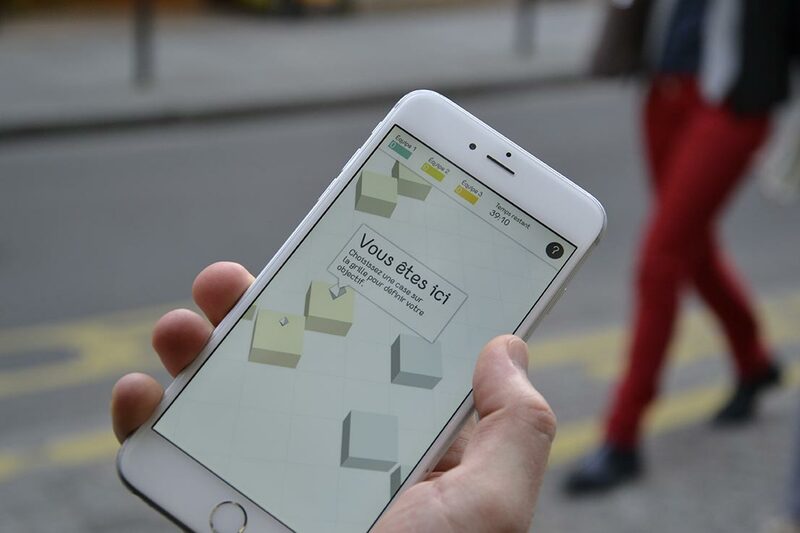 The project uses CoSiMa, a collaborative platform dedicated to collective interaction, based on the latest generation of mobile web technologies. 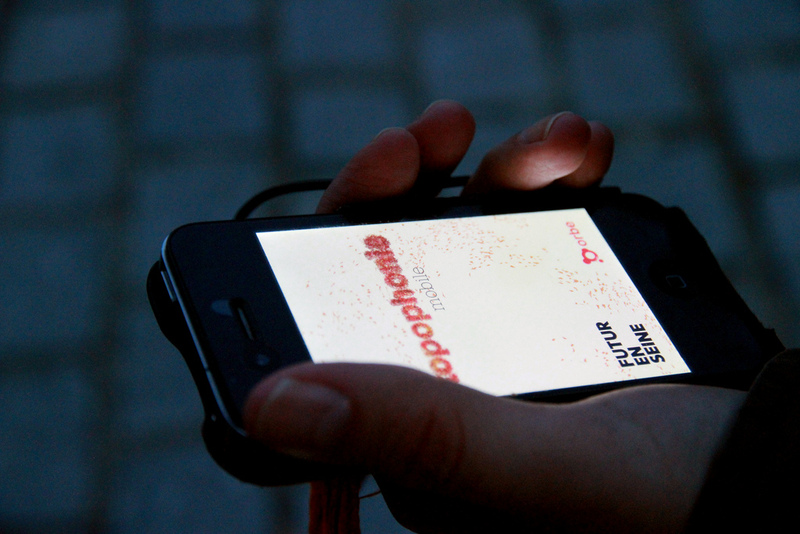 Collective Sound Checks focuses on the experimentation of play scenarios, technologies and content developed on the platform by a community of users. 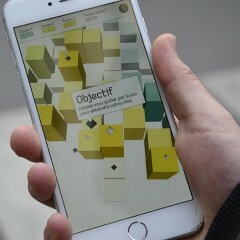 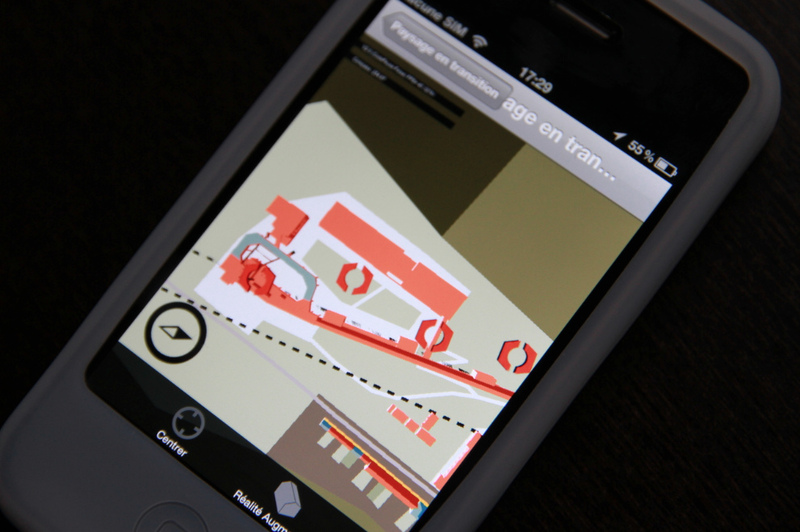 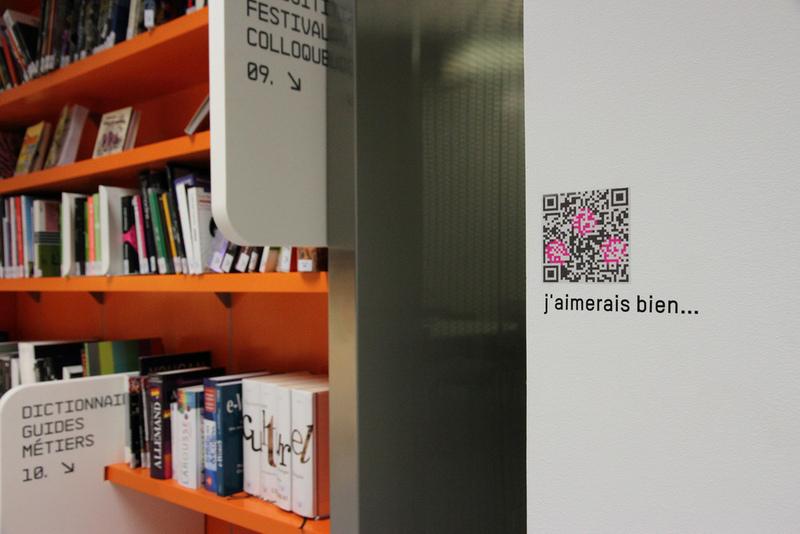 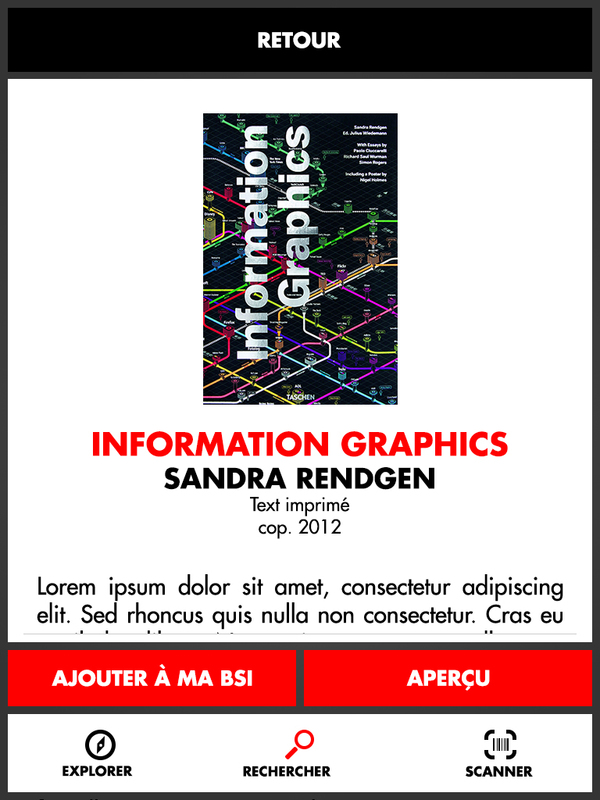 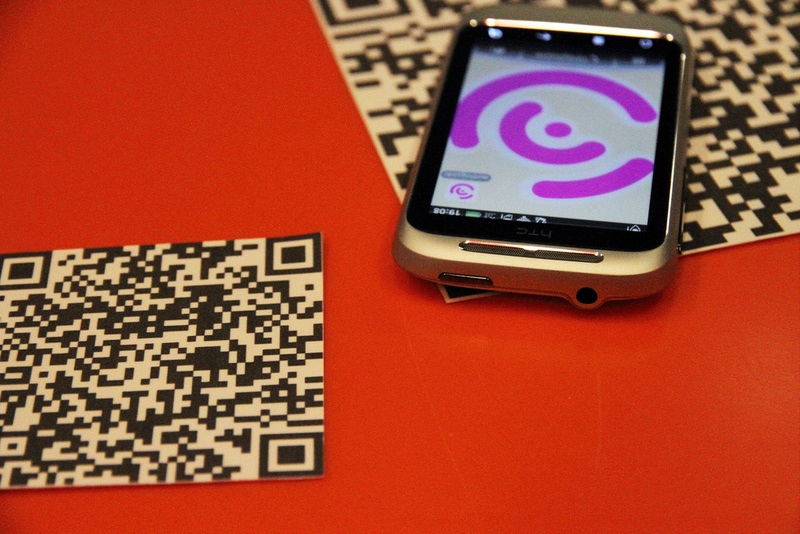 A selection of the smartphone scenarios is available at cosima.ircam.fr/checks. 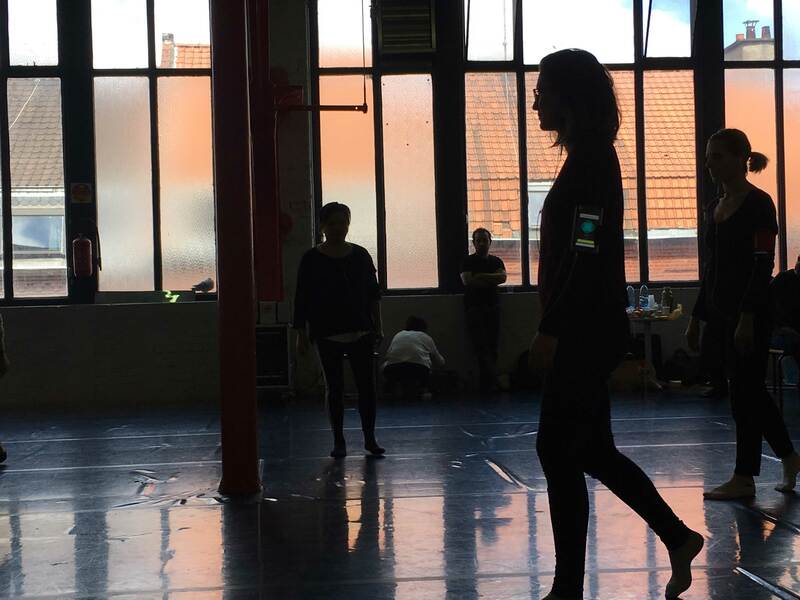 Home screen of Application to Dance. 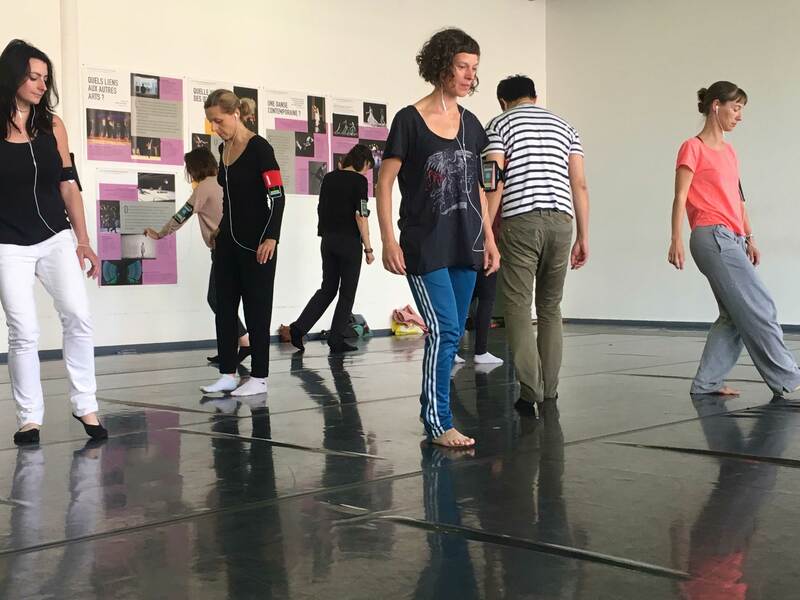 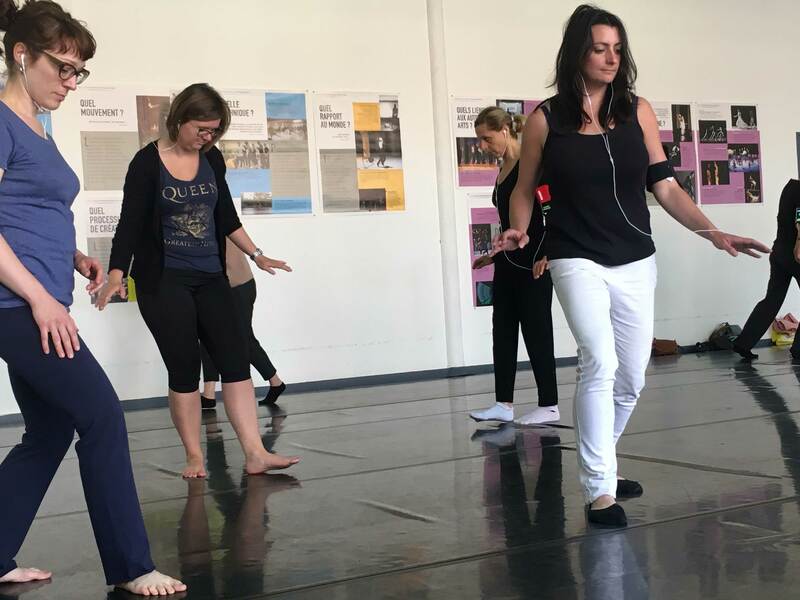 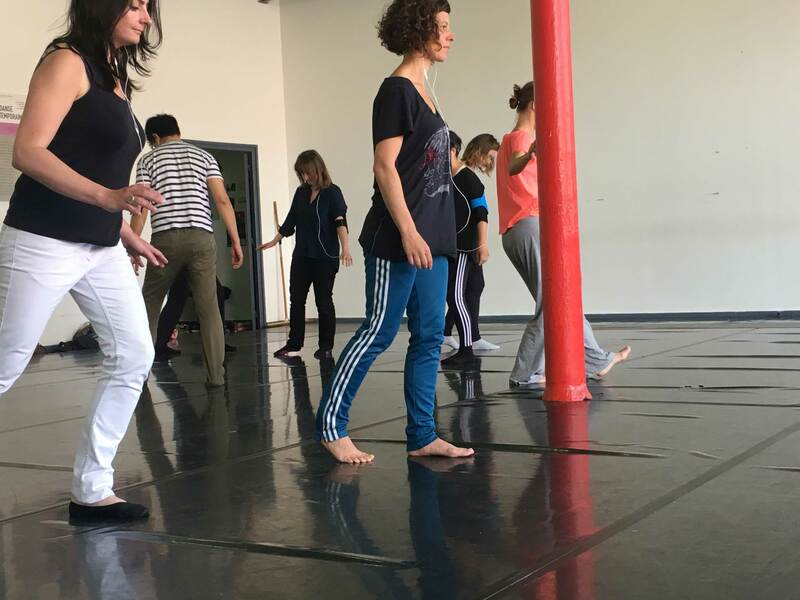 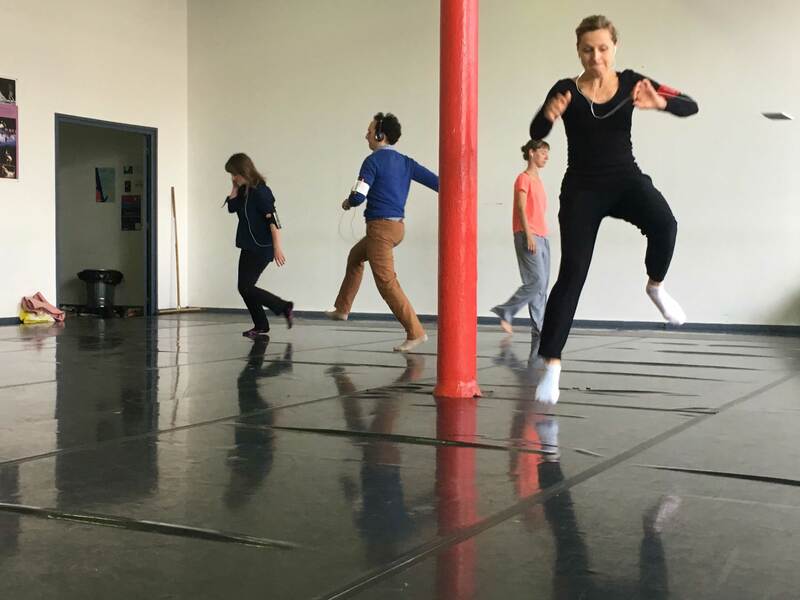 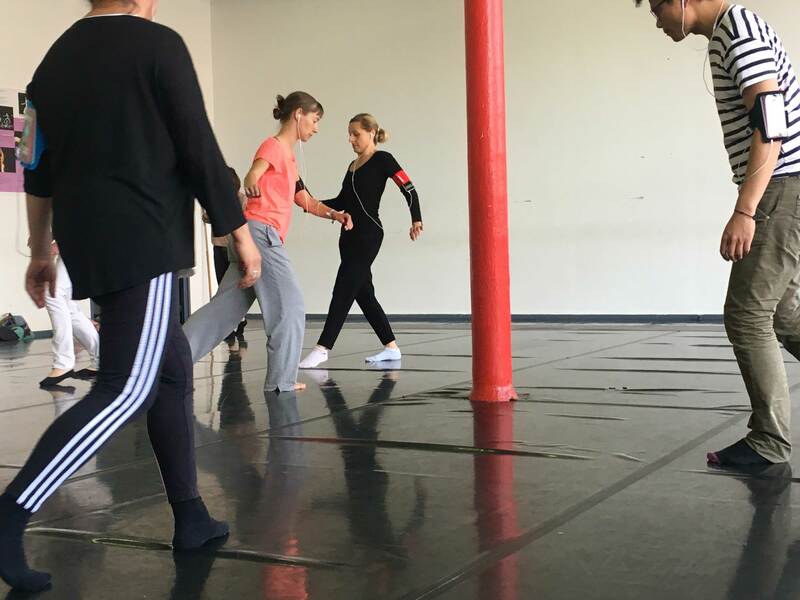 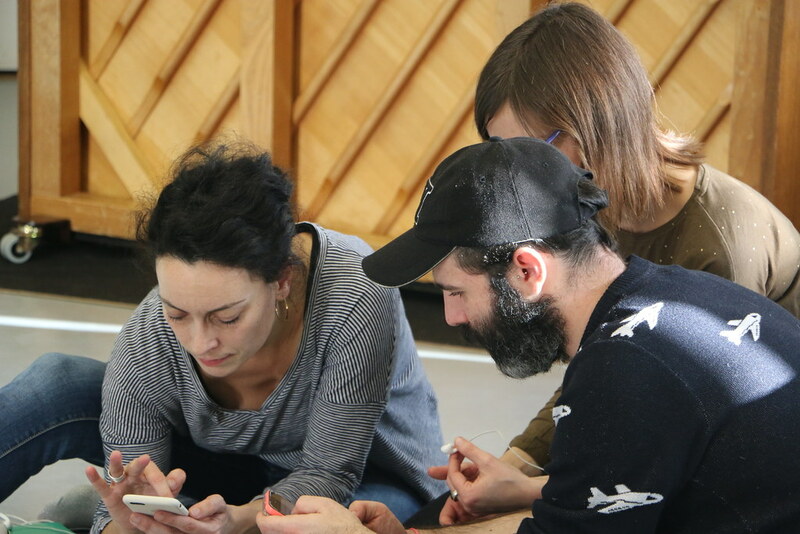 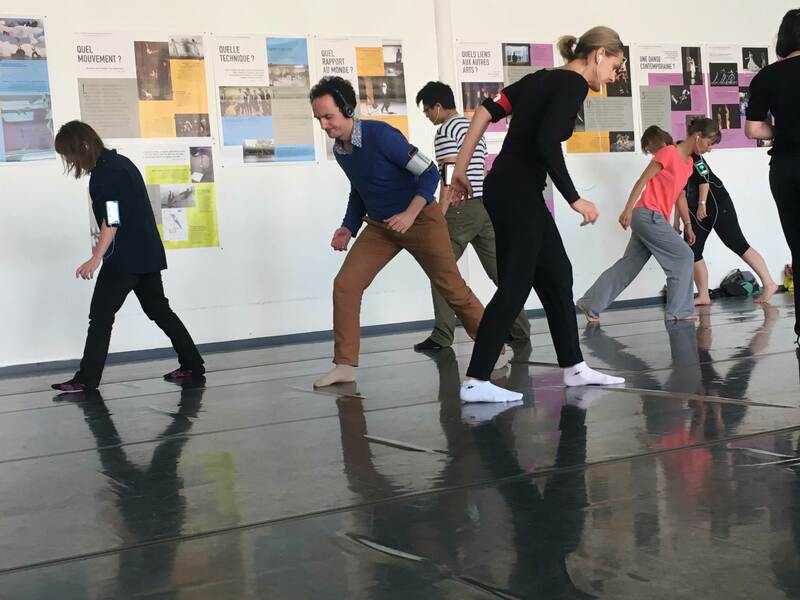 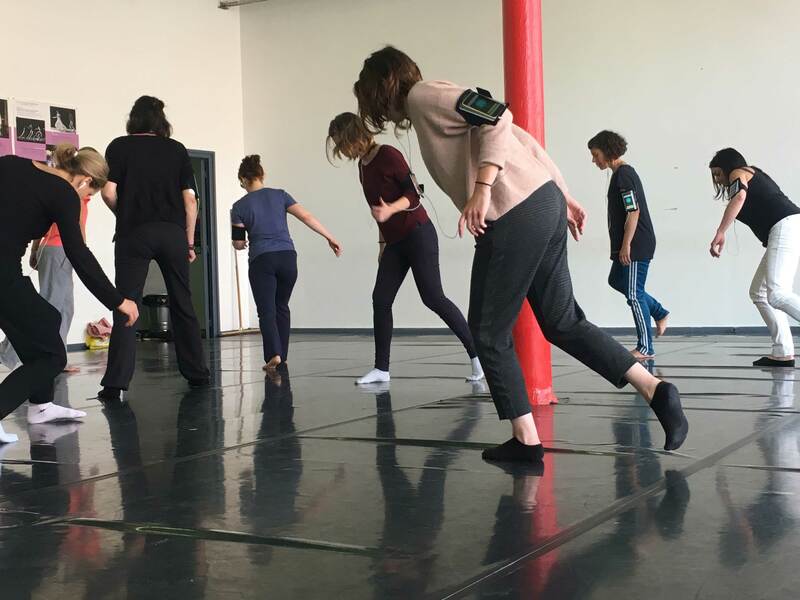 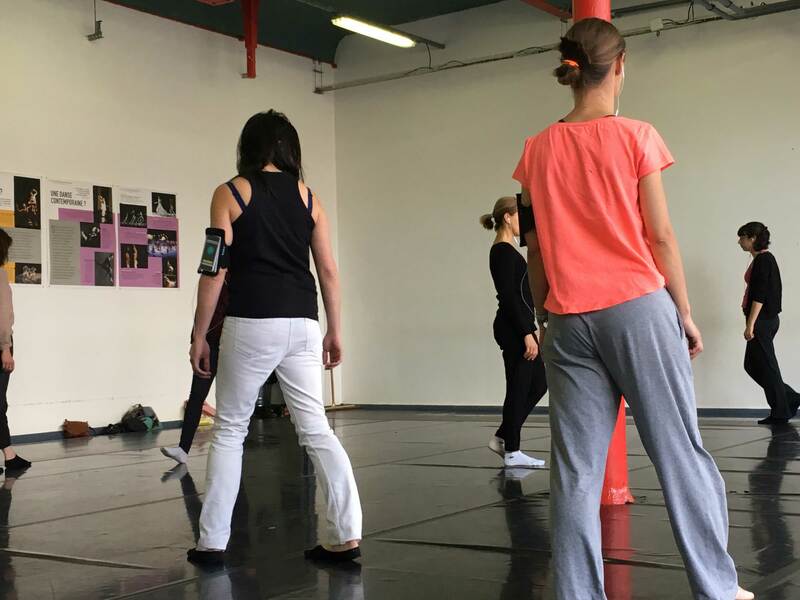 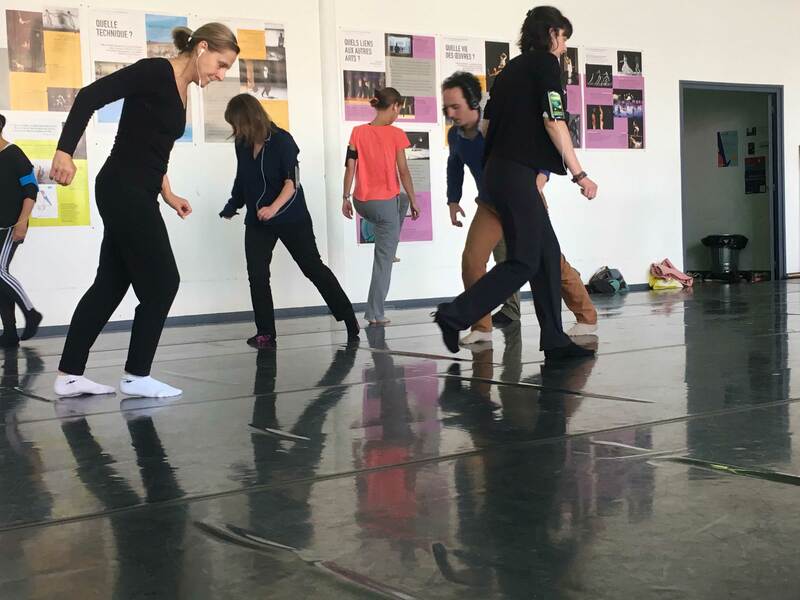 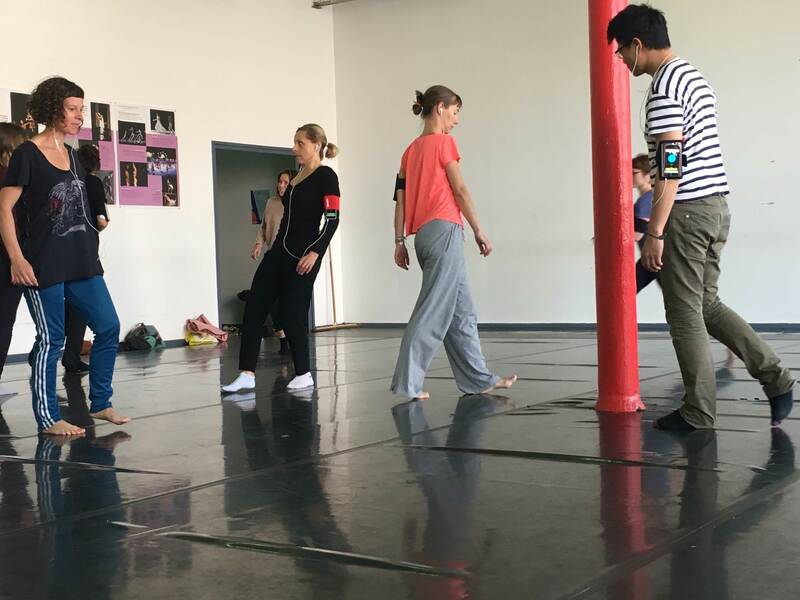 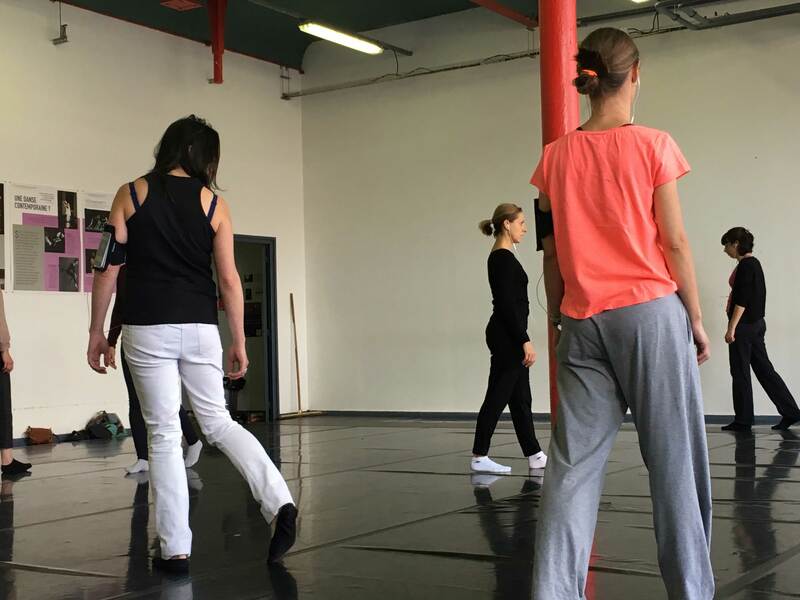 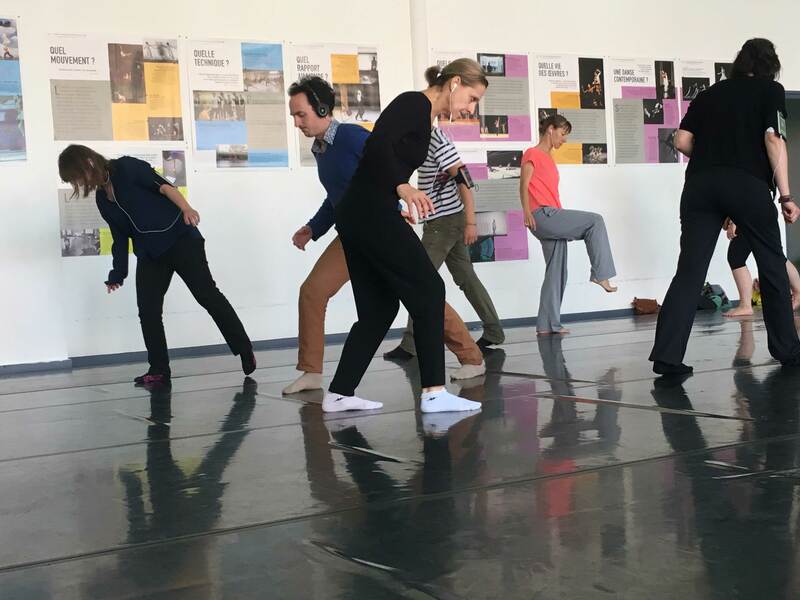 Application to Dance is an app that helps to build a dance according to everyday gestures, within workshops organized by the choreographic development centers. 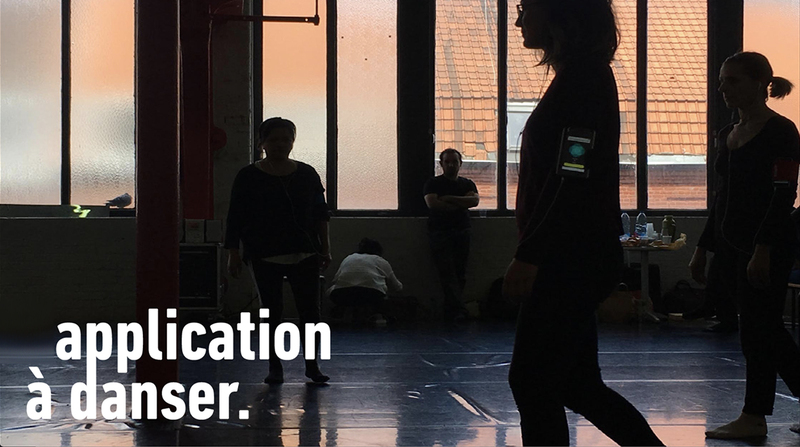 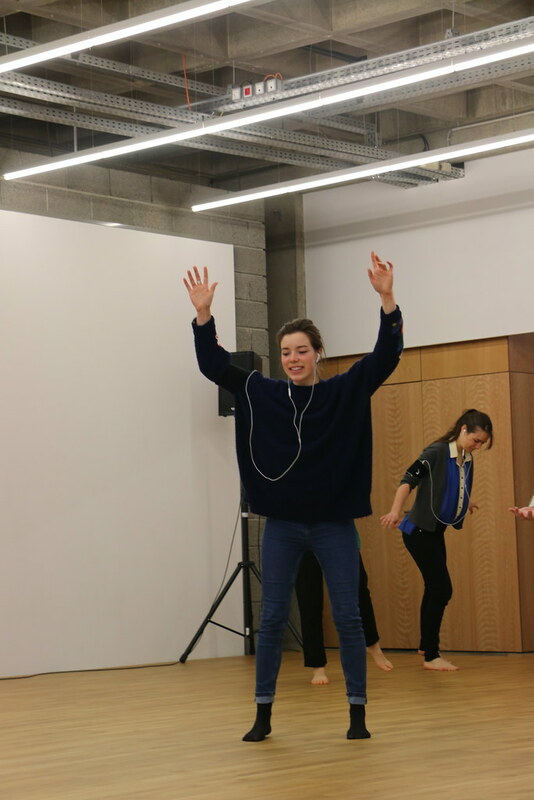 Equipped with headphones and mobile devices, the application allows the participants to develop a personnal choreographic repertoire in relationship with space, sound and the others. 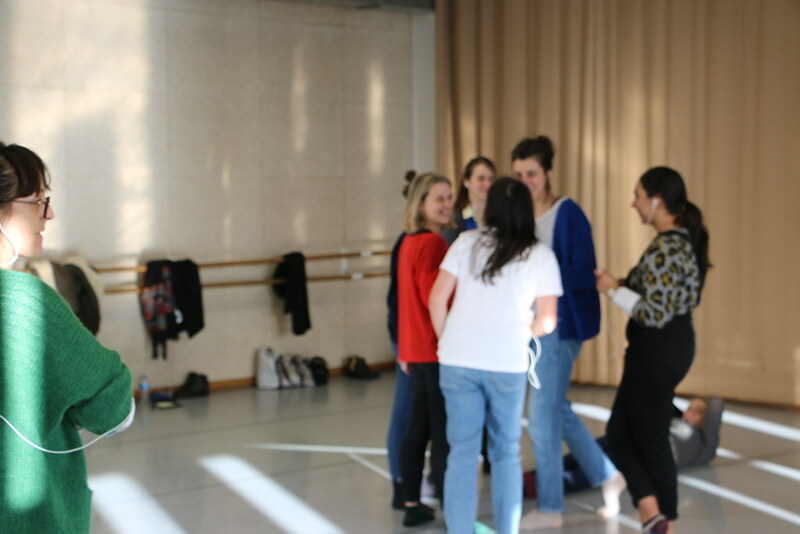 Four protocols are available in order to offer the facilitator the best orchestration of the session, and to propose the participants an adapted experience. 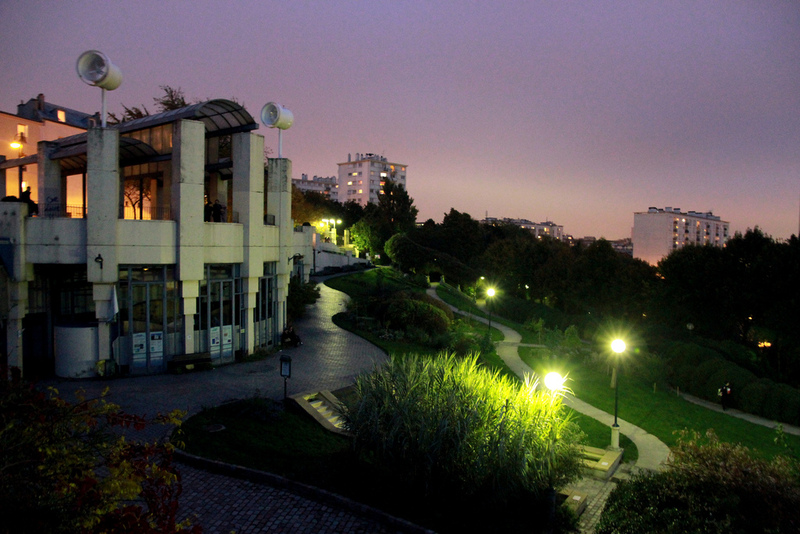 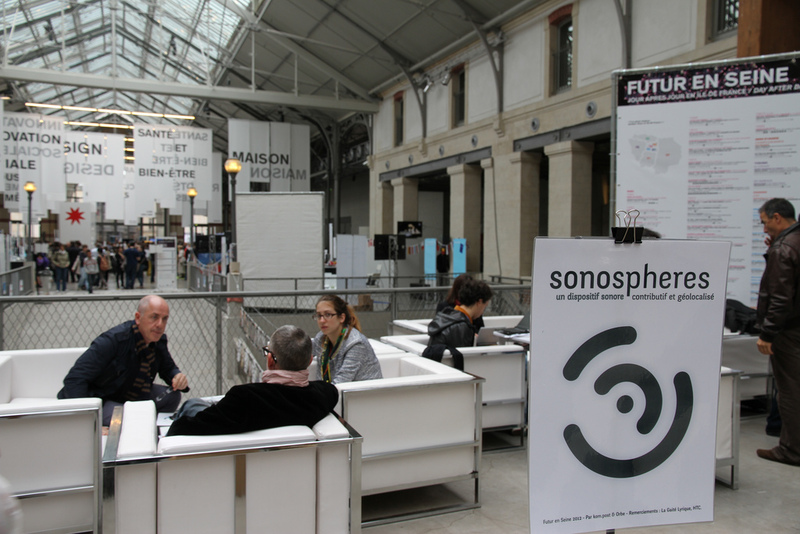 View of the exhibition Soundscapes at Maison du Salève. 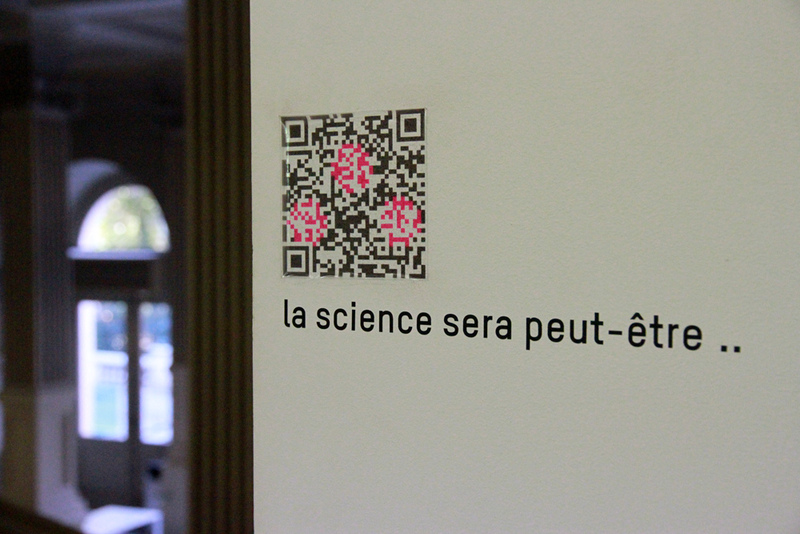 Soundscapes is a temporary exhibition presented at Maison du Salève for two years. 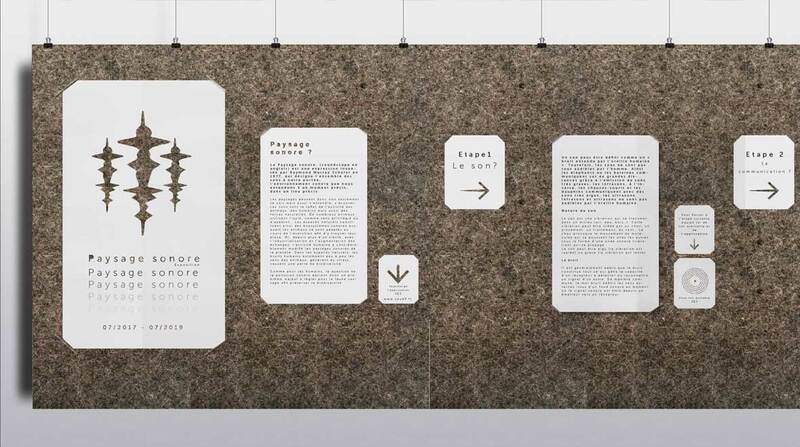 It reveals four biotopes and embodies different landscape actors to get a better understanding of the impact of our activities on these ecosystems. 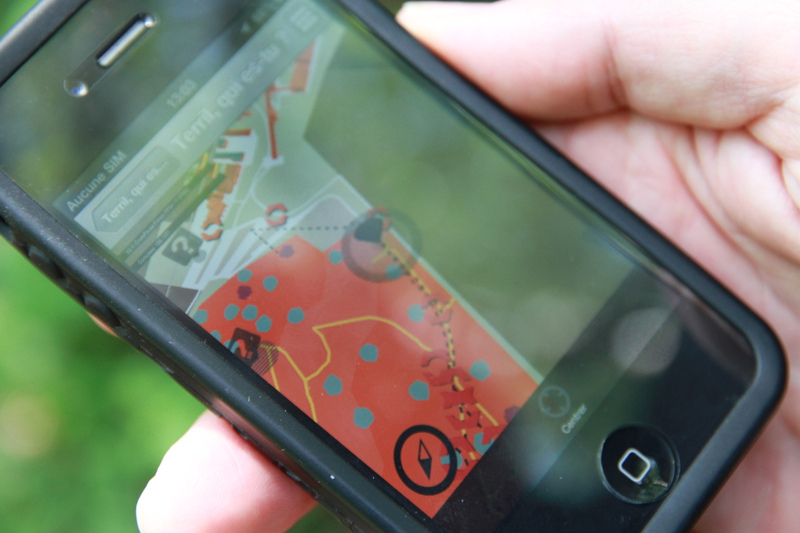 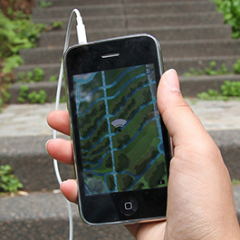 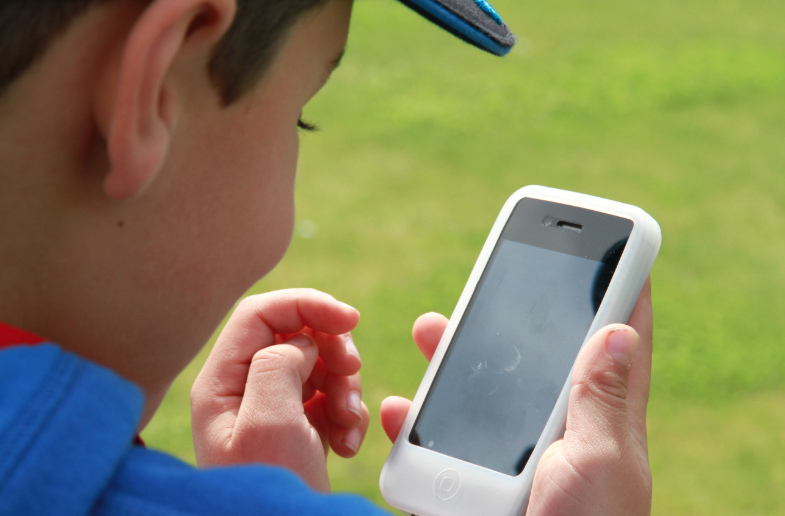 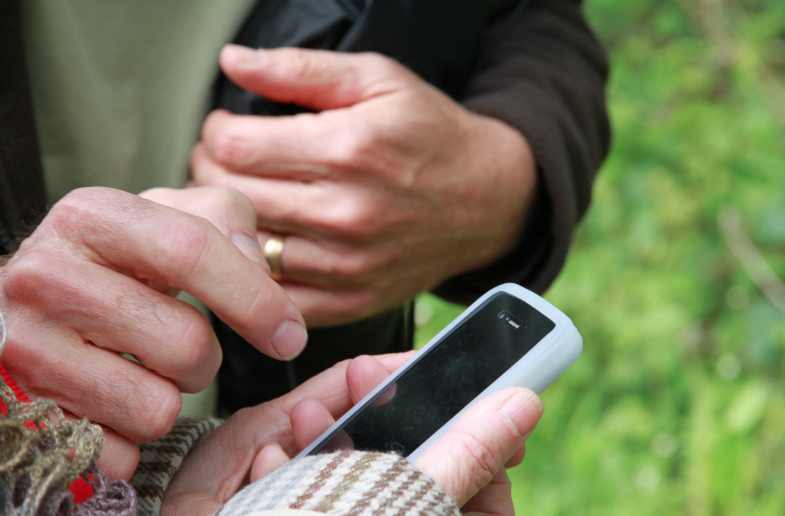 Equipped with a smartphone and headphones, the visitor is emerged into different natural environments such as forest, pastures, wetlands and villages. 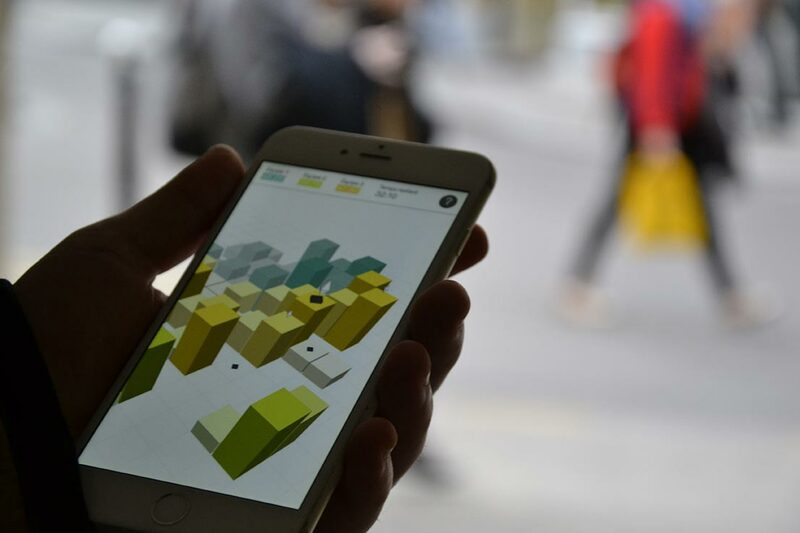 The application allows the audience to become the actor of each landscape with a immersive device leading to ge the consequences of human activities on natural environment. 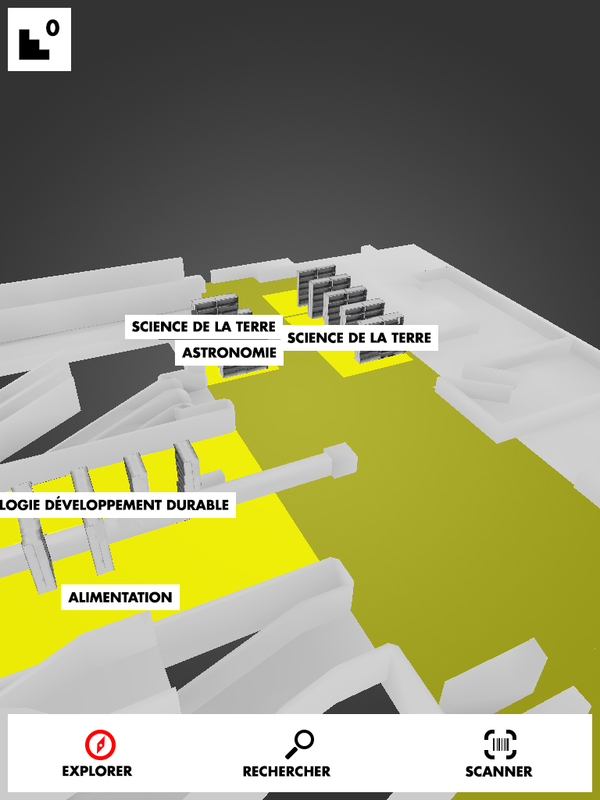 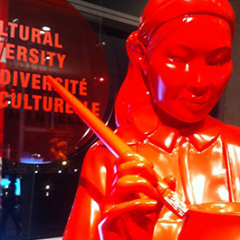 The permanent exhibition Open Unesco proposes a meeting with the field actors working for the international institution. 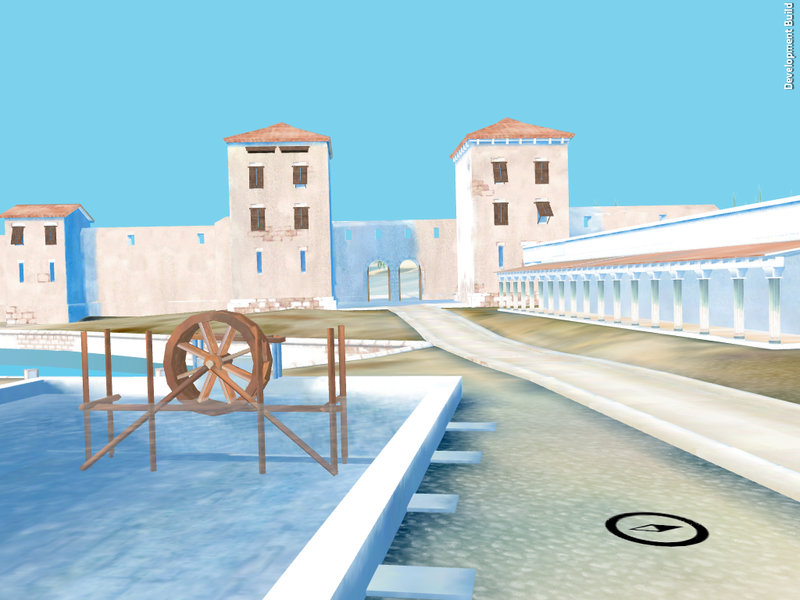 Water Topophony is an augmented reality sound experience that links wandering and listening. 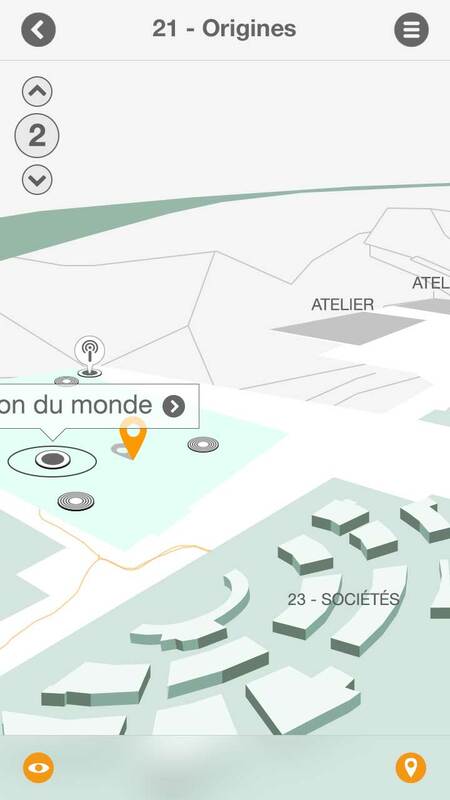 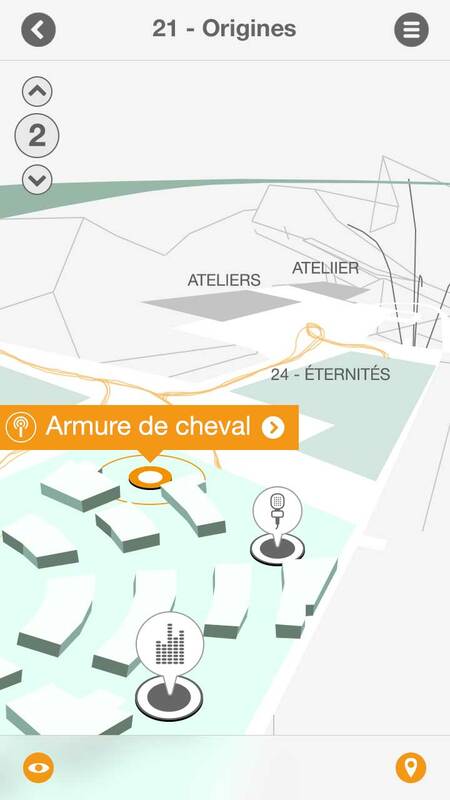 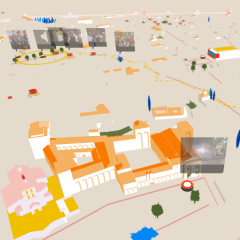 An interactive 3D map of the city of Avignon fed in real time with video, sound and images by the reporters of Arte. 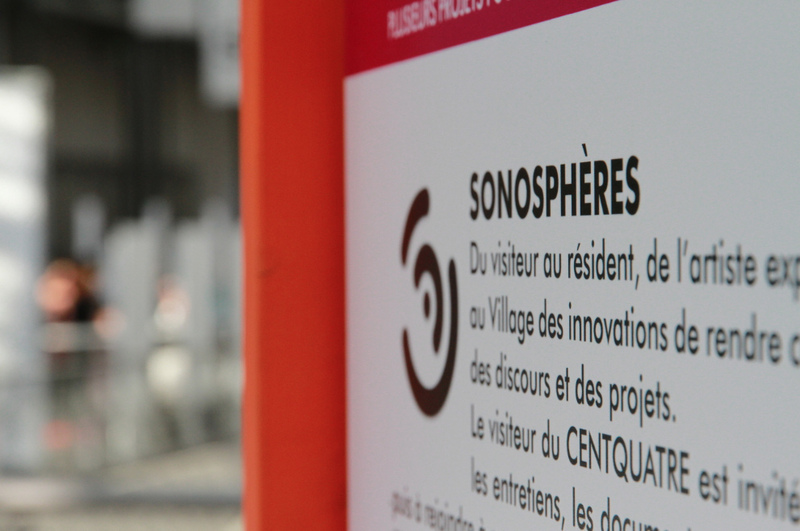 Sonosphere is a contributory gros-localized sound device. 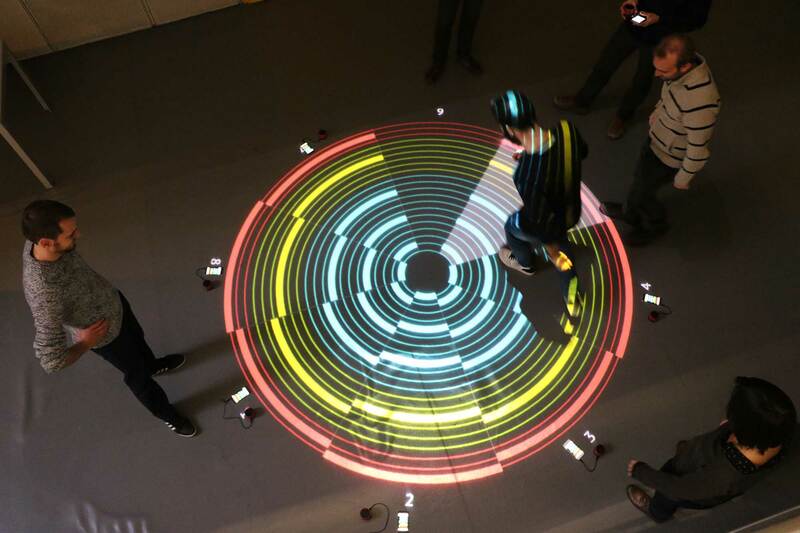 Topophonie focuses on sound navigation in the flow and masses of spatialized audio-graphic events. 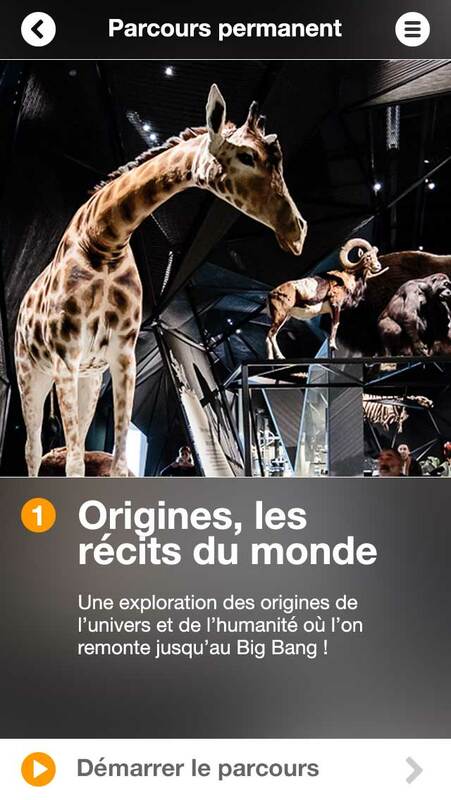 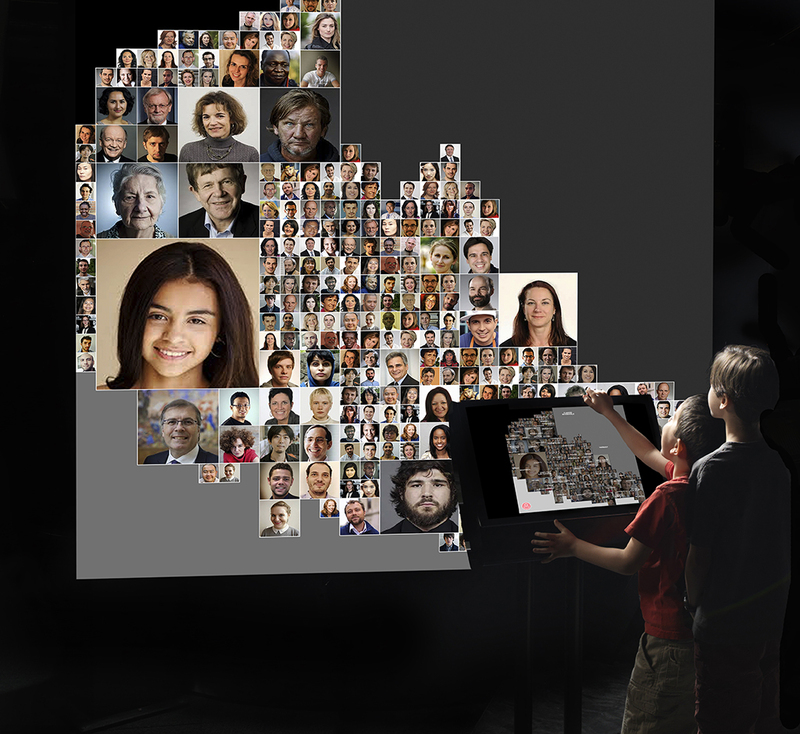 A space for children between 7 and 12 years, to discover the collections of the Museum of Civilizations of Europe and the Mediterranean (Mucem) of Marseille. 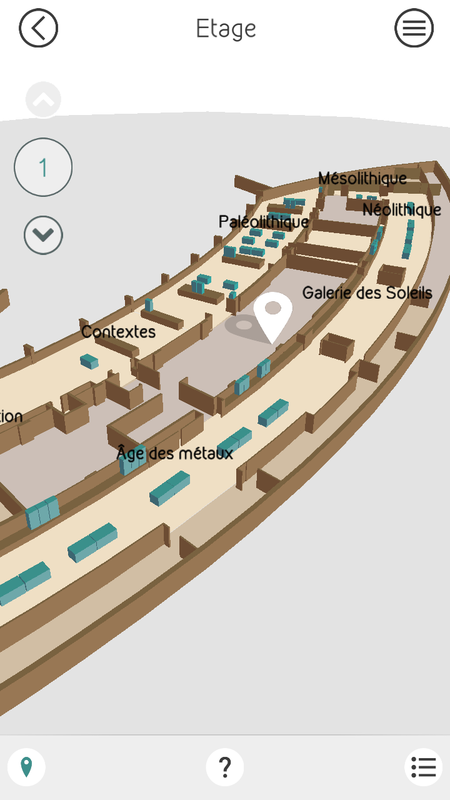 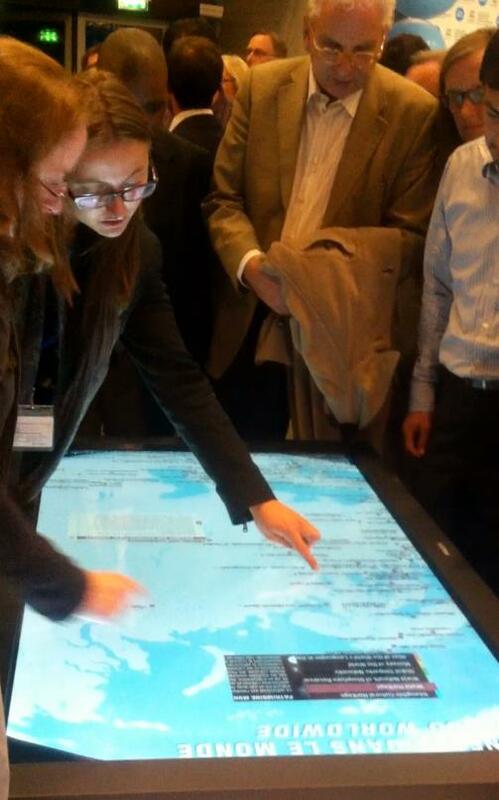 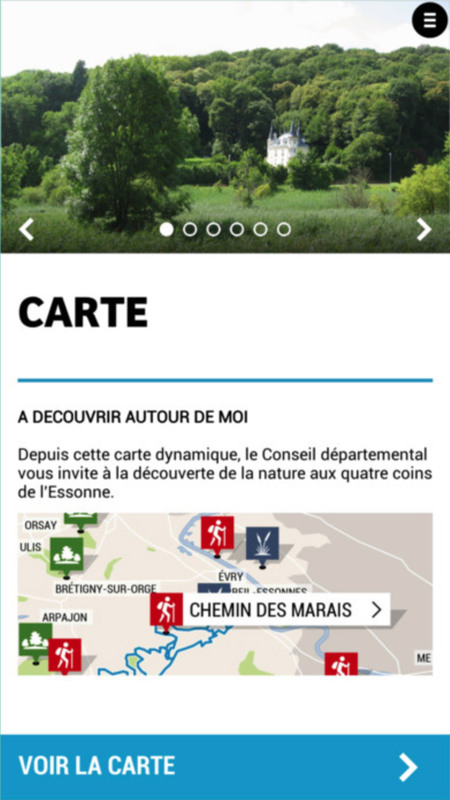 A mobile application and a website to discover the maritime and port history of Marseille. 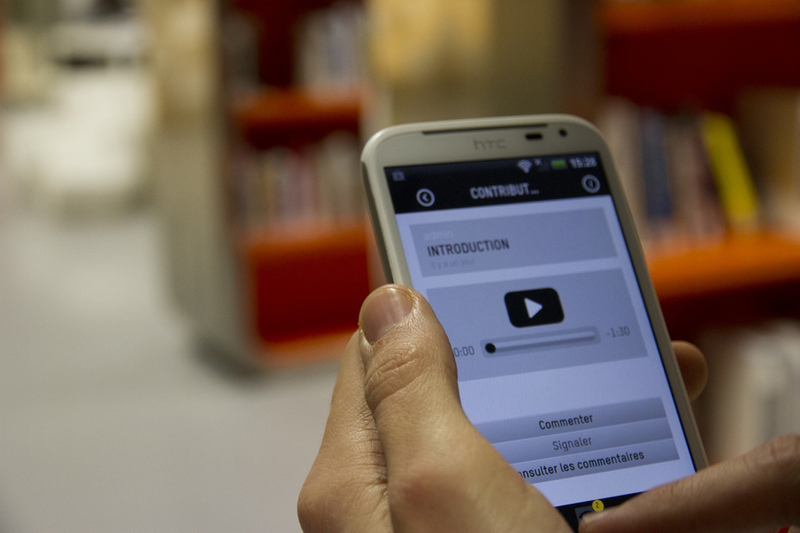 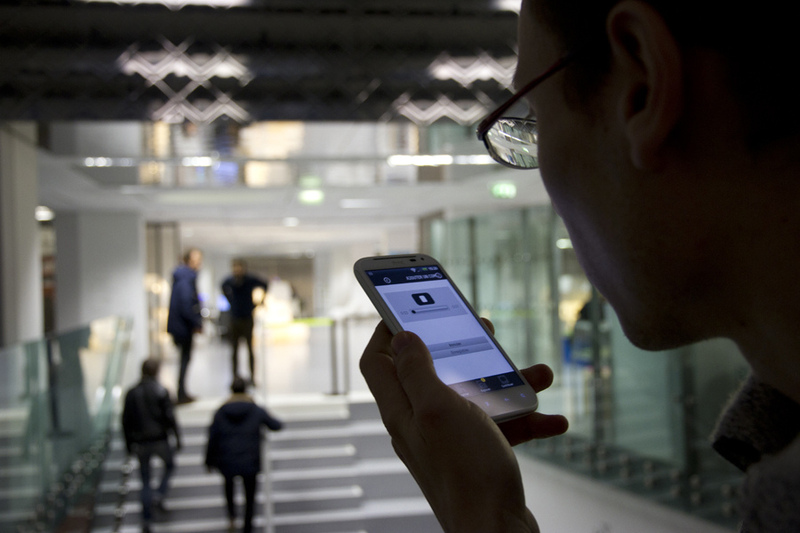 Mobile device for informal learning in libraries for UNIVERSCIENCES. 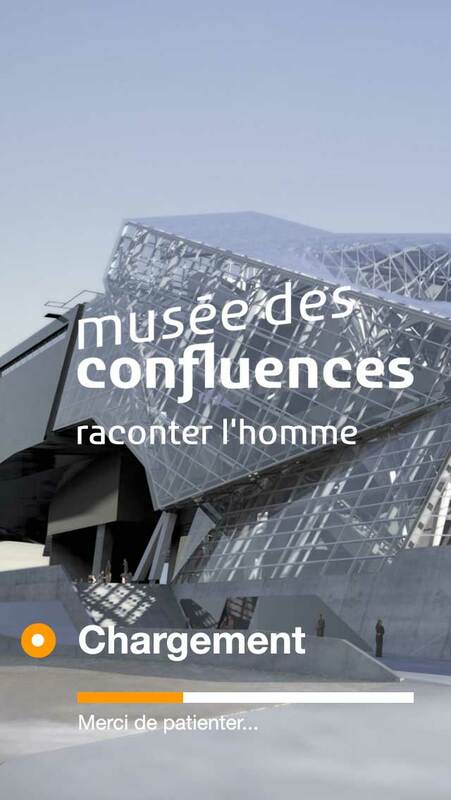 The Sonosphere of the Musée des Confluences proposes a sound walk in the 20000 m2 of the museum.